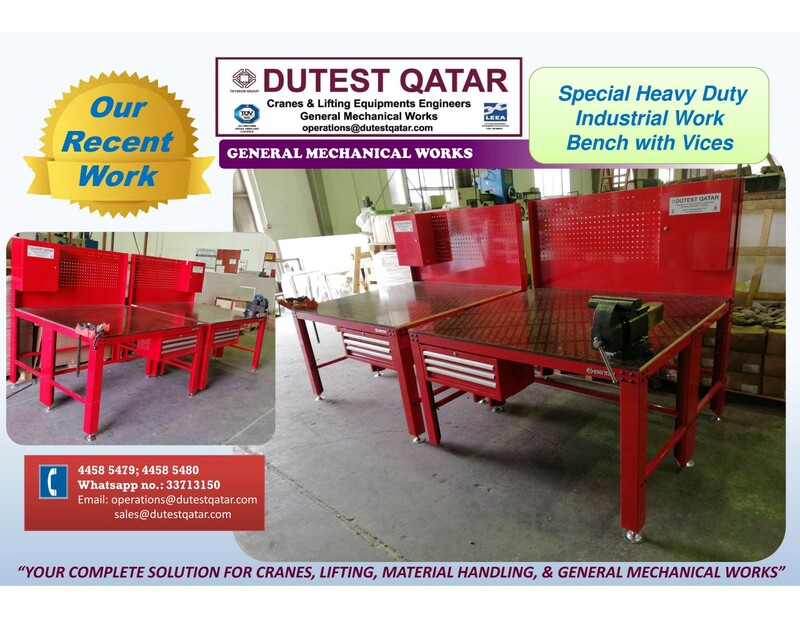 Our workshop is well equipped with machineries for fabrication of non-pressure steel components, lifting components like spreader beam, lifting baskets, offshore containers, etc. 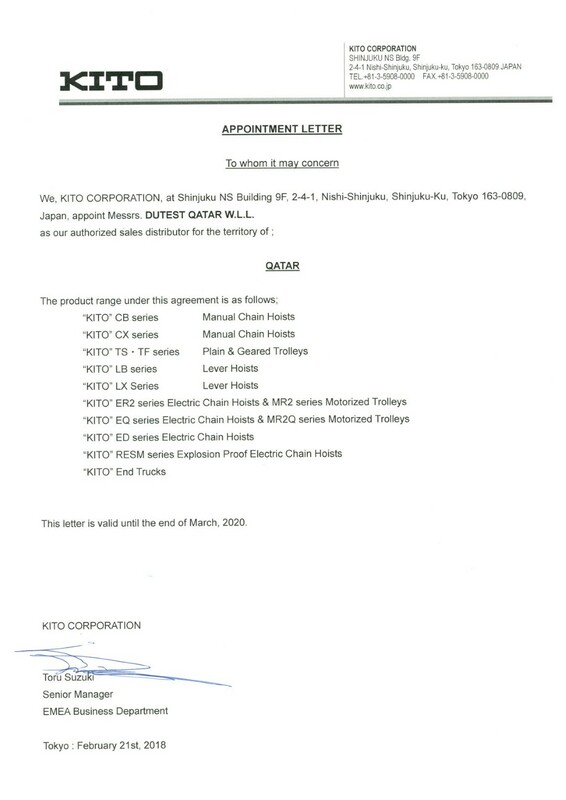 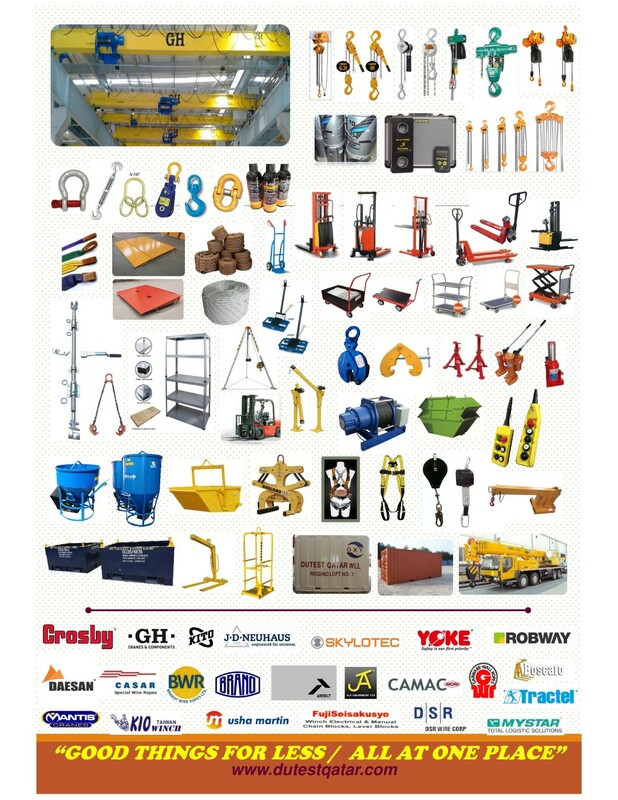 We have various special products available, supply of heavy low bed trailer, supply of boat trailer, supply of drum crusher, supply of stainless steel tanks, supply of lamp crusher, supply of slotting machines, supply of travel lift gantry crane. 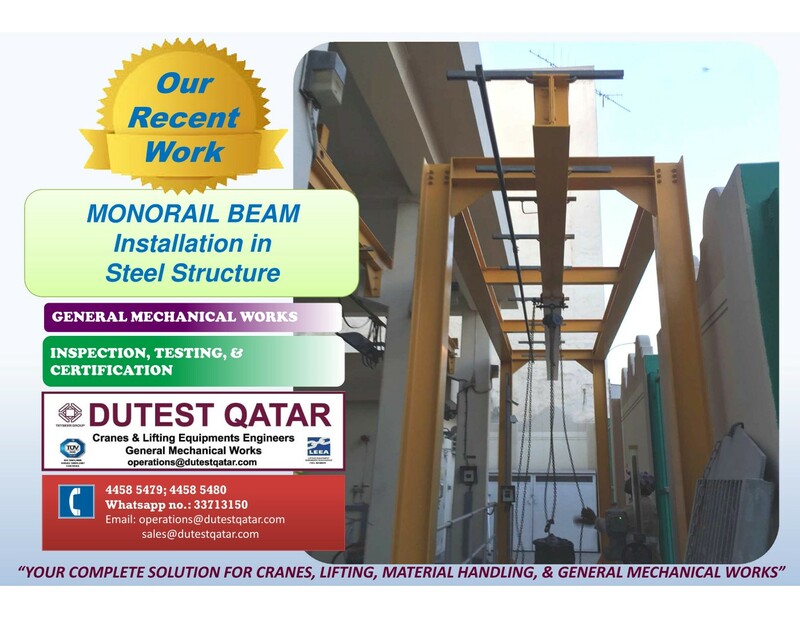 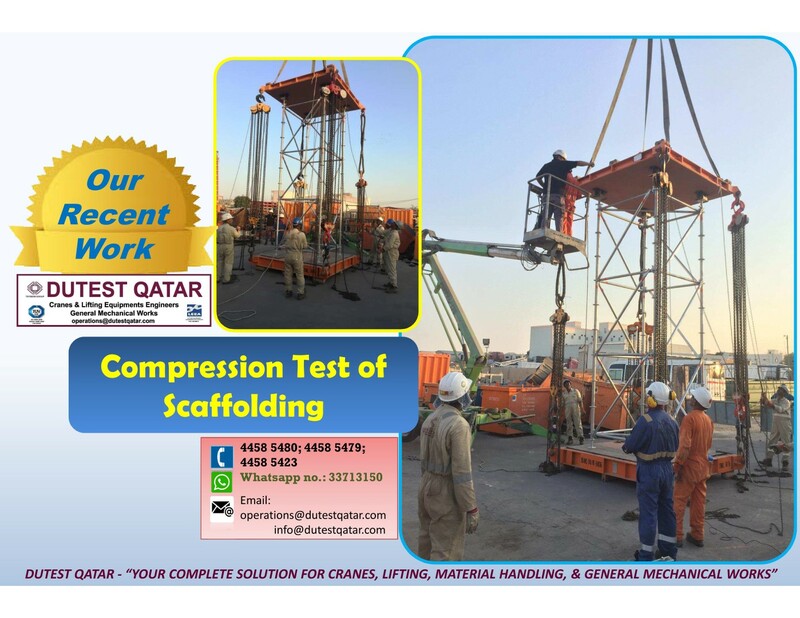 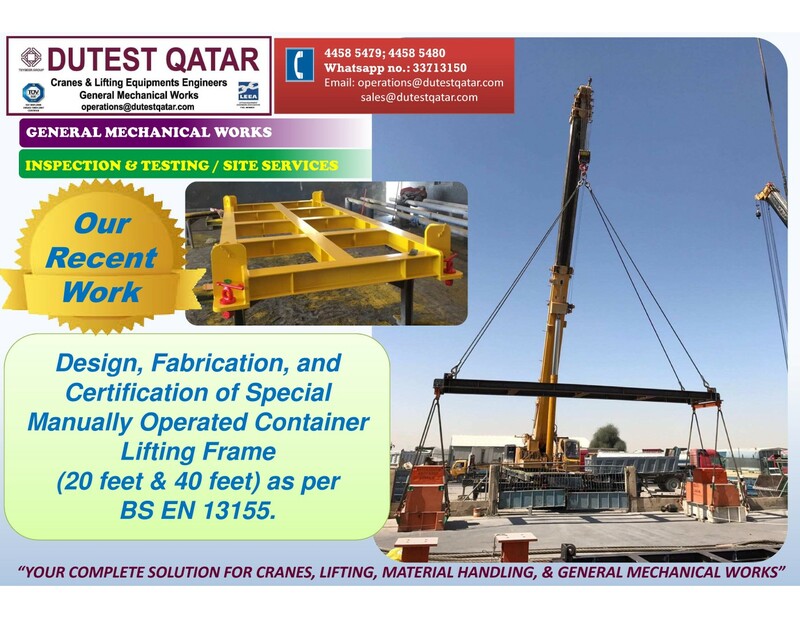 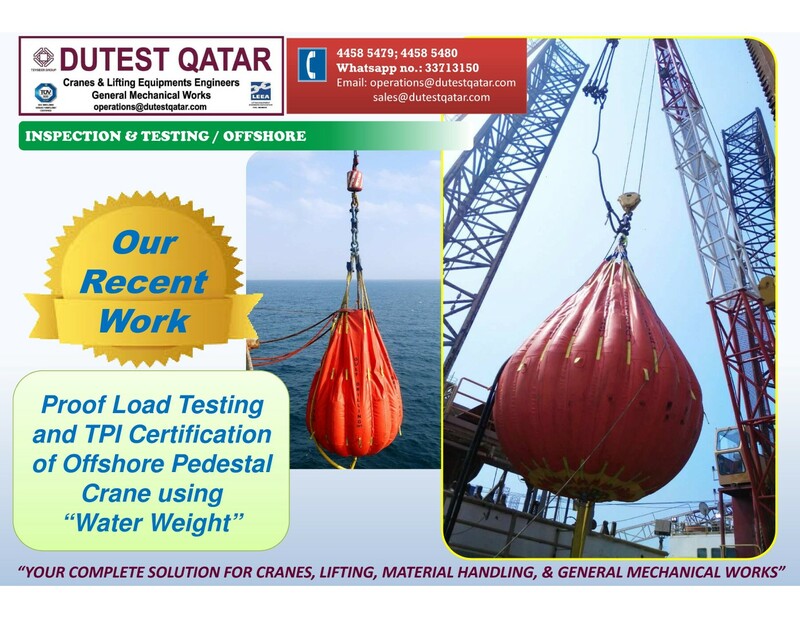 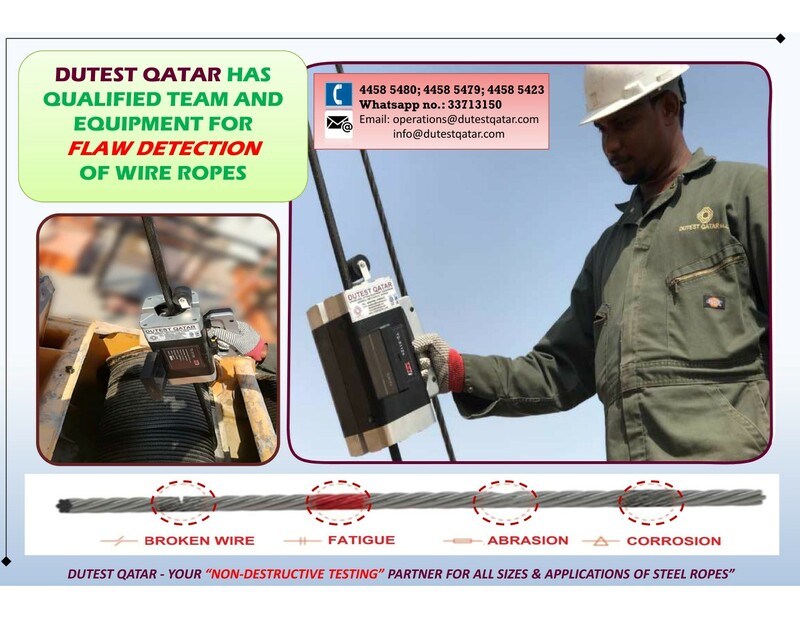 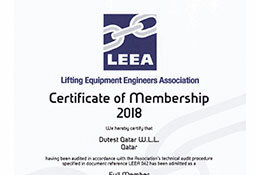 We have Qualified and experienced lifting equipment engineers for attending to any inspection needs for all kinds of lifting equipments and lifting gears both in house and at sites. 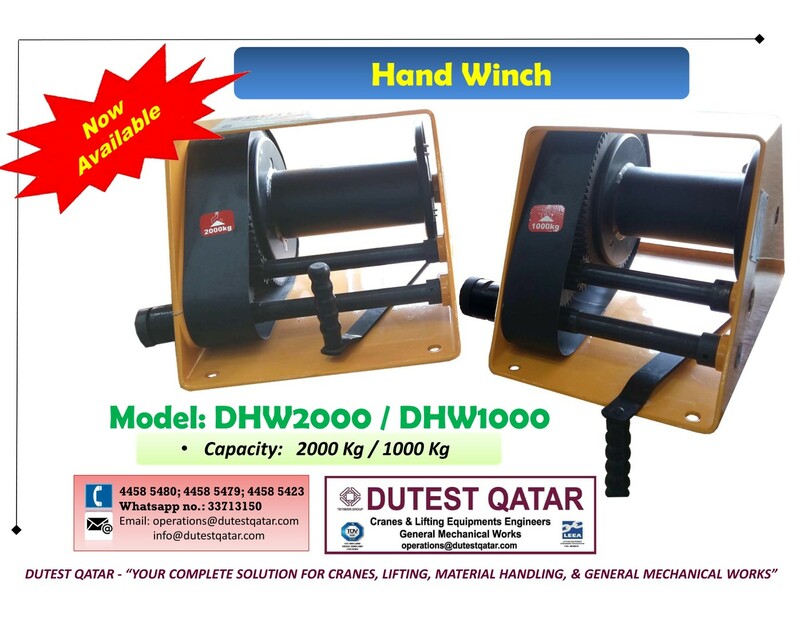 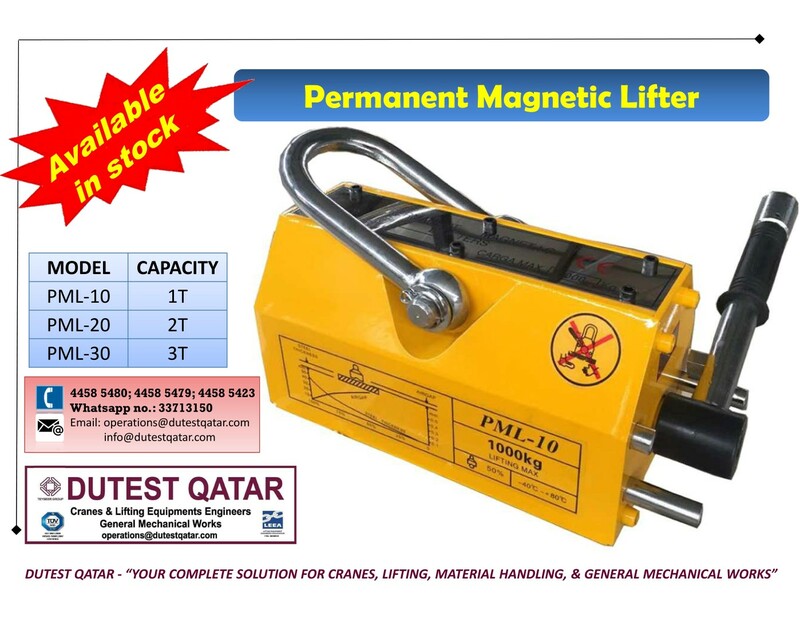 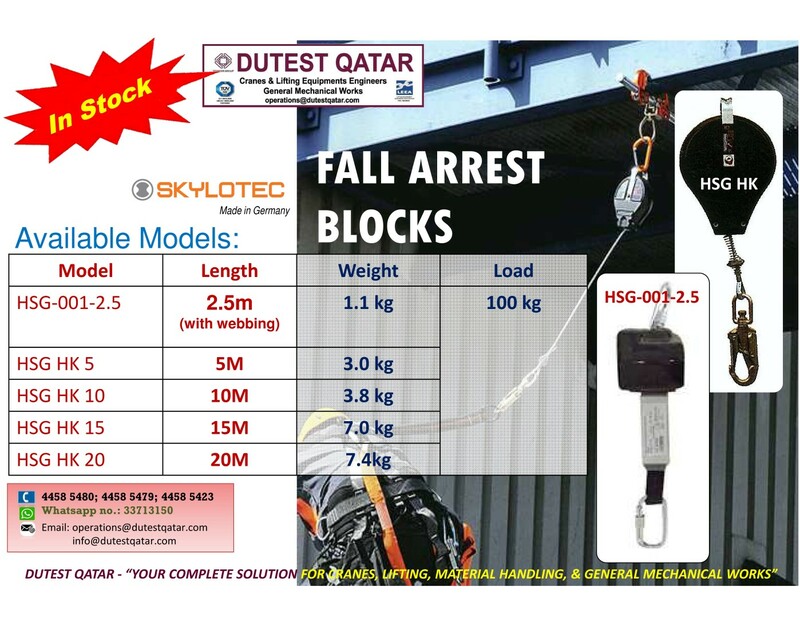 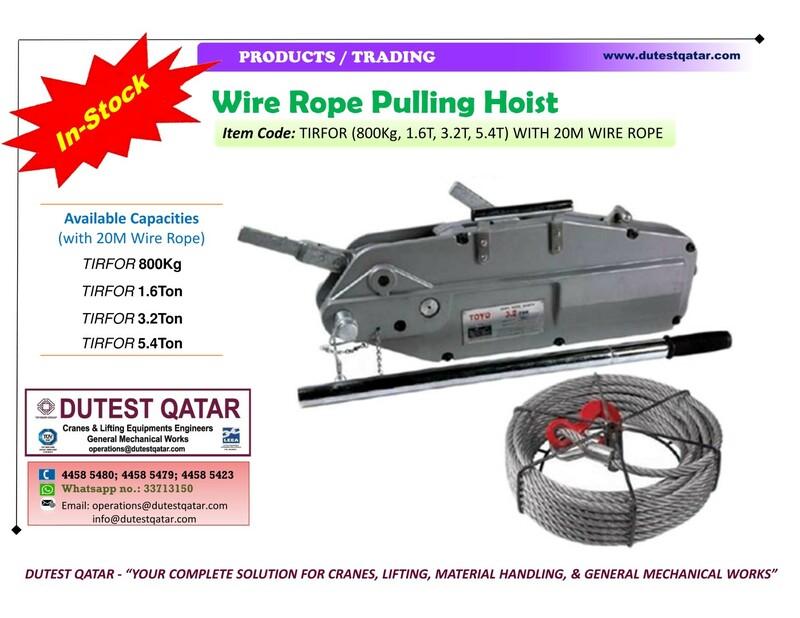 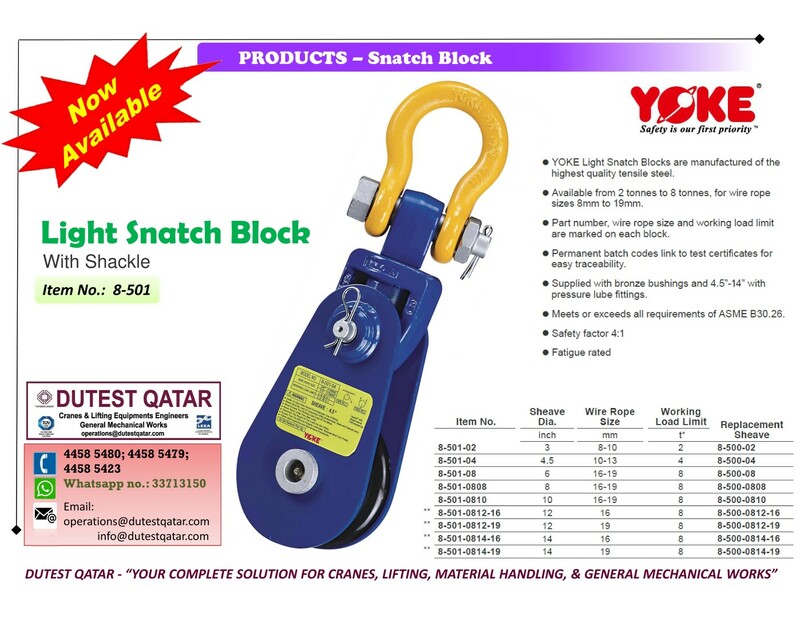 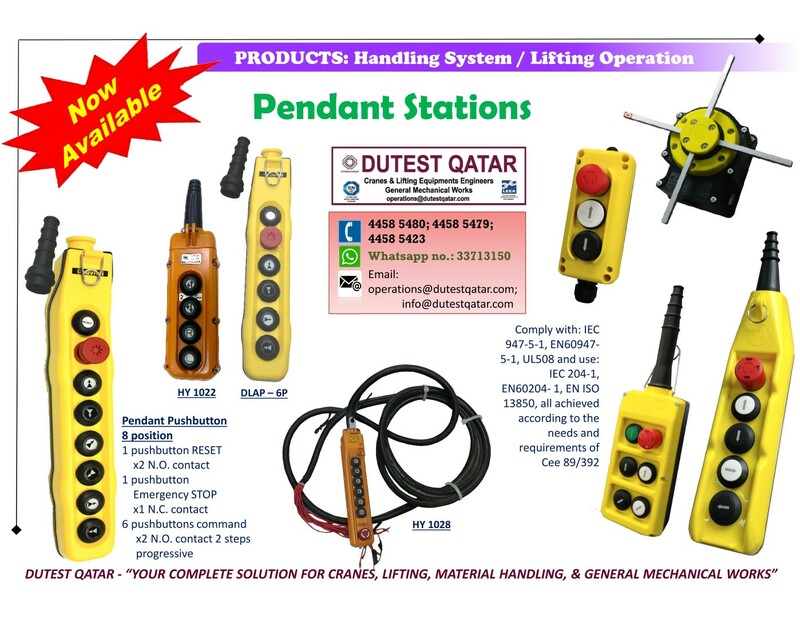 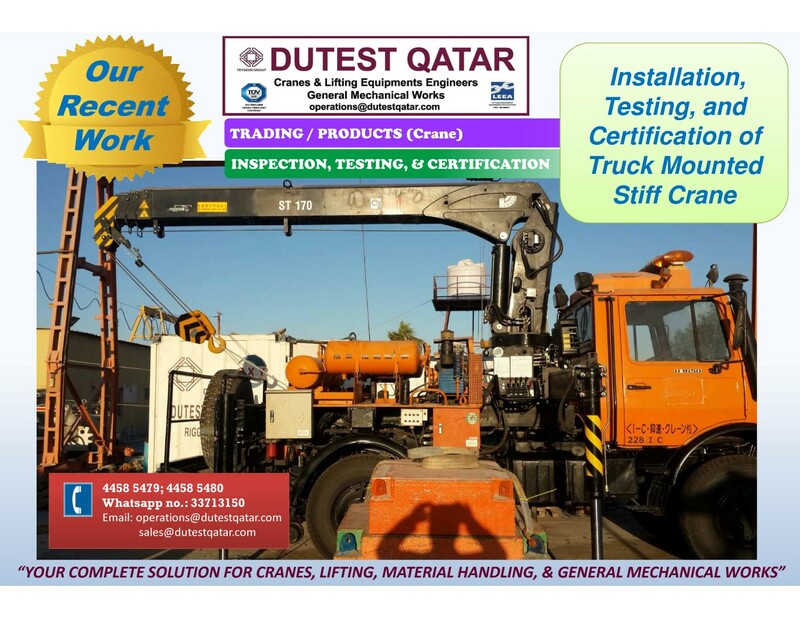 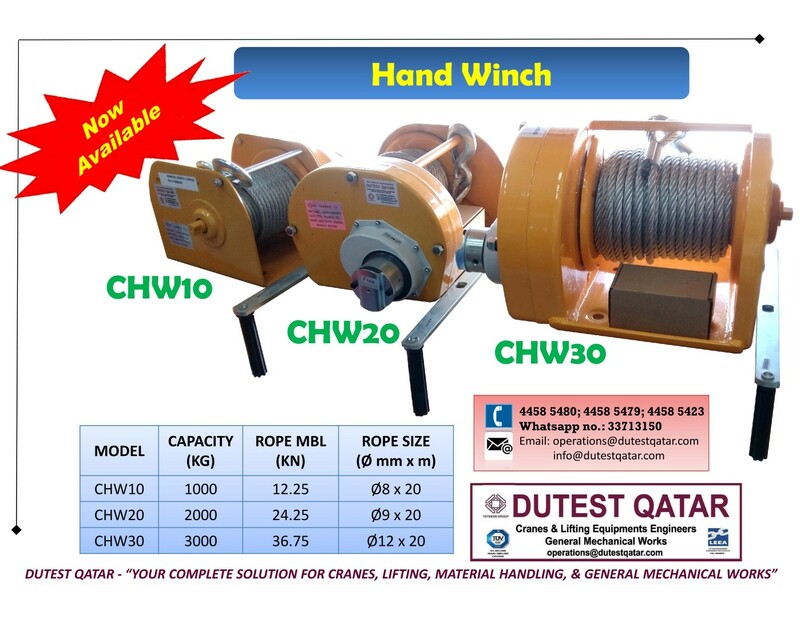 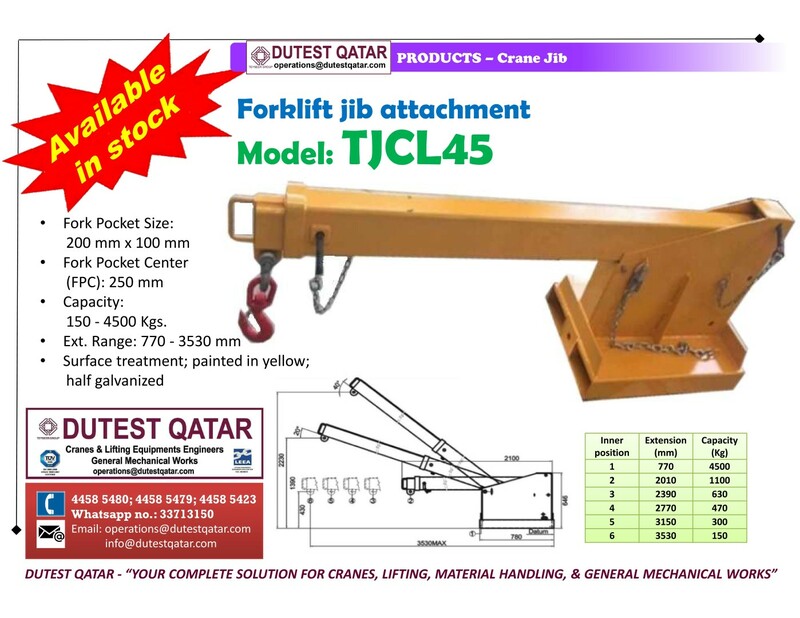 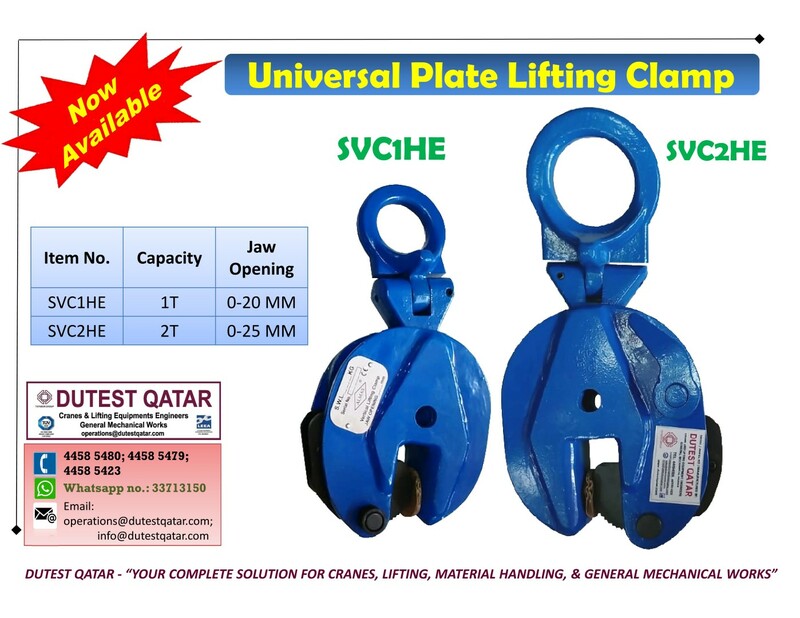 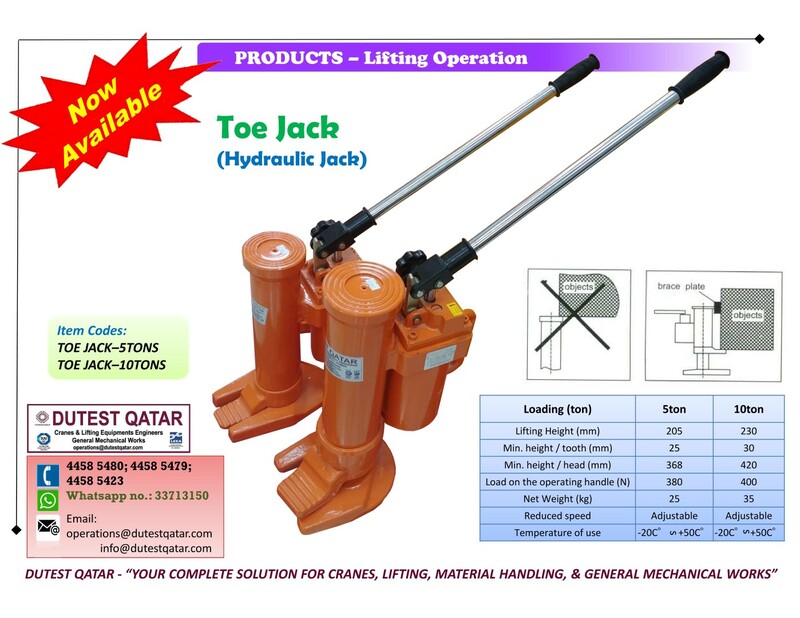 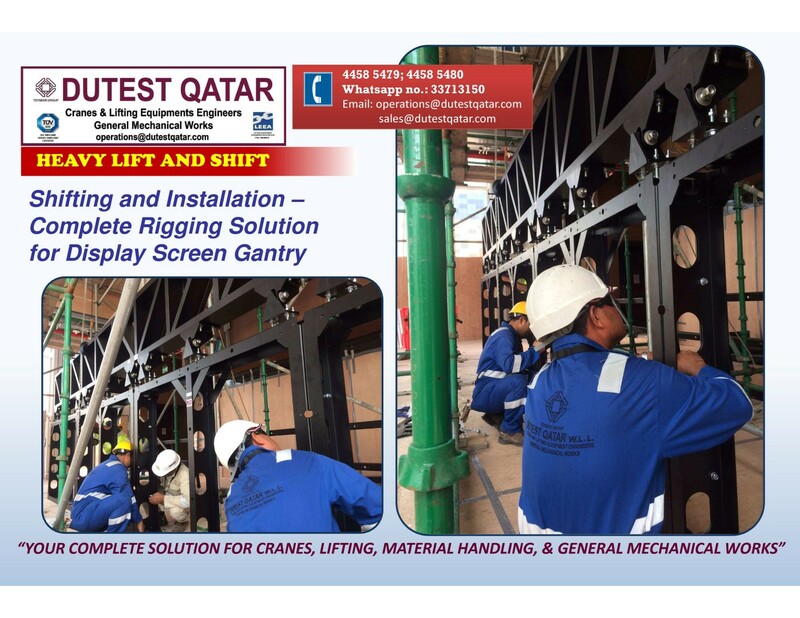 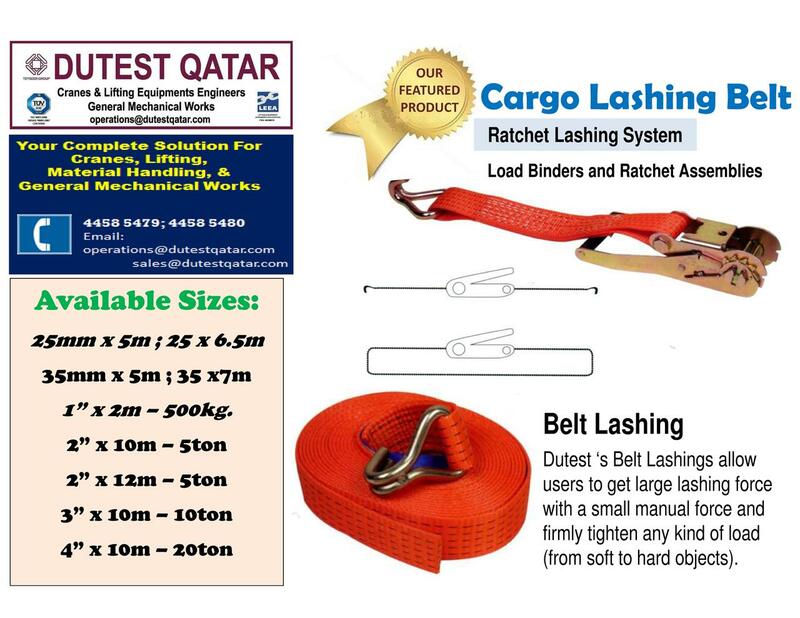 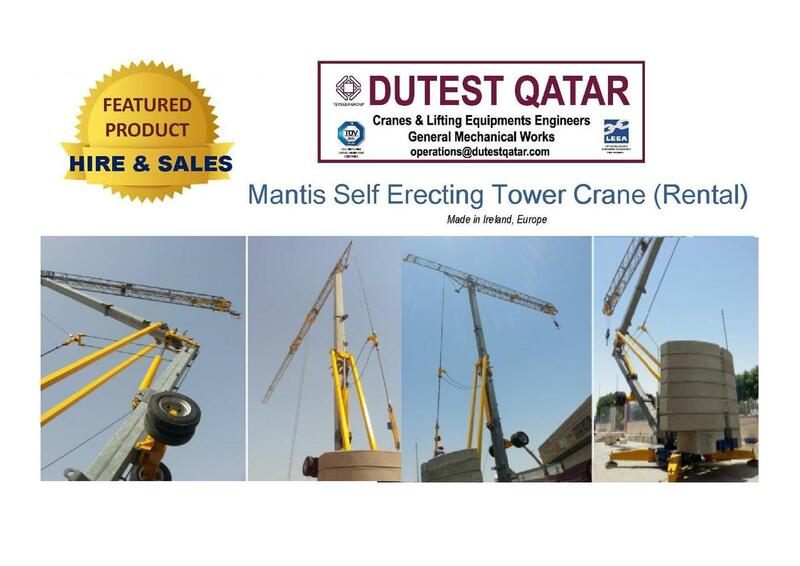 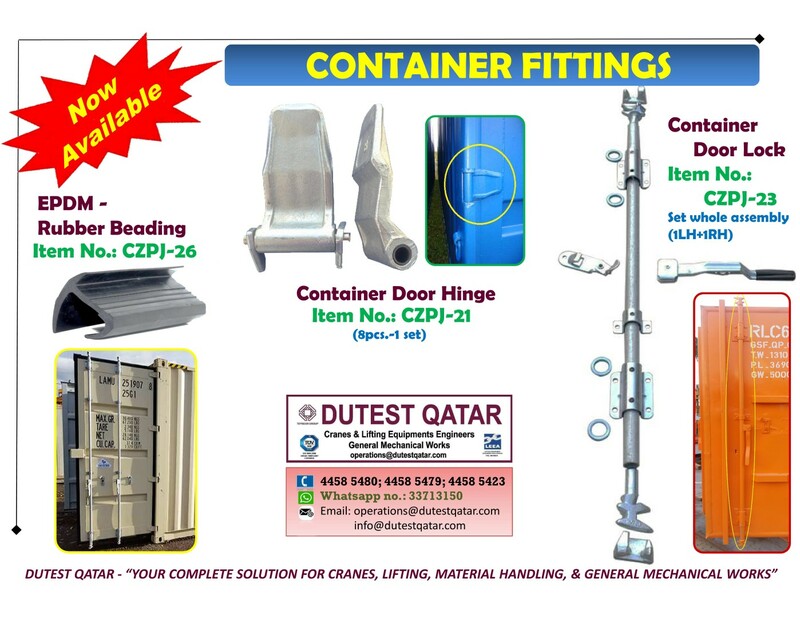 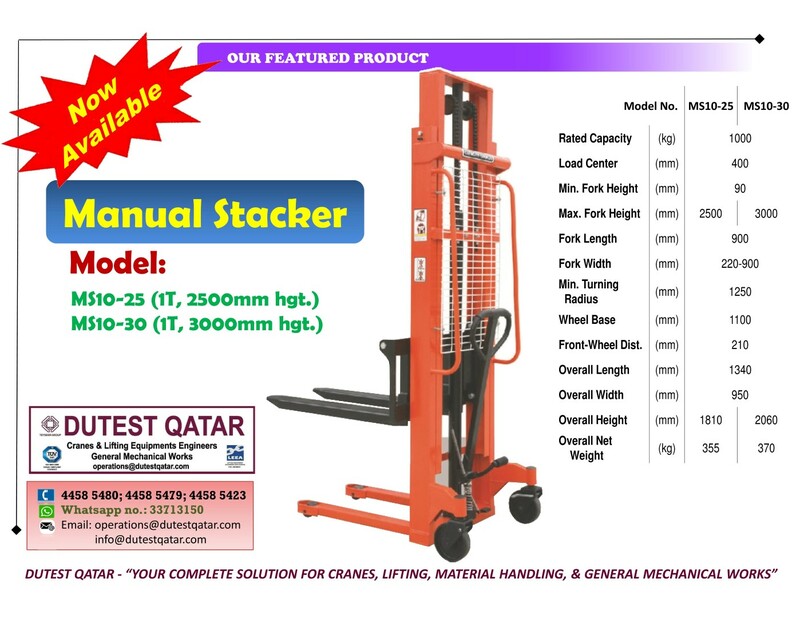 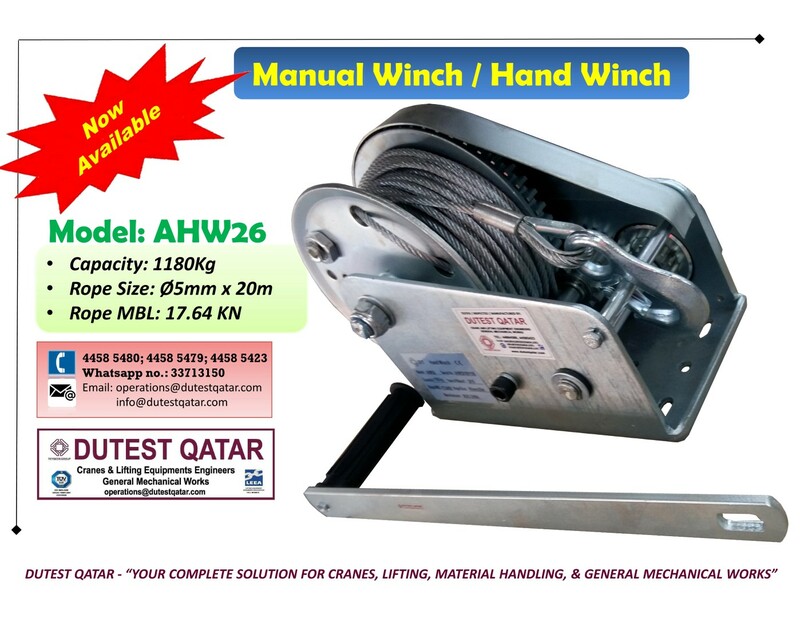 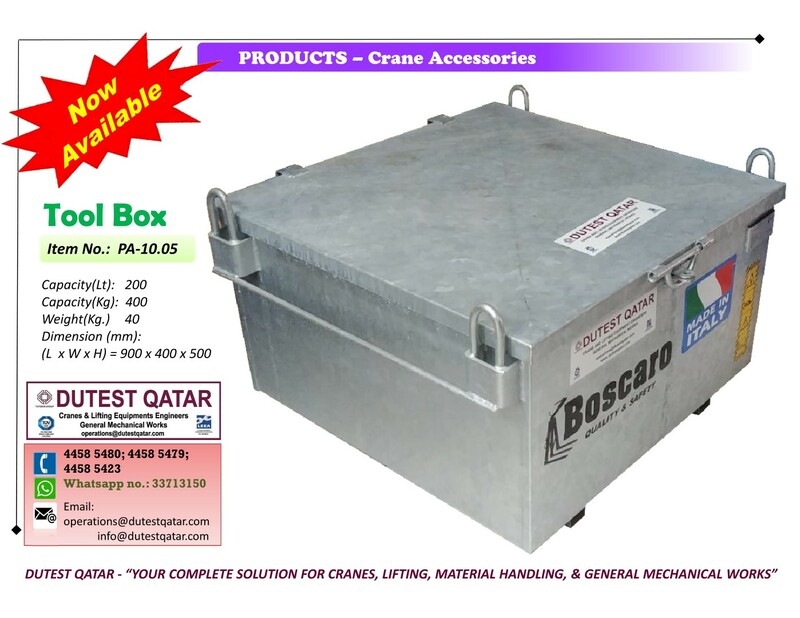 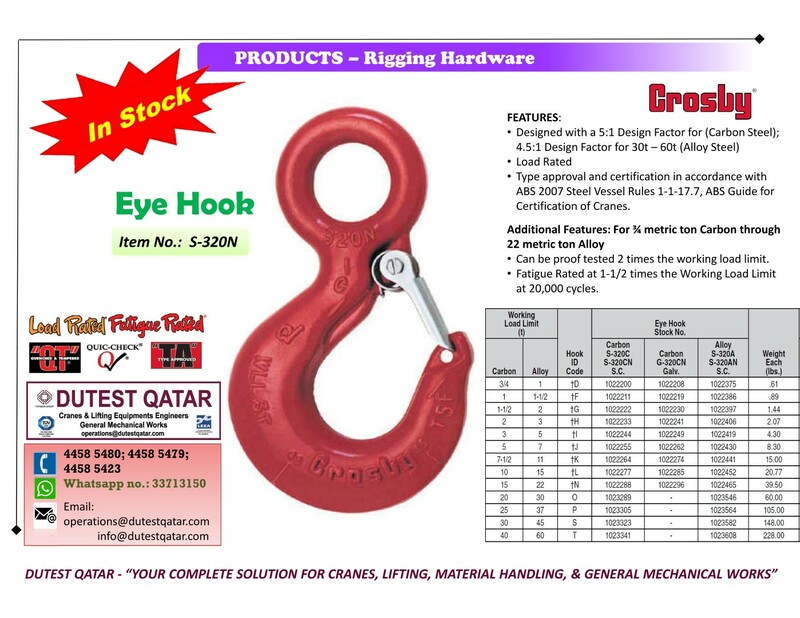 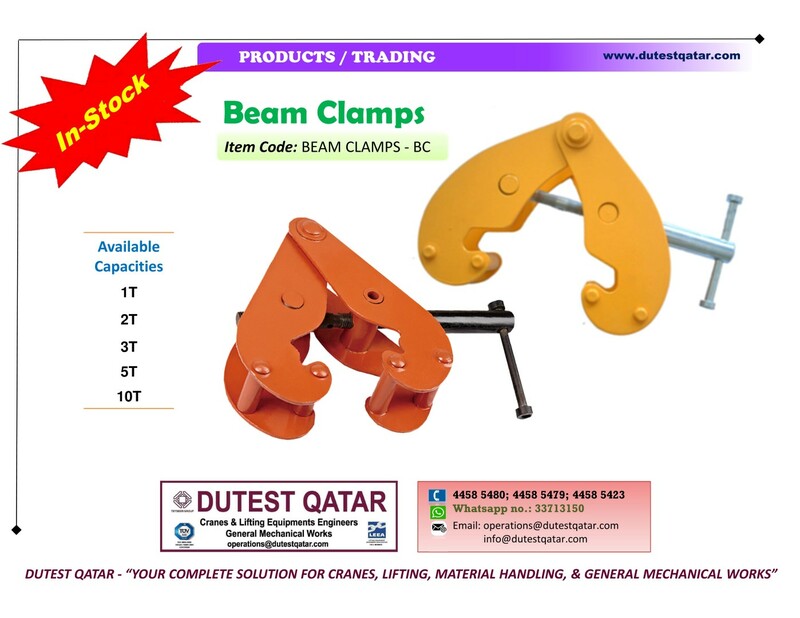 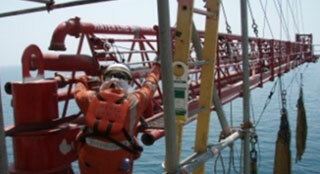 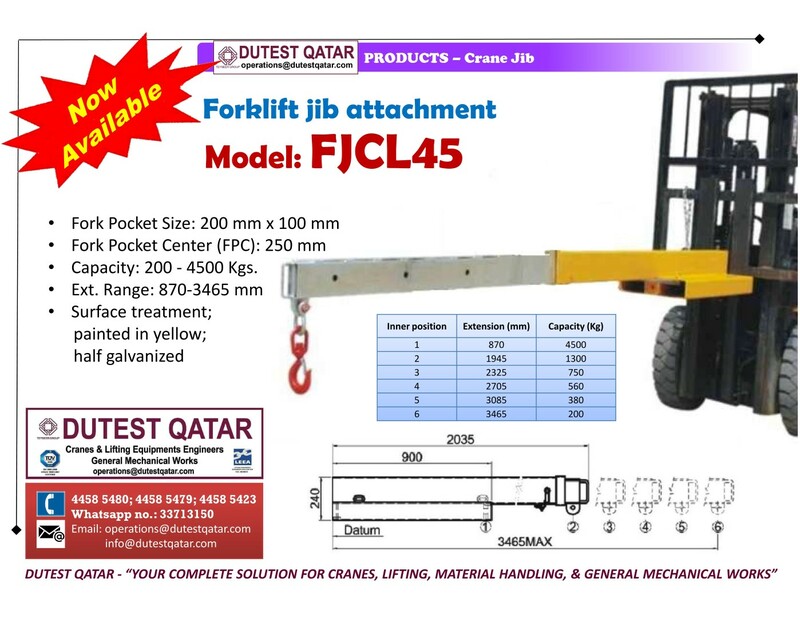 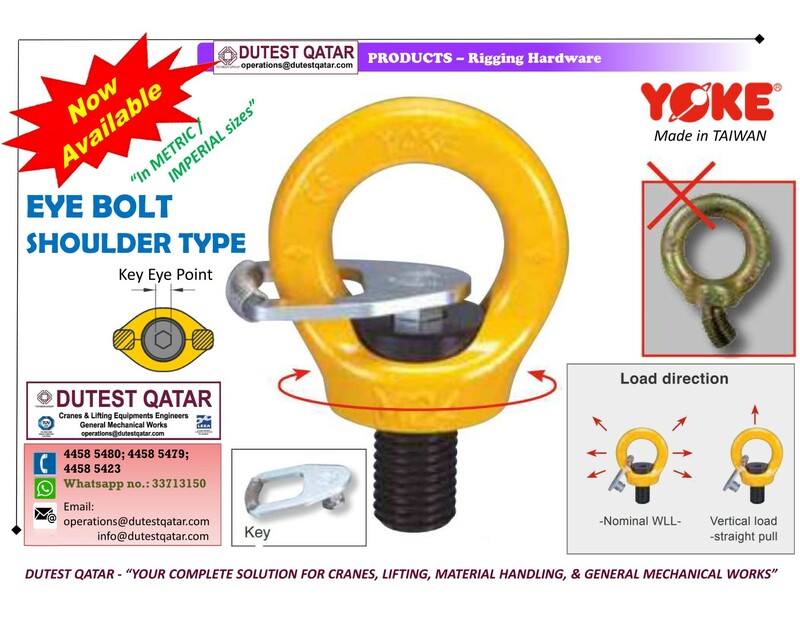 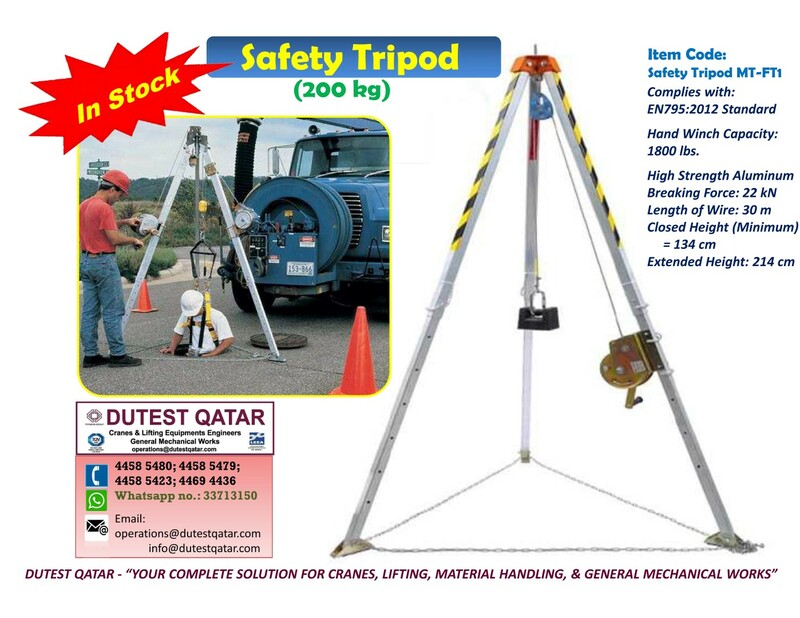 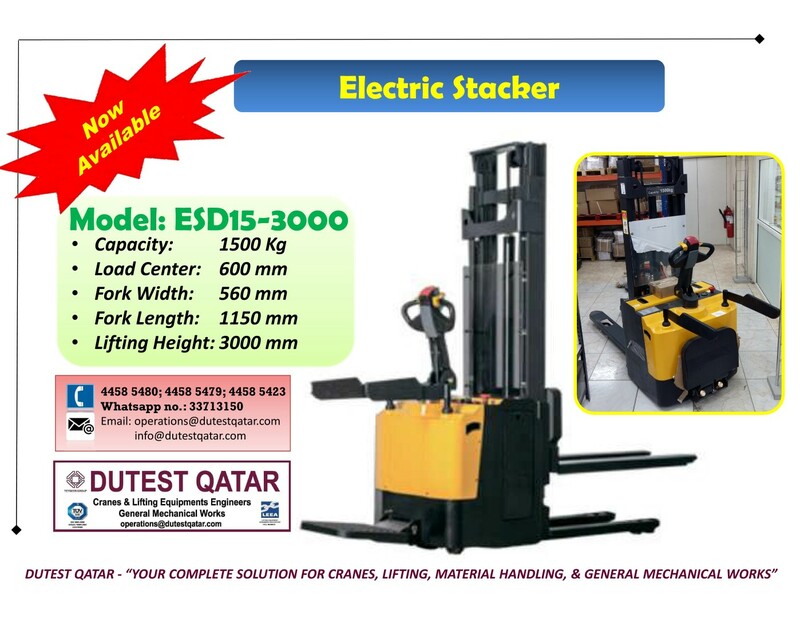 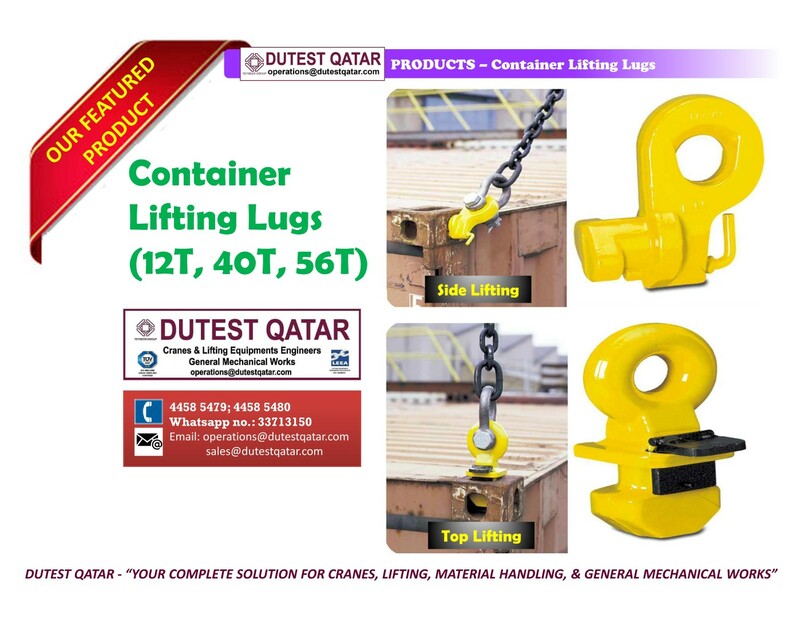 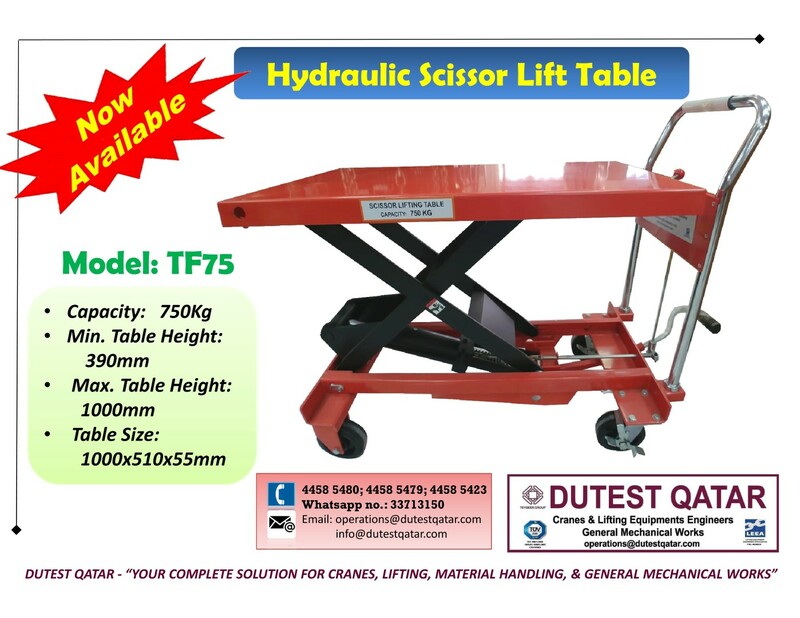 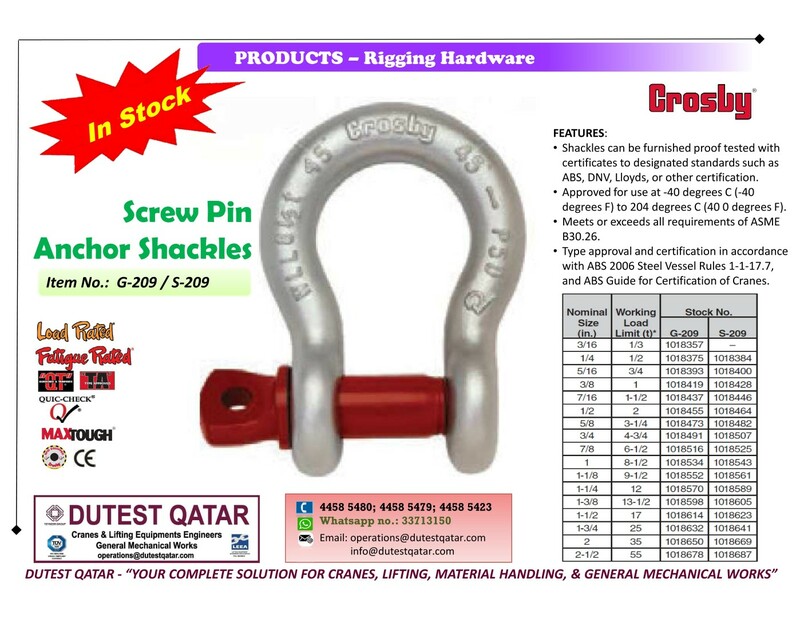 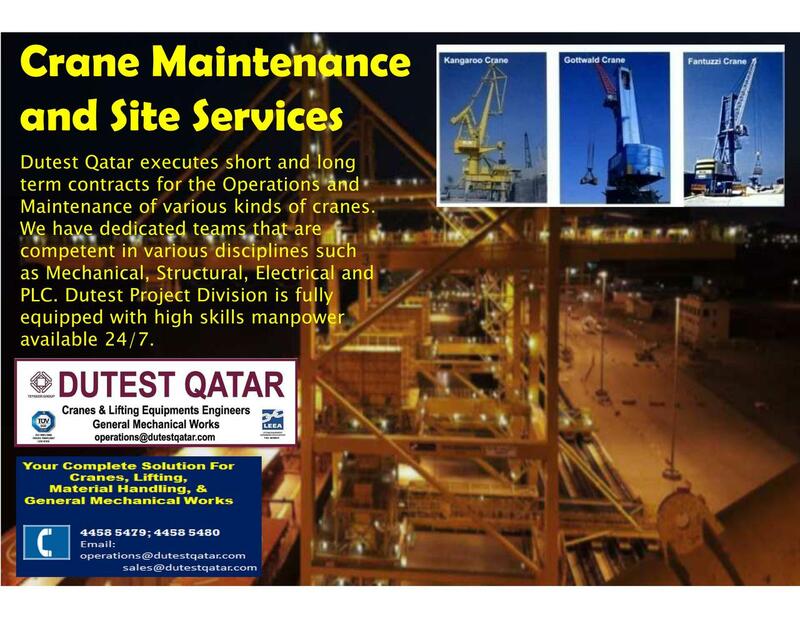 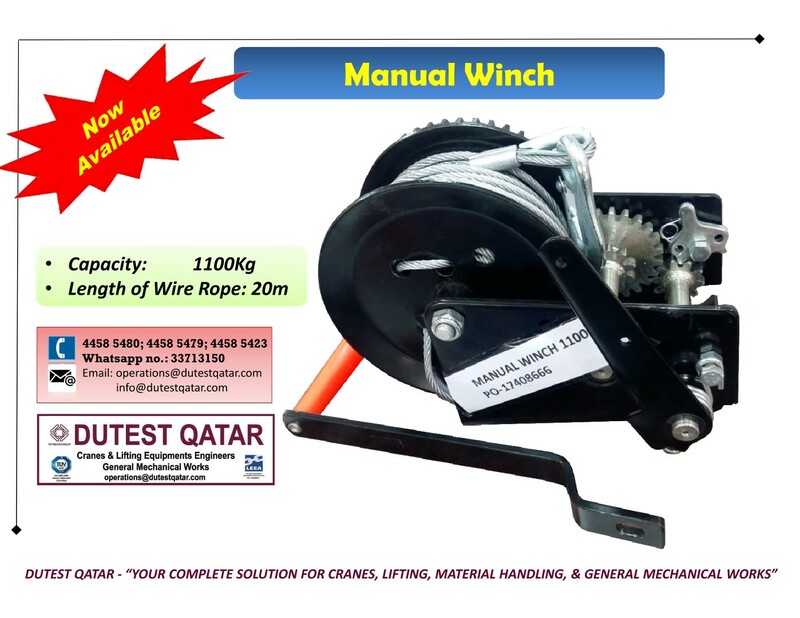 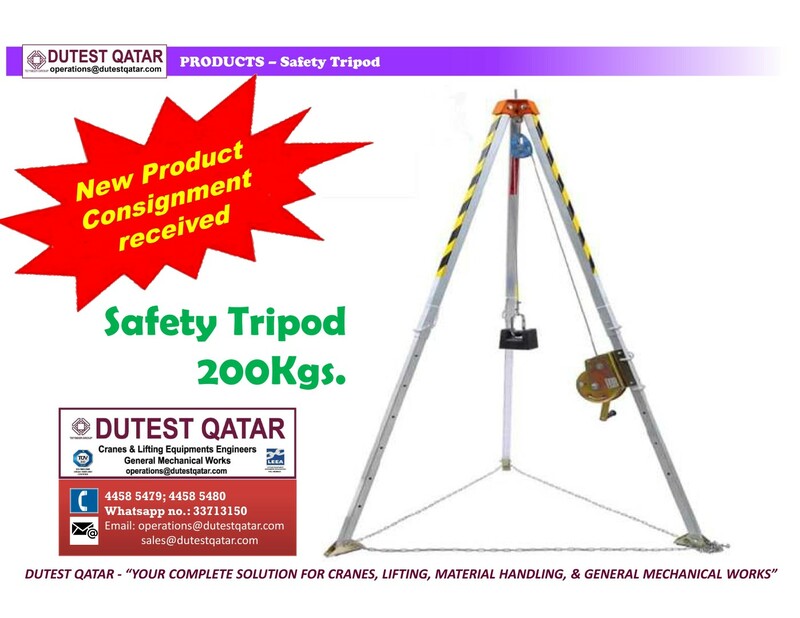 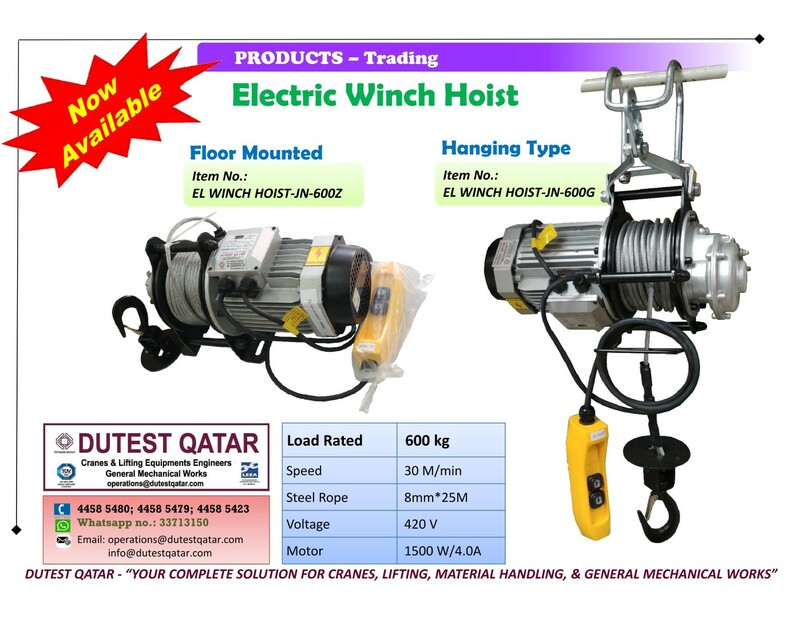 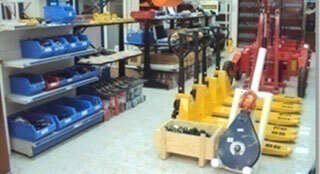 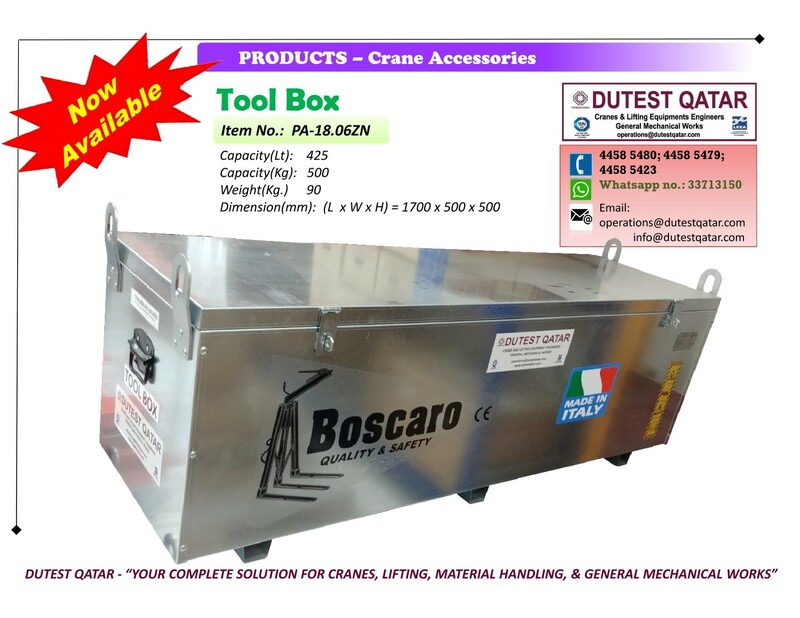 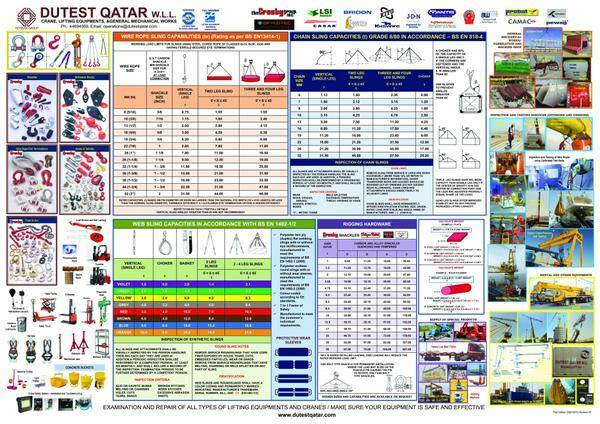 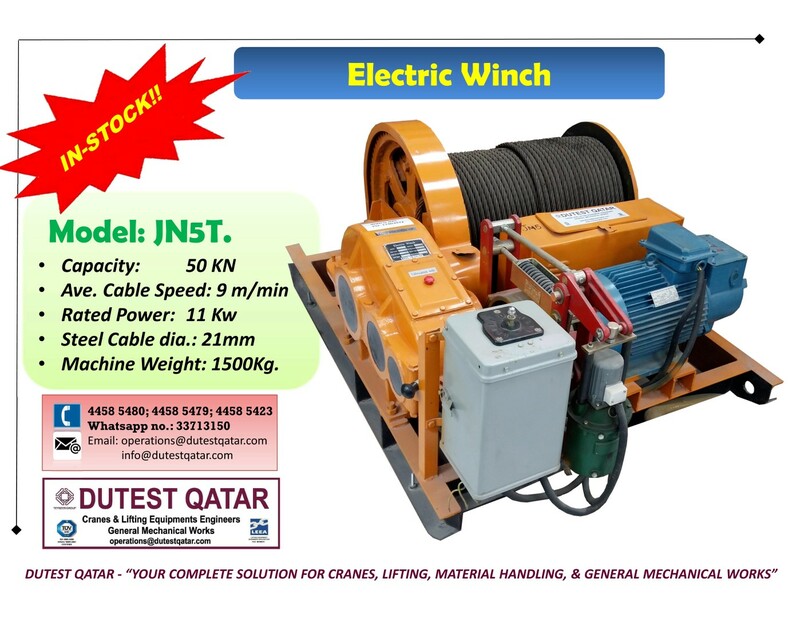 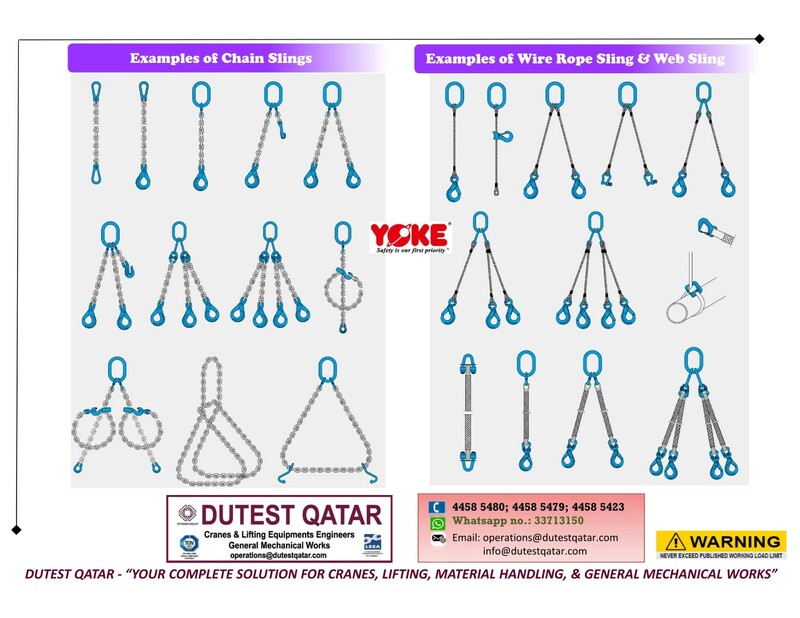 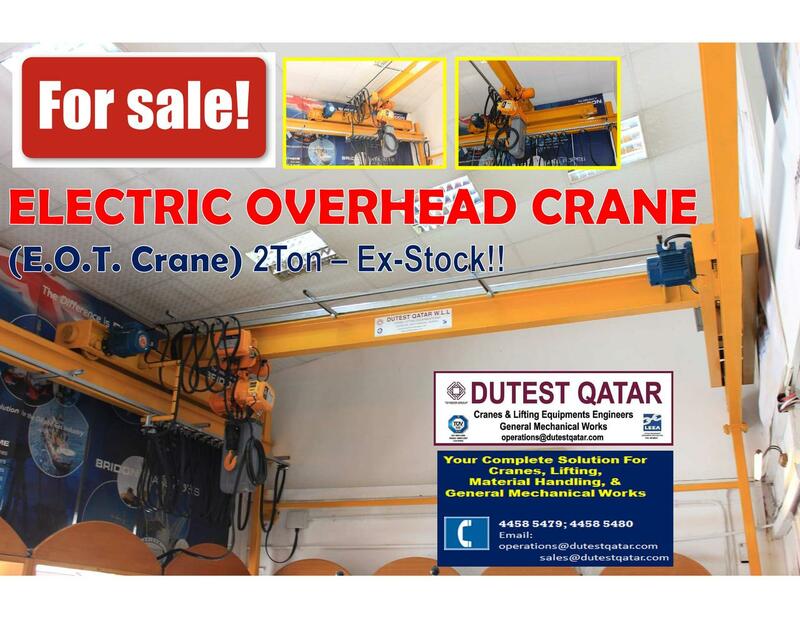 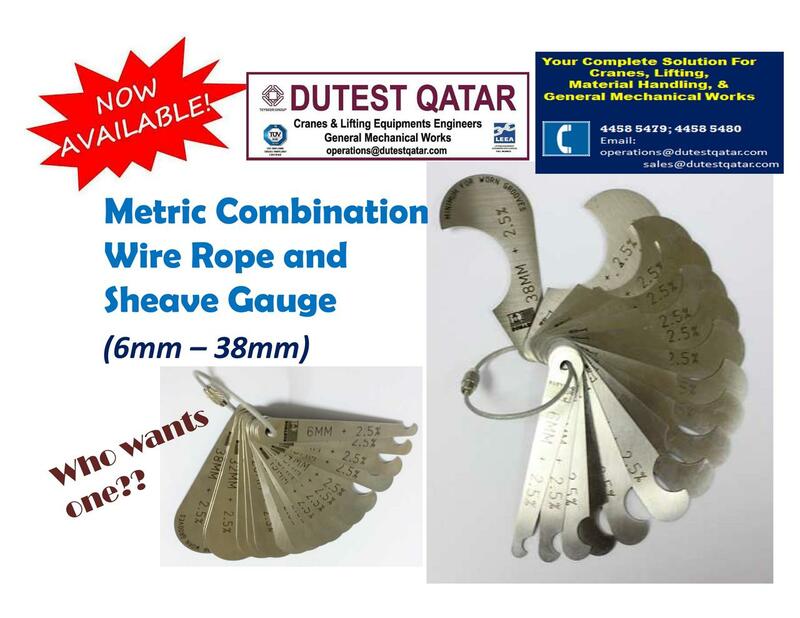 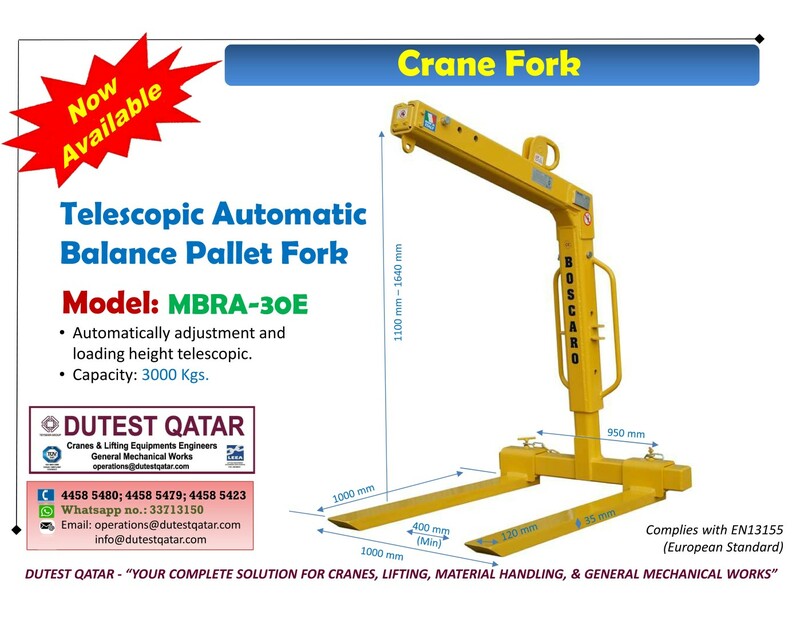 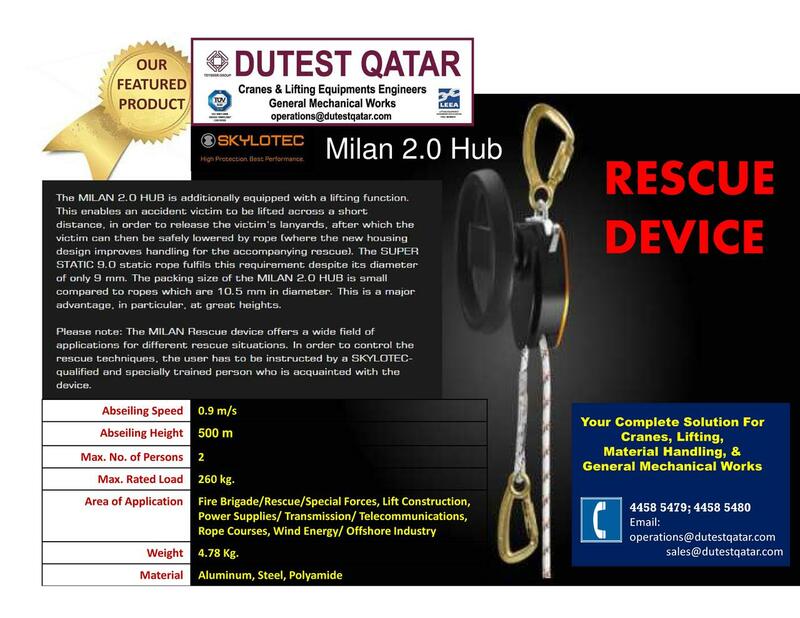 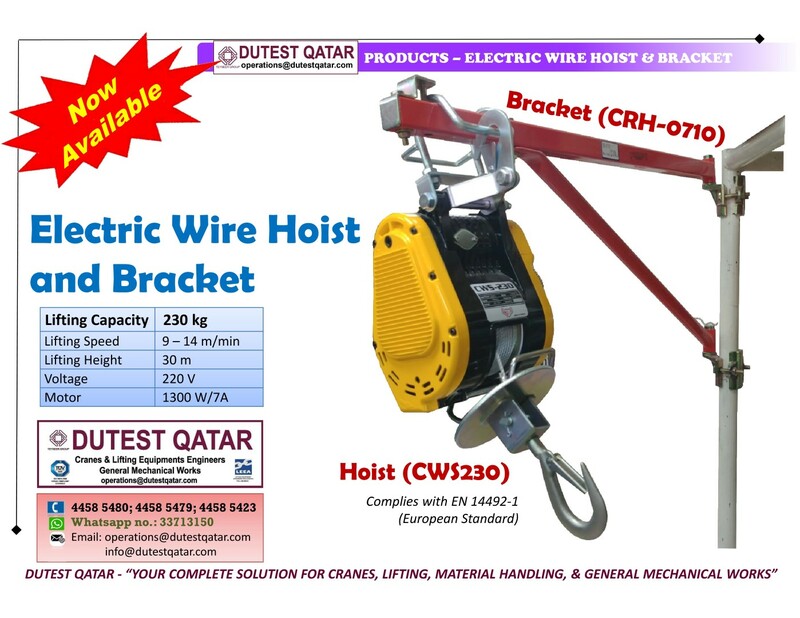 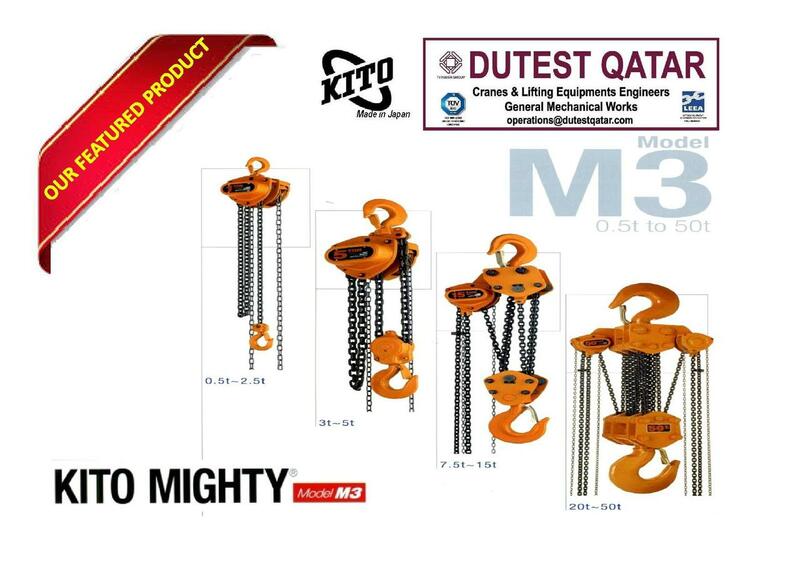 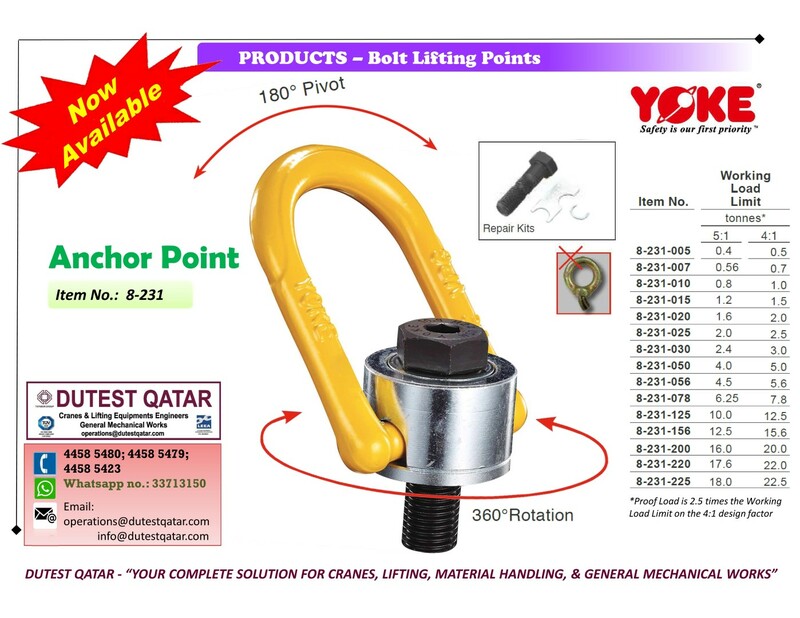 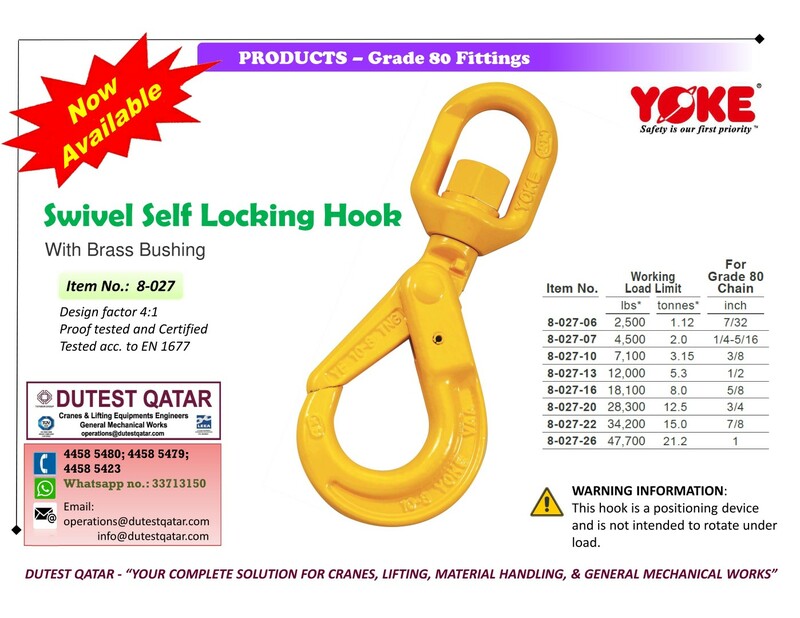 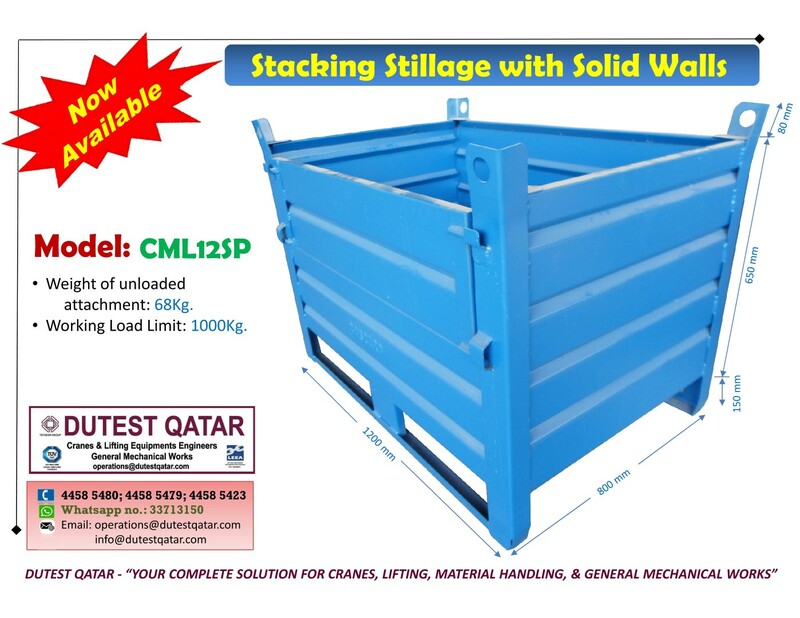 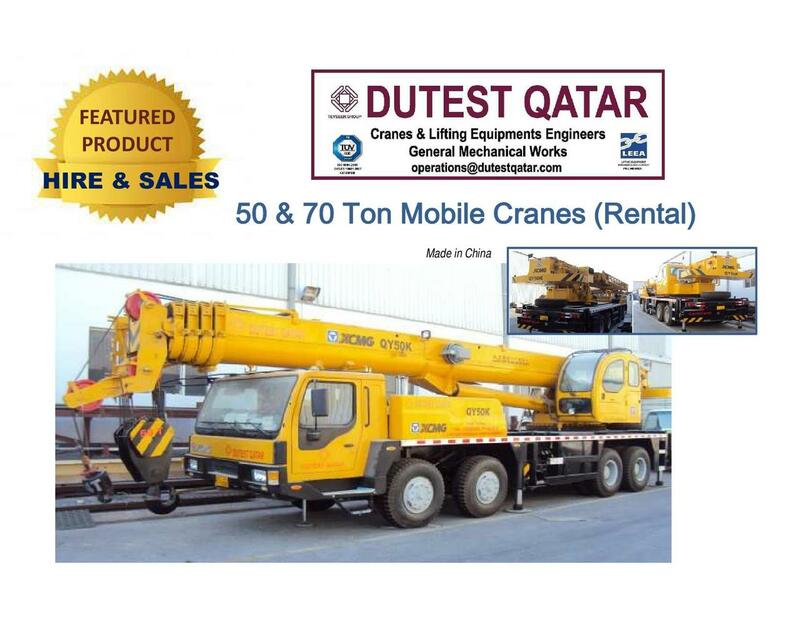 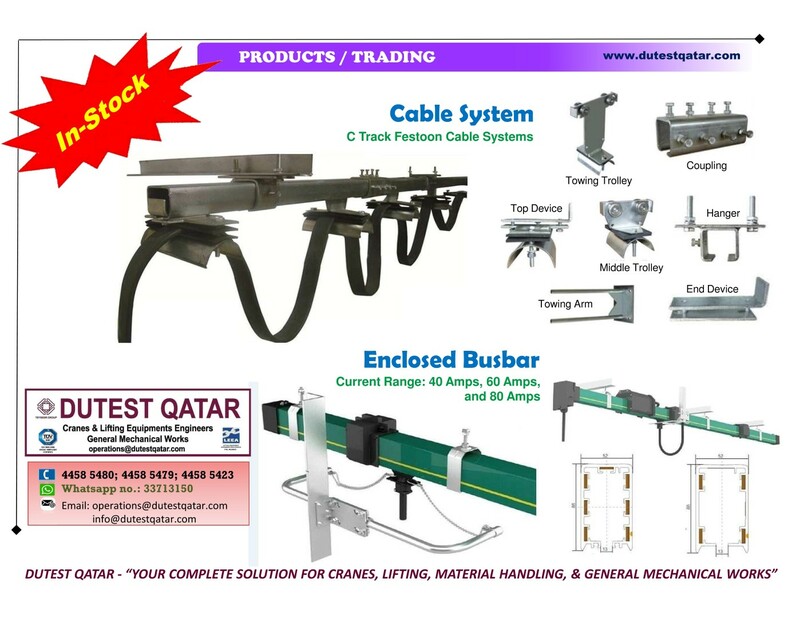 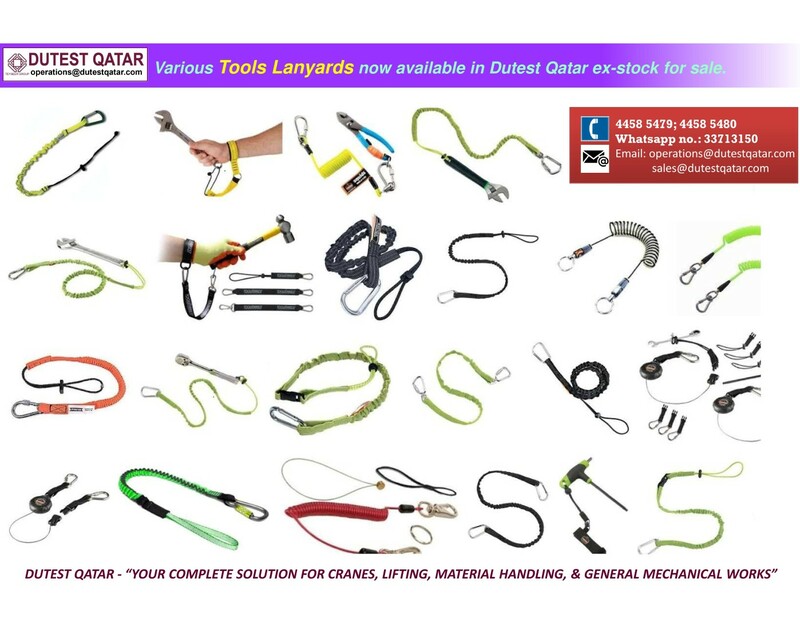 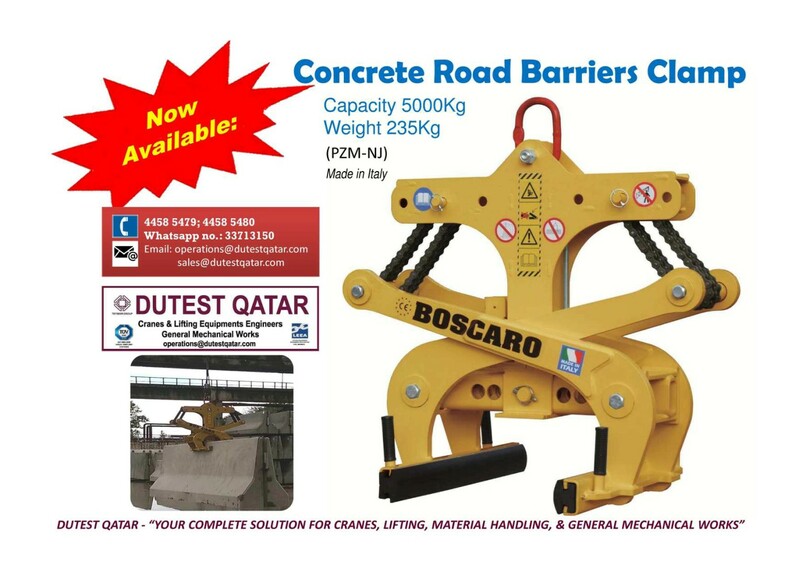 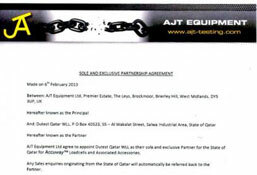 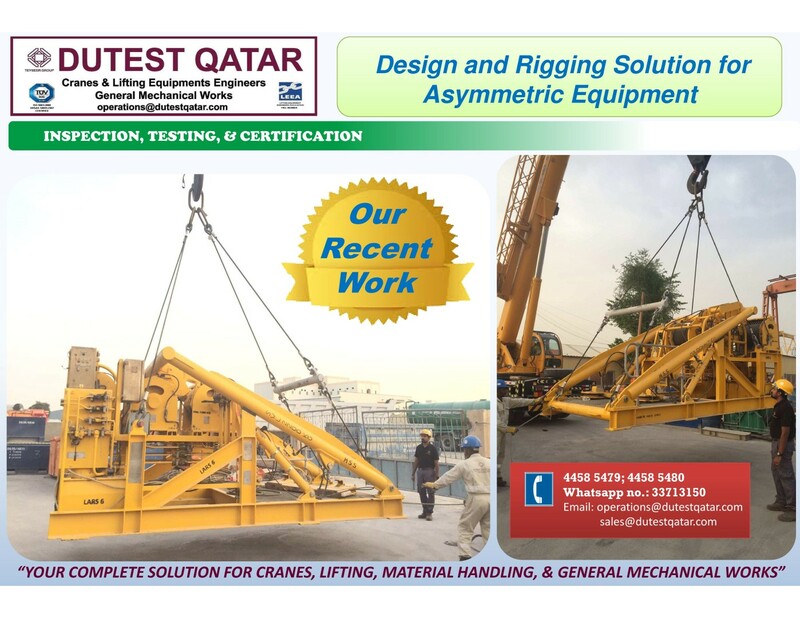 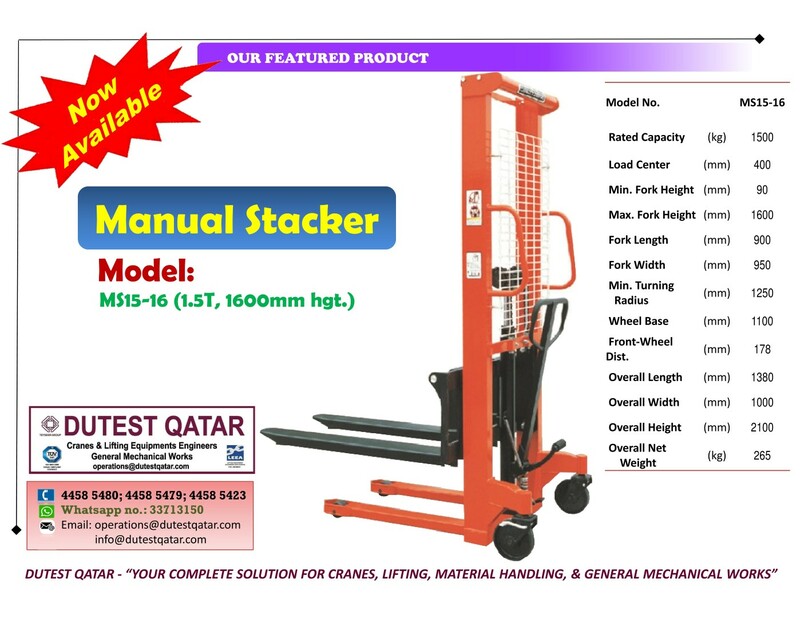 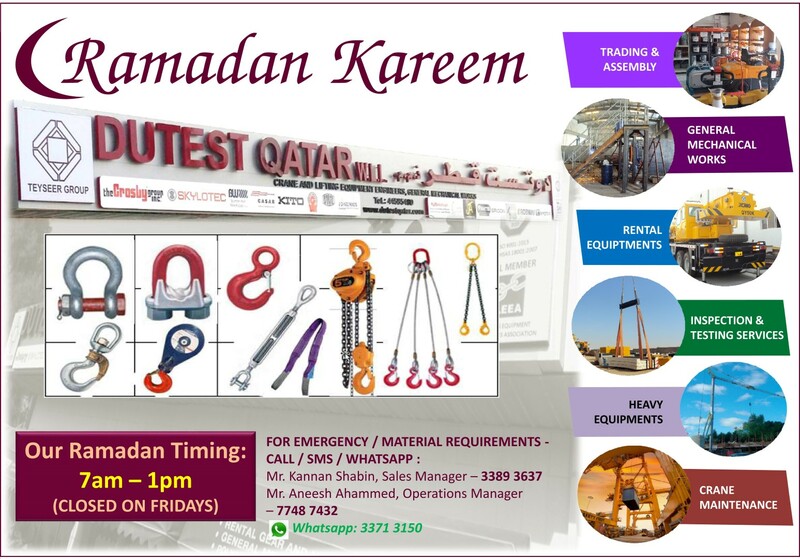 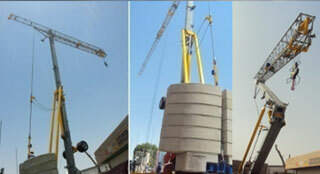 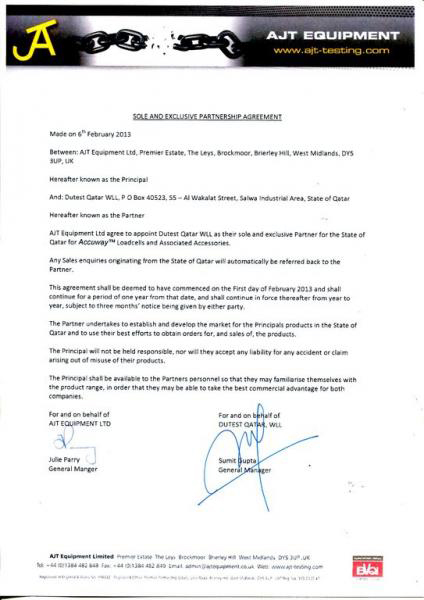 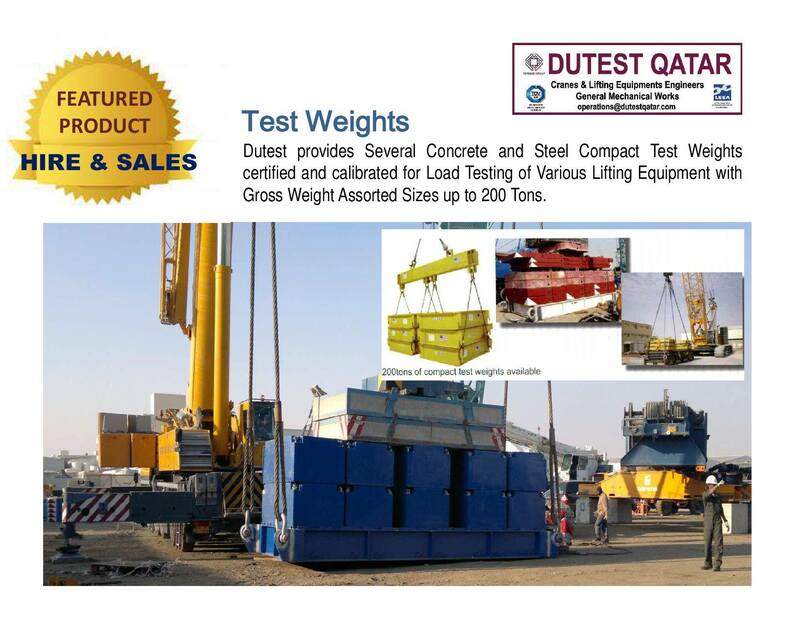 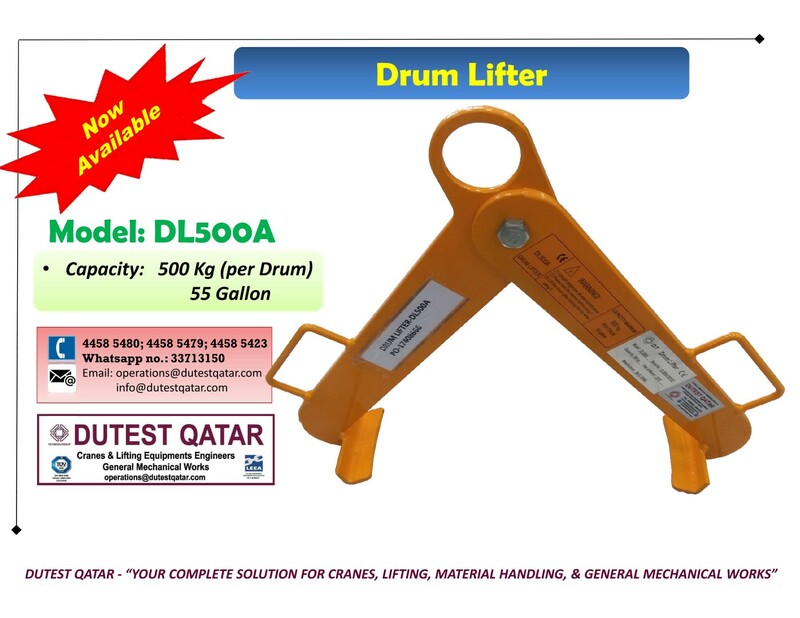 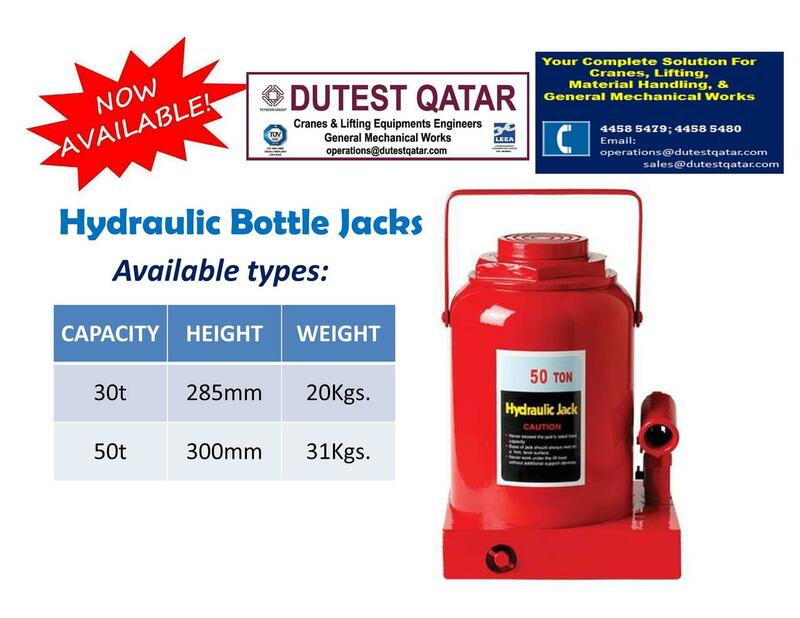 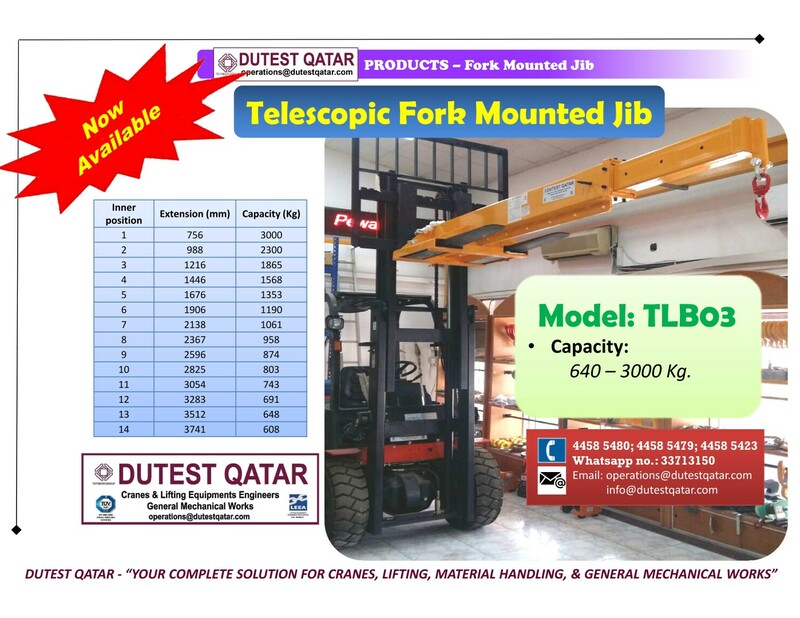 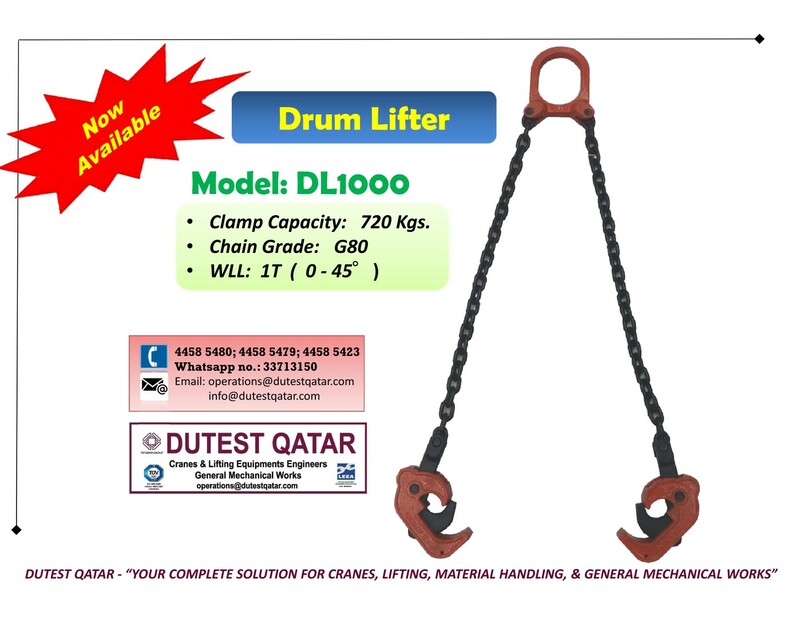 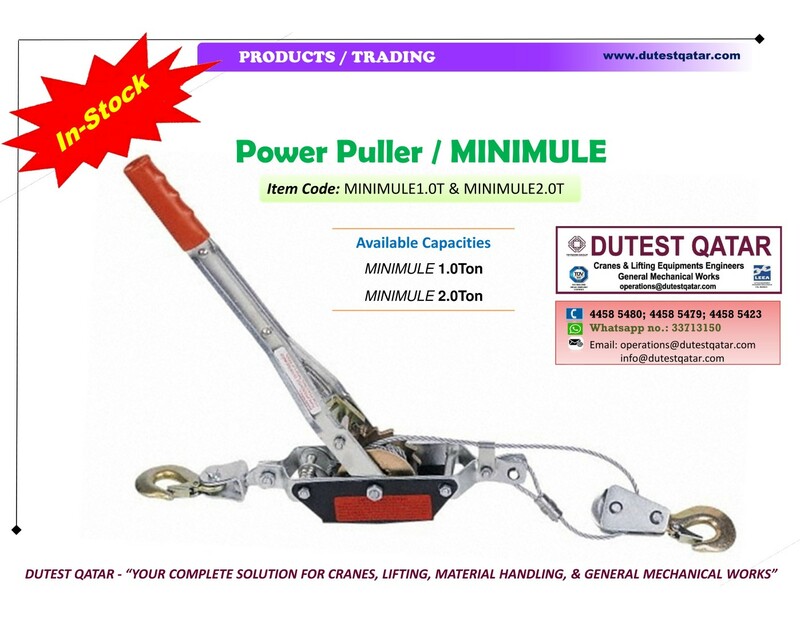 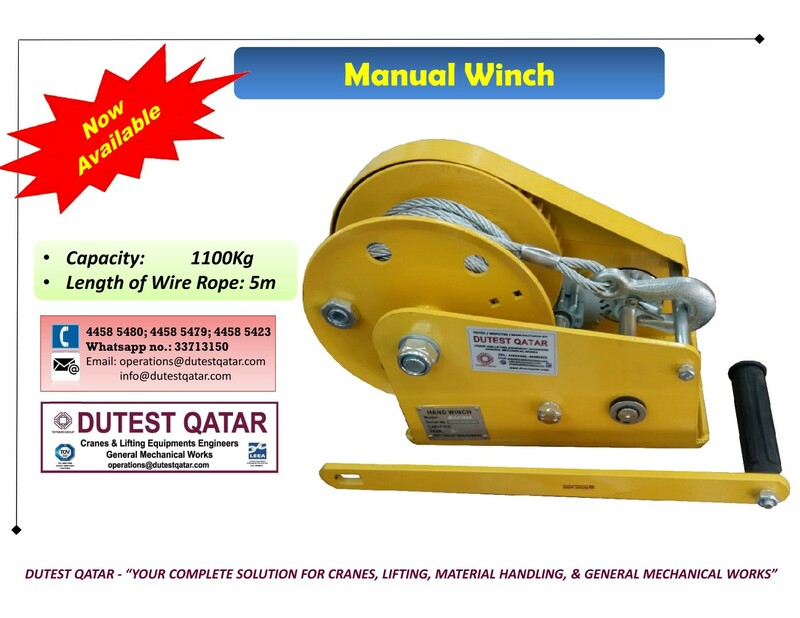 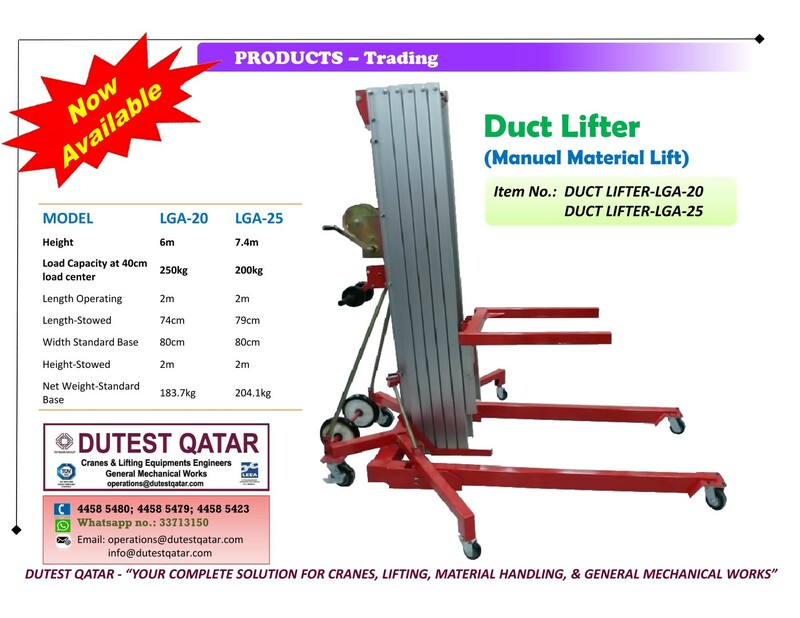 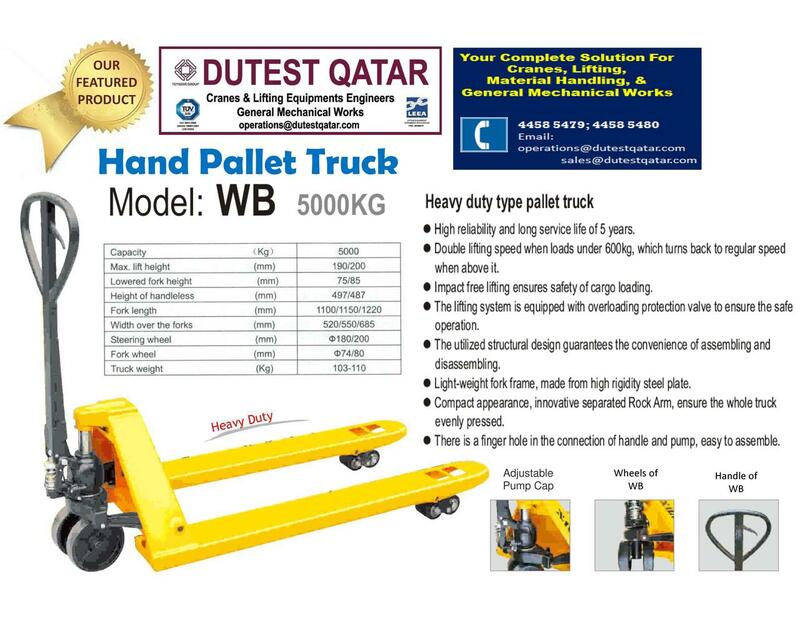 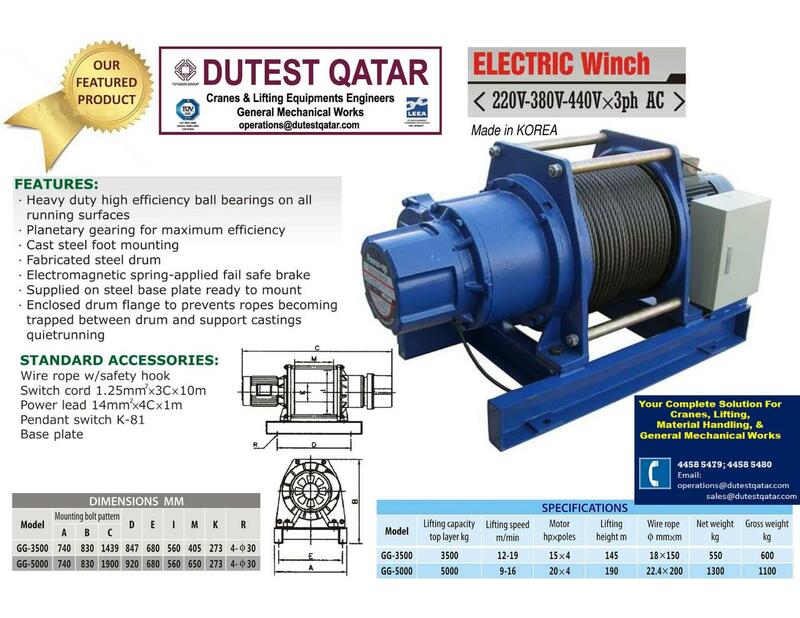 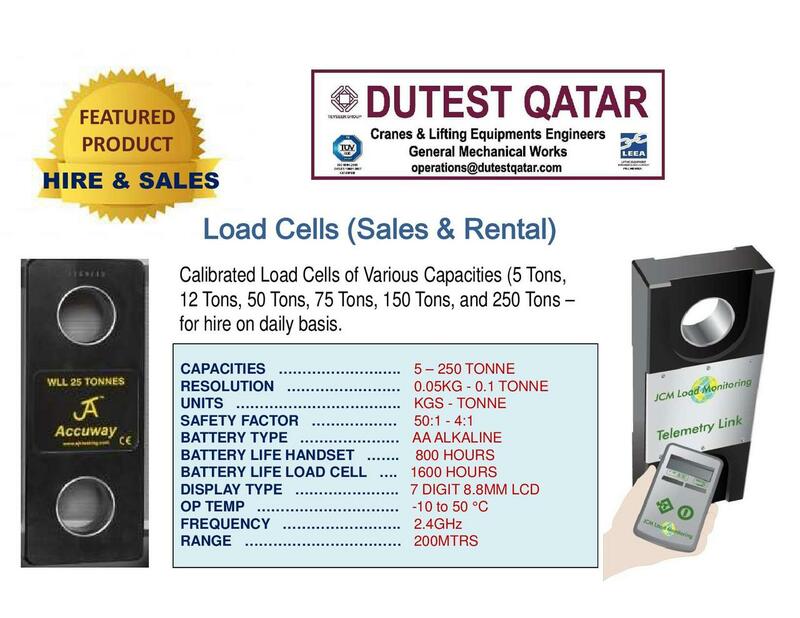 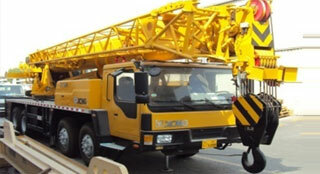 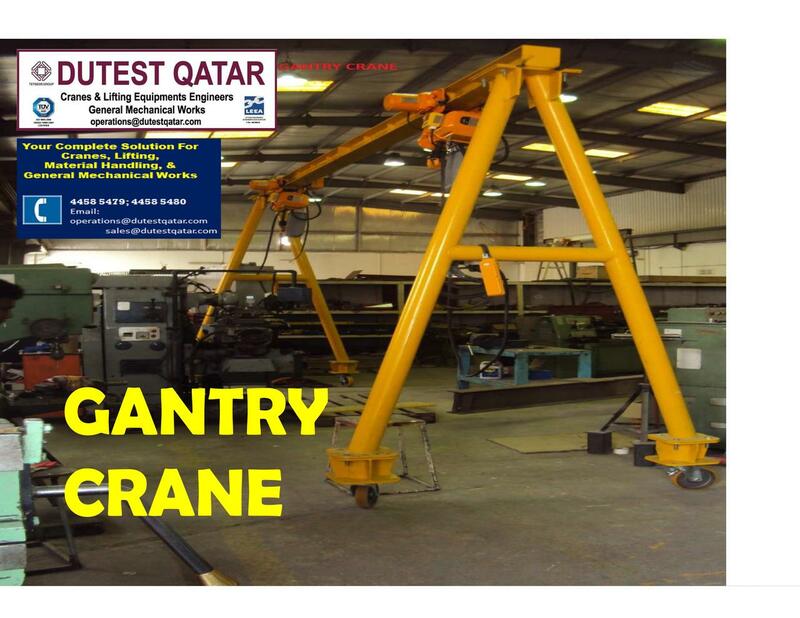 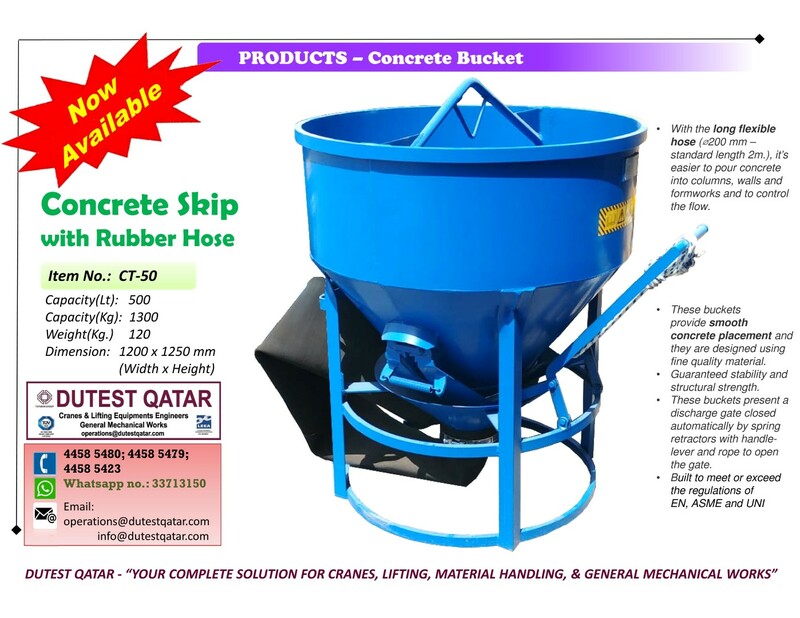 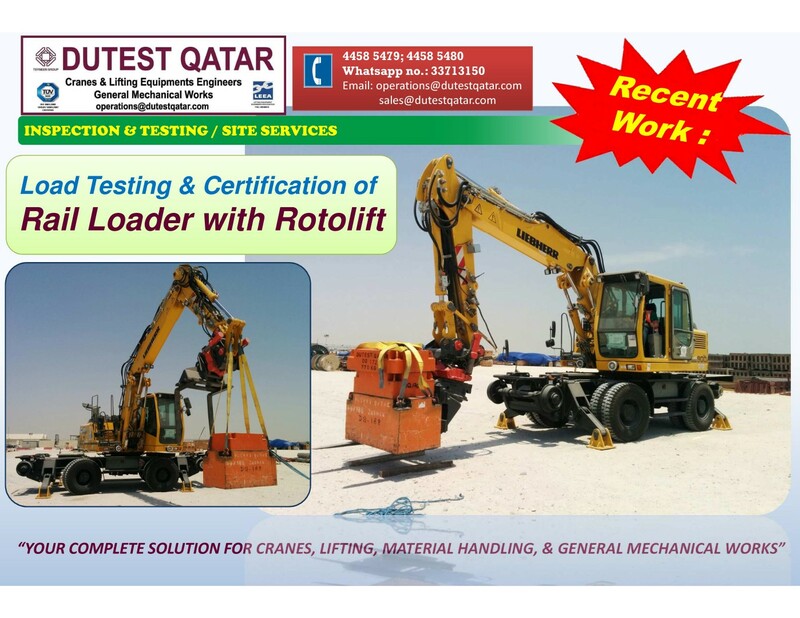 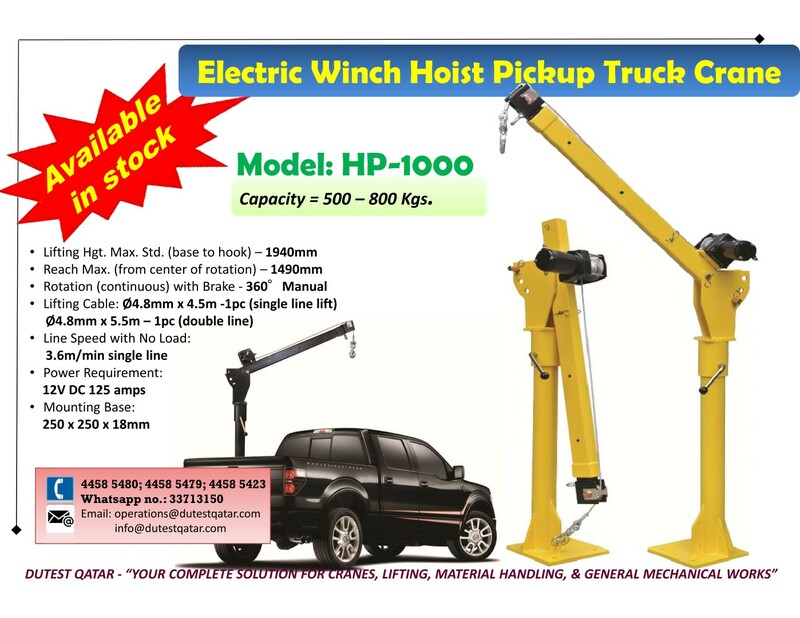 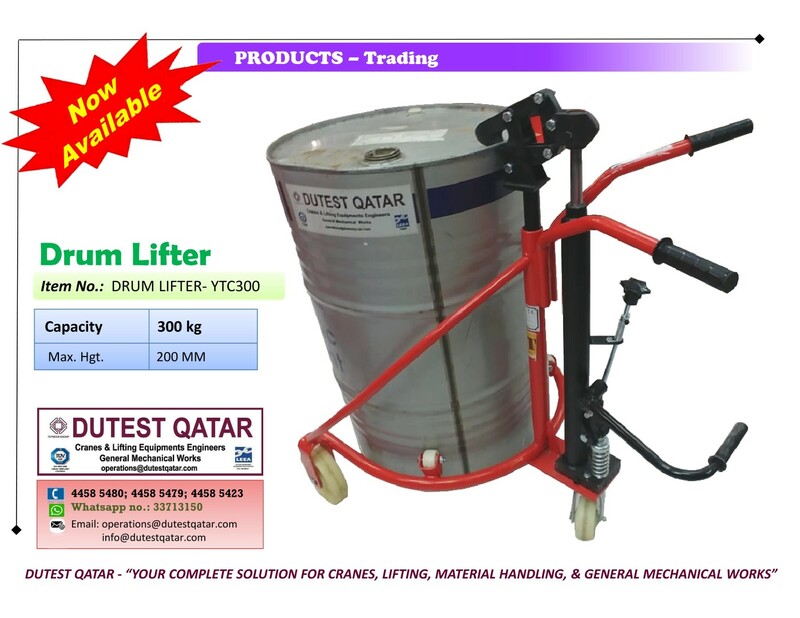 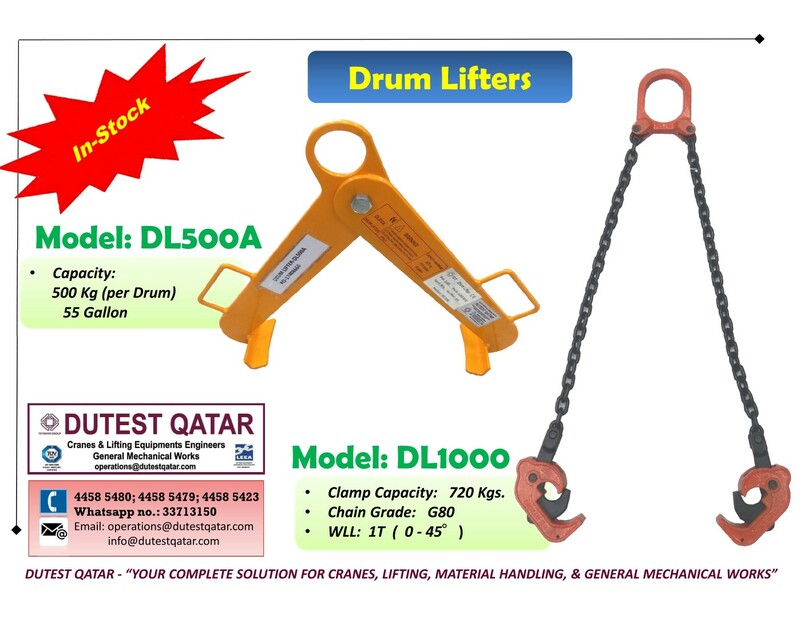 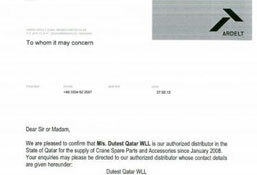 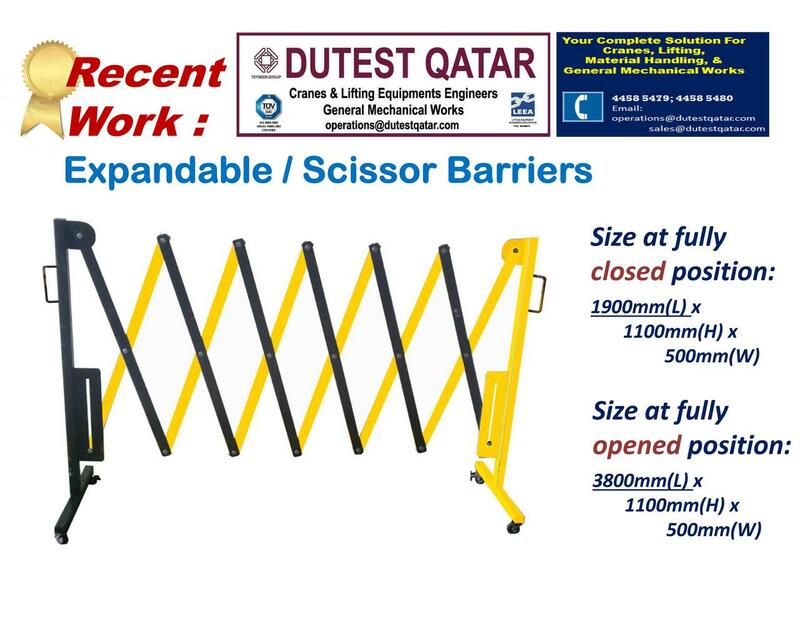 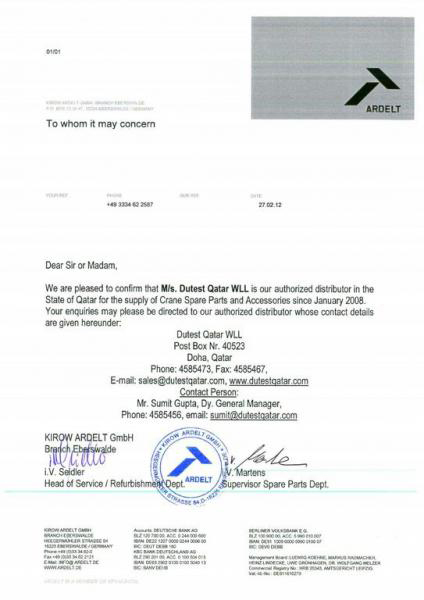 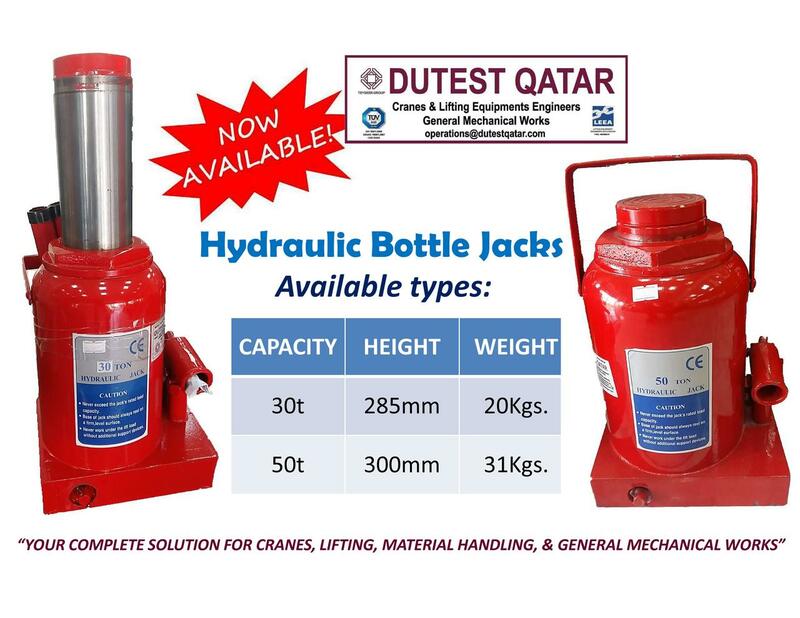 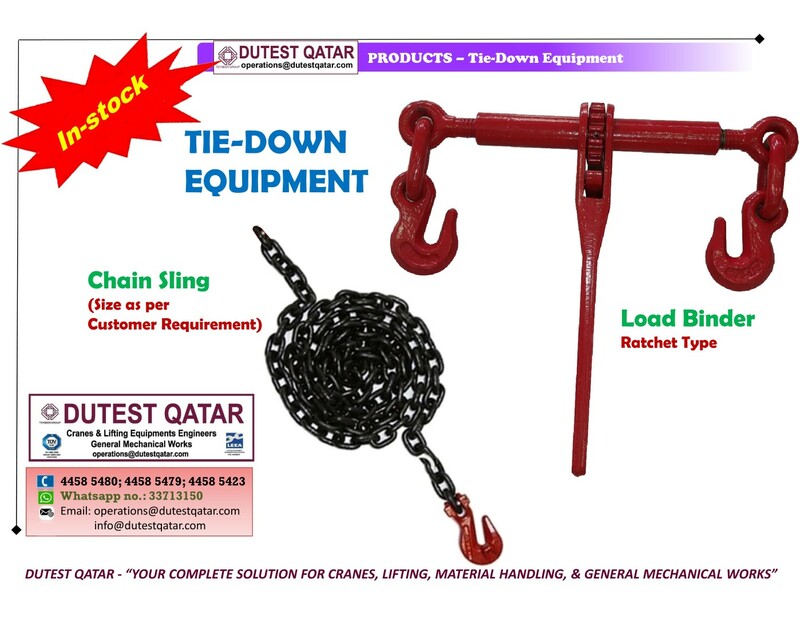 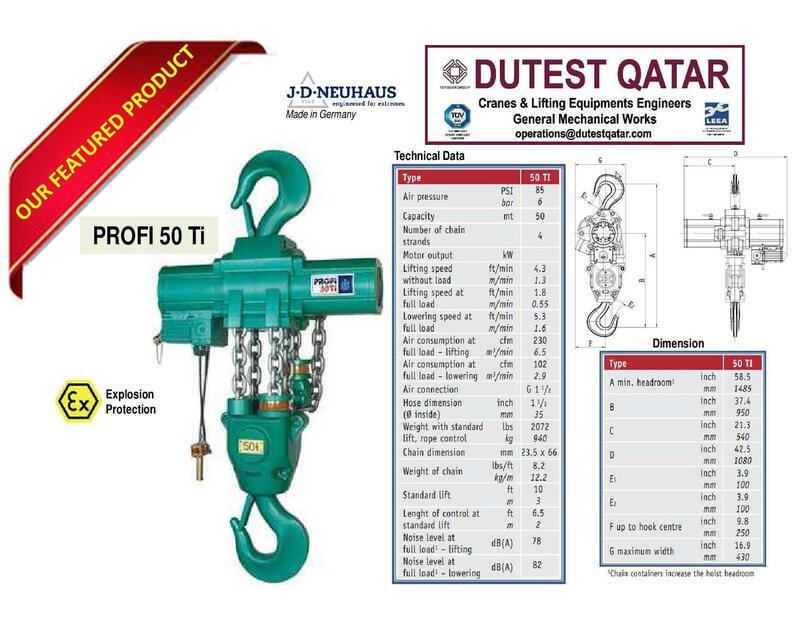 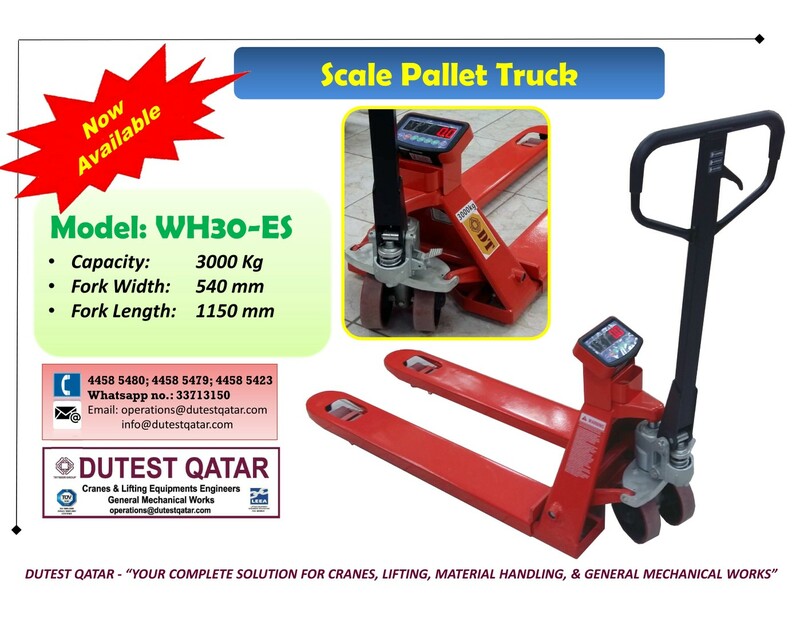 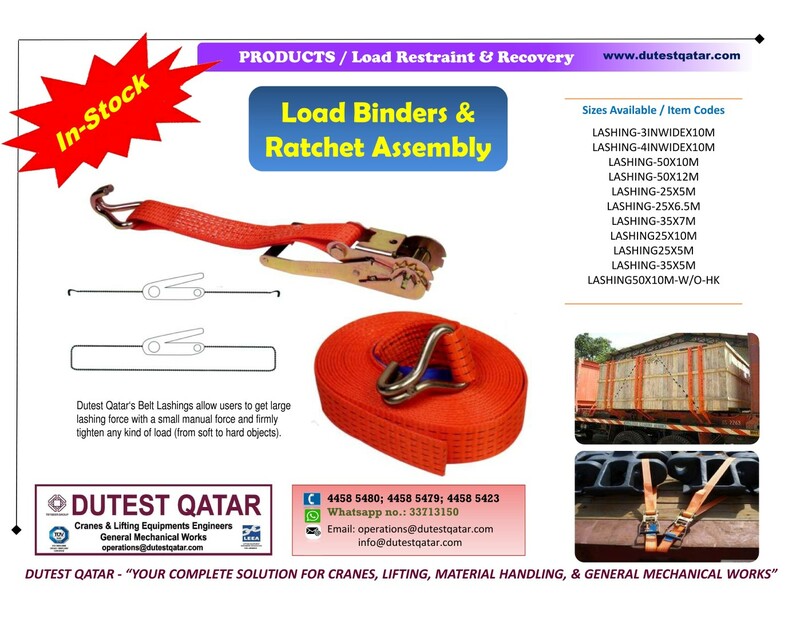 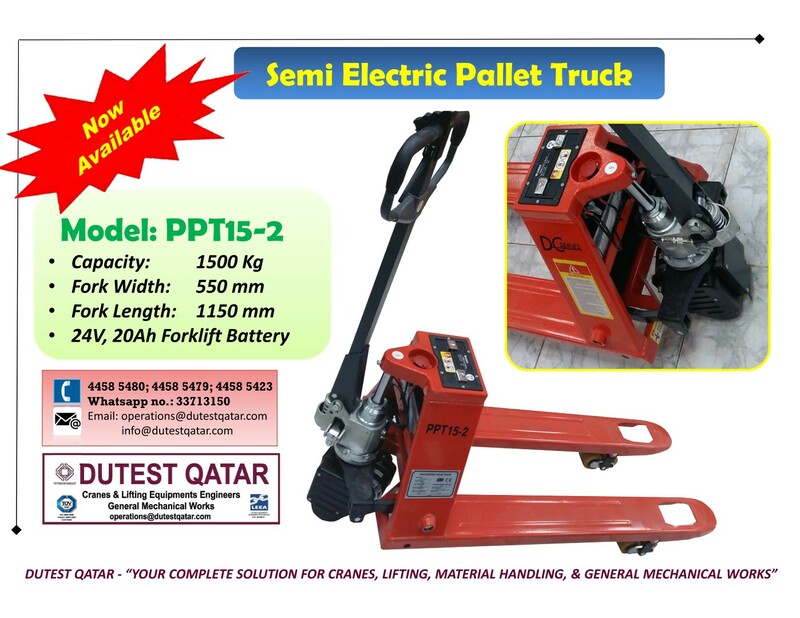 Dutest is the authorized distributor and dealer for Mantis Crane in Qatar. 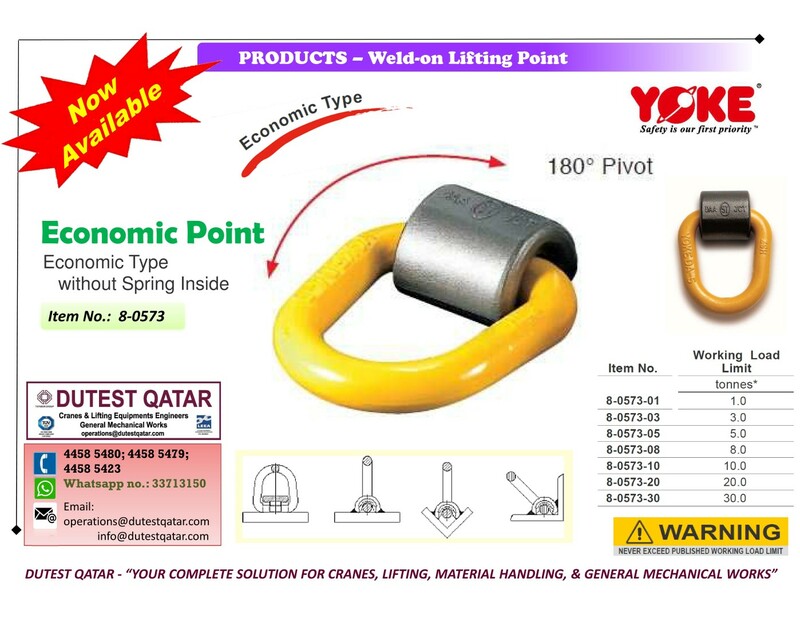 We bring you the best, economical, and reliable products in the new era. 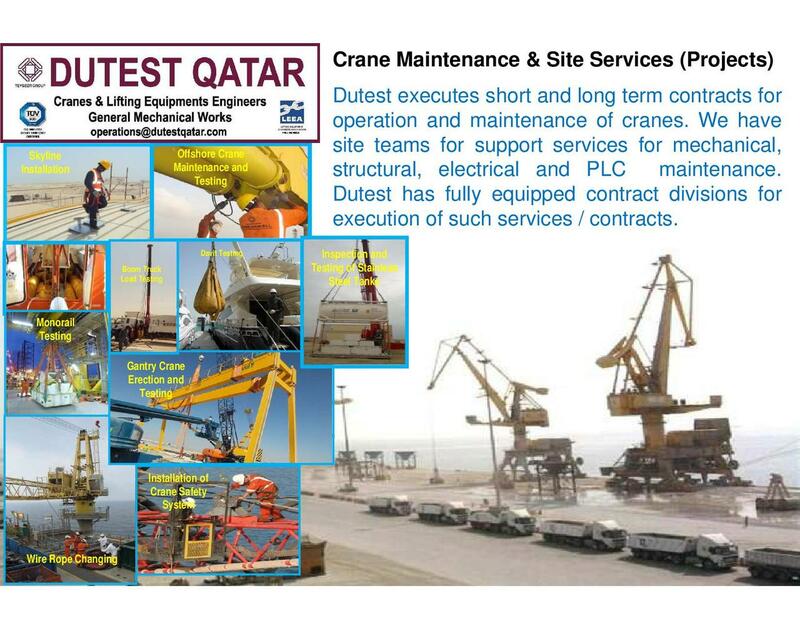 Dutest executes short and long term contracts for operation and maintenance of cranes. 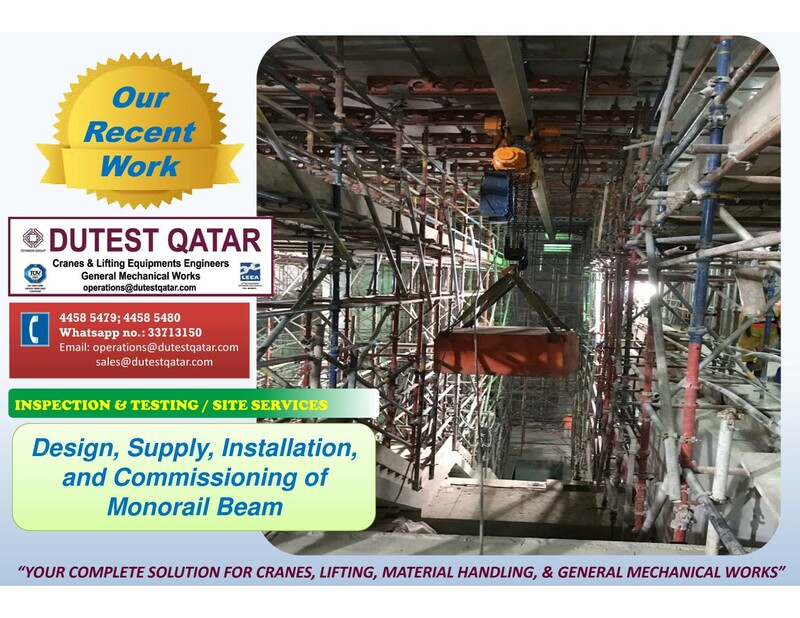 We have site teams for support services for mechanical, structural, electrical and PLC maintenance. 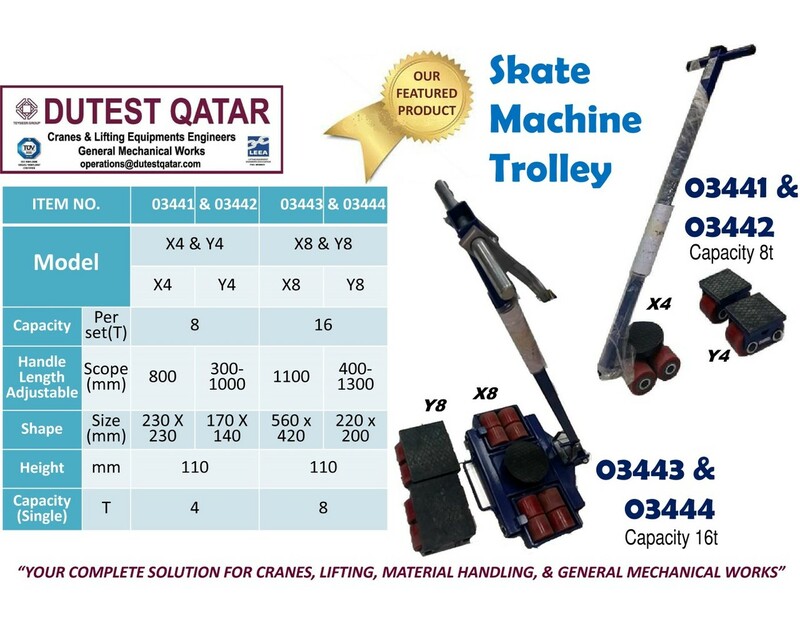 Love us / have suggestions / ideas or requests? 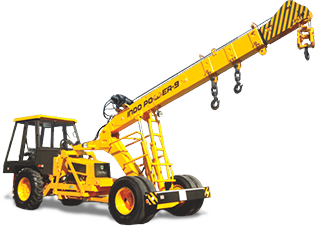 Tell us how we can improve our supplies & services. 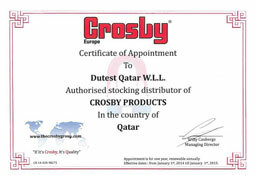 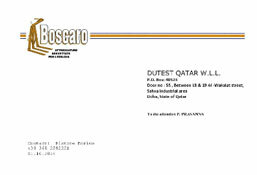 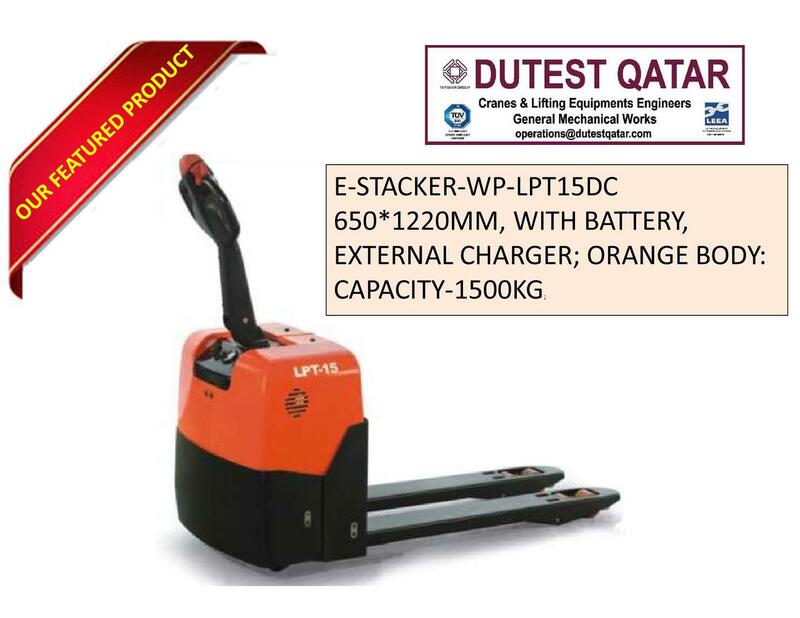 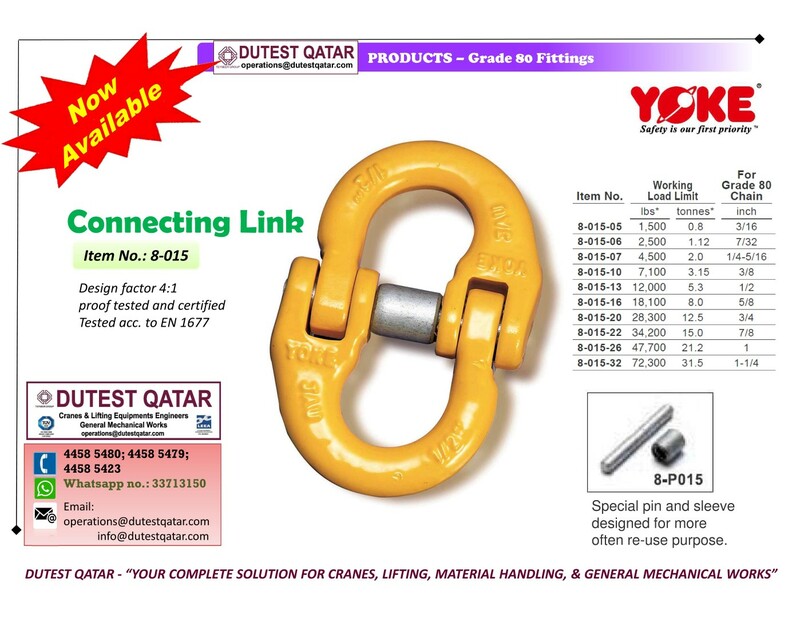 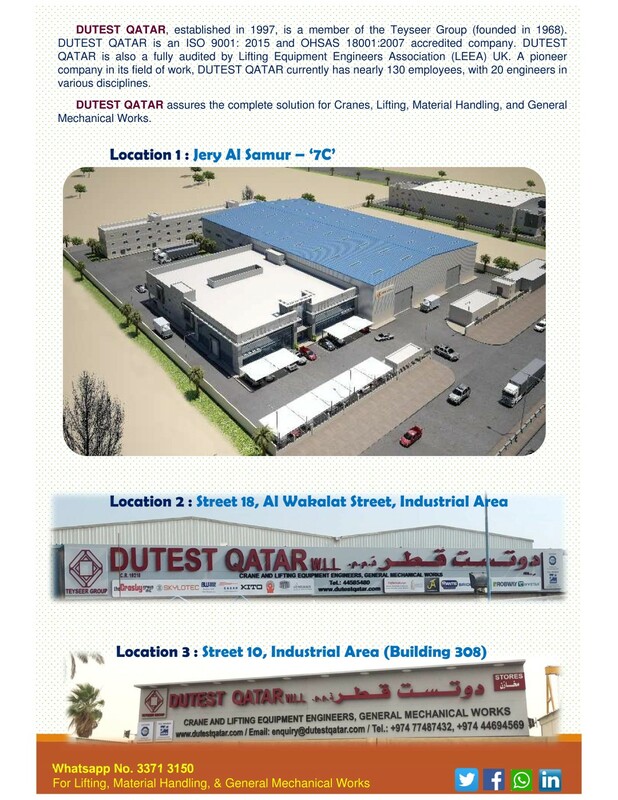 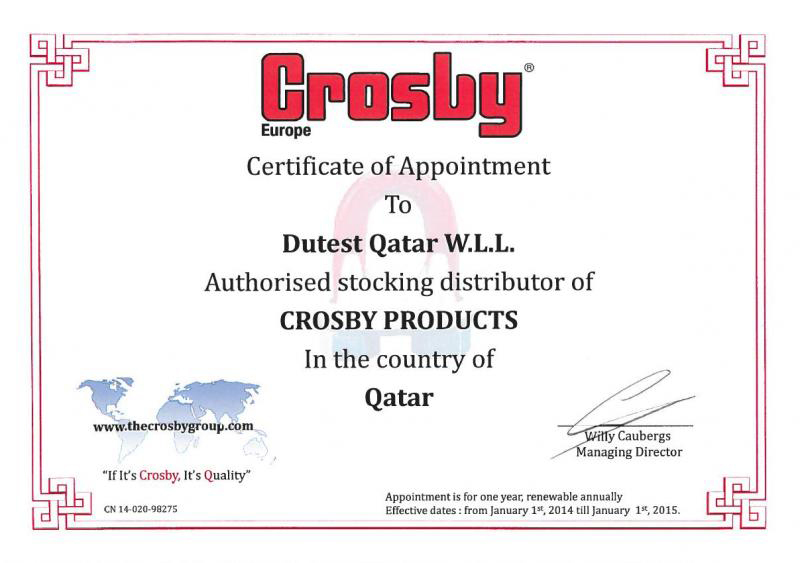 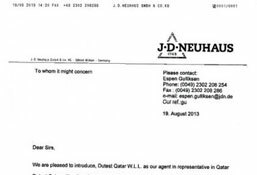 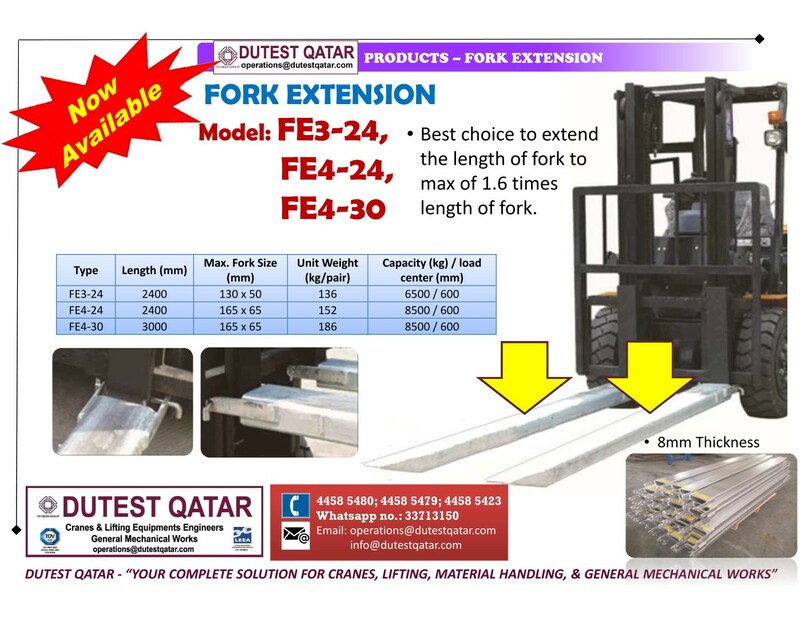 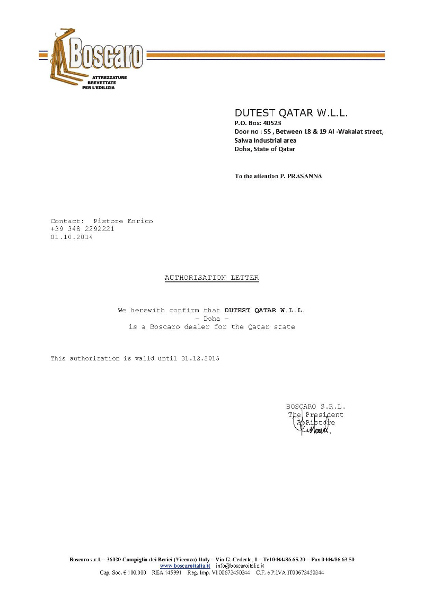 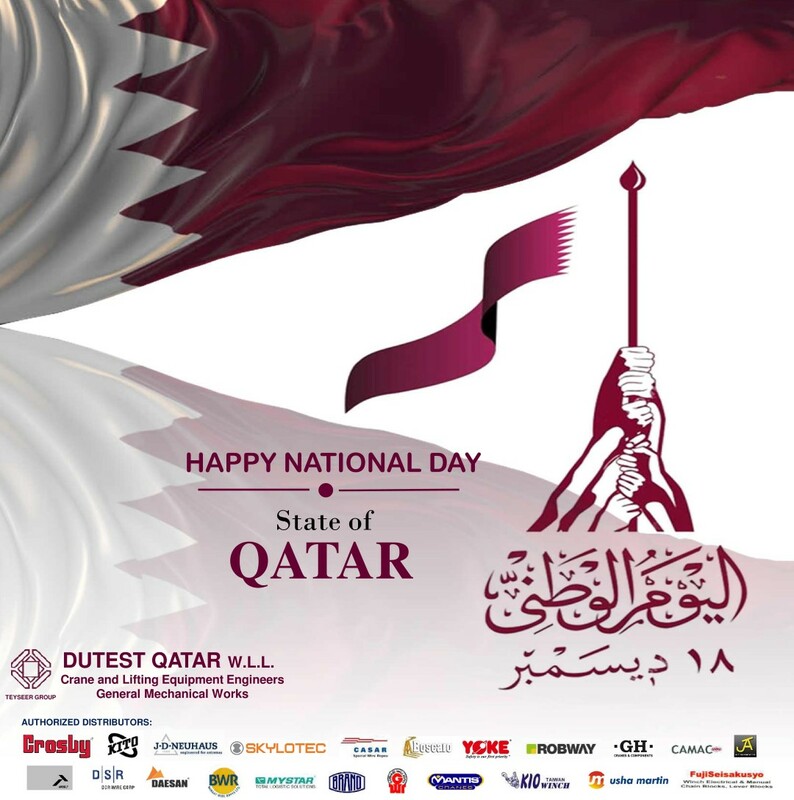 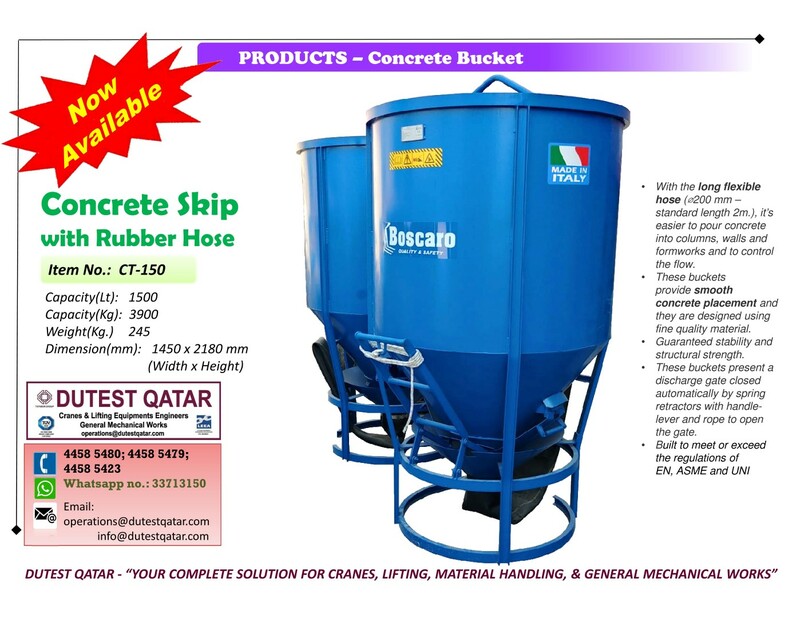 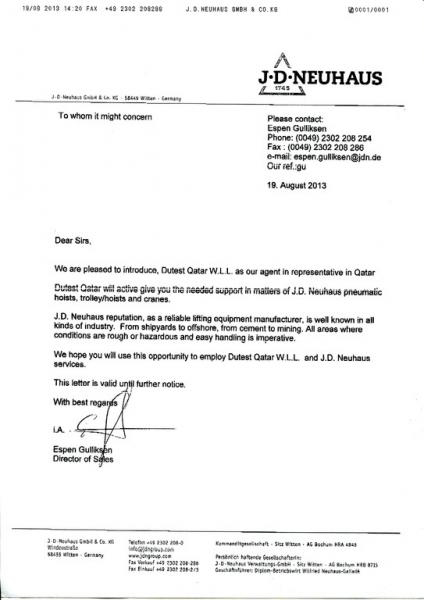 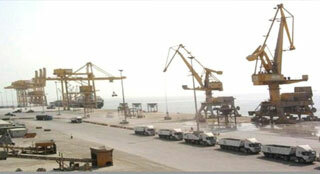 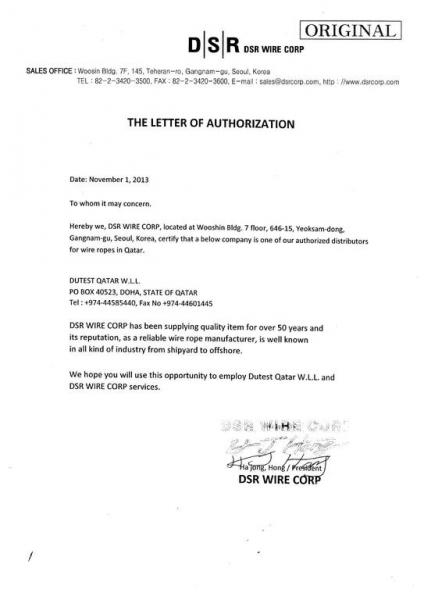 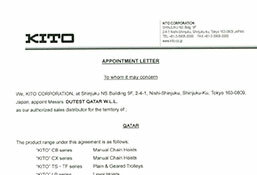 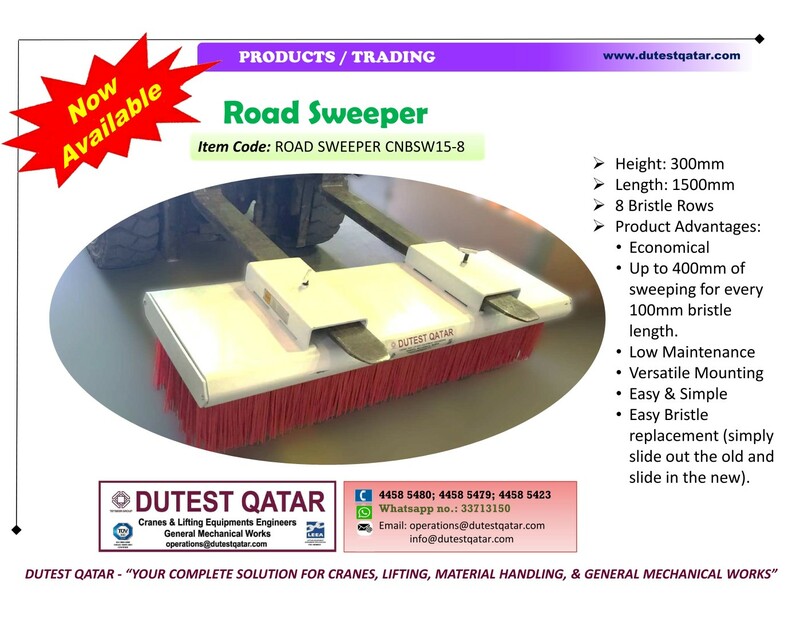 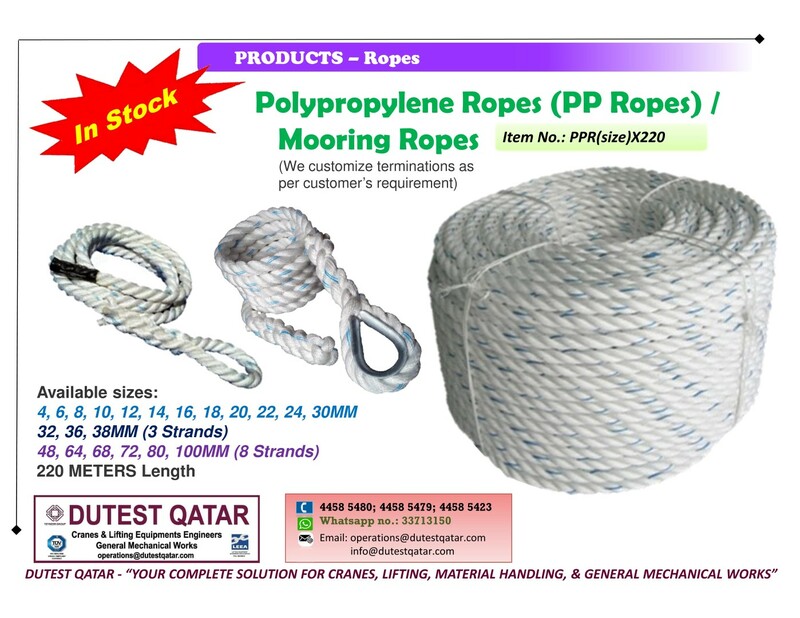 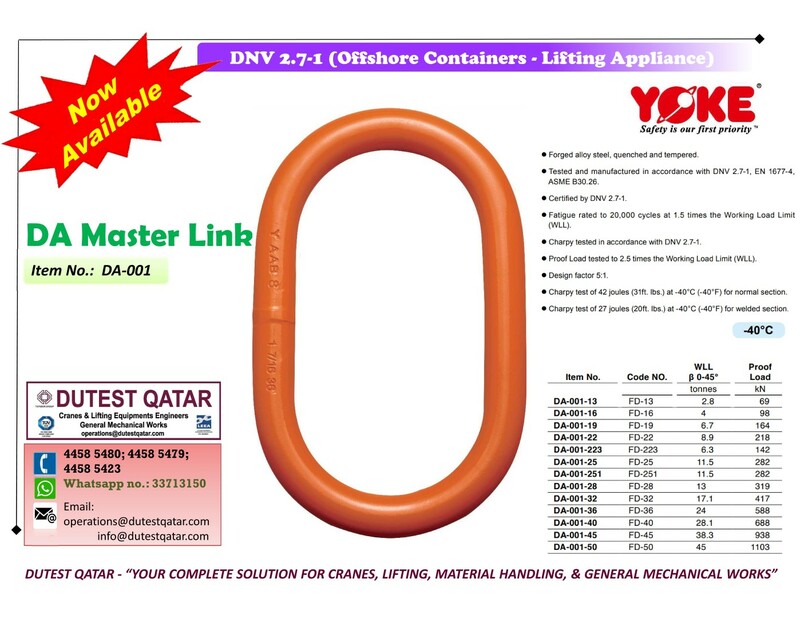 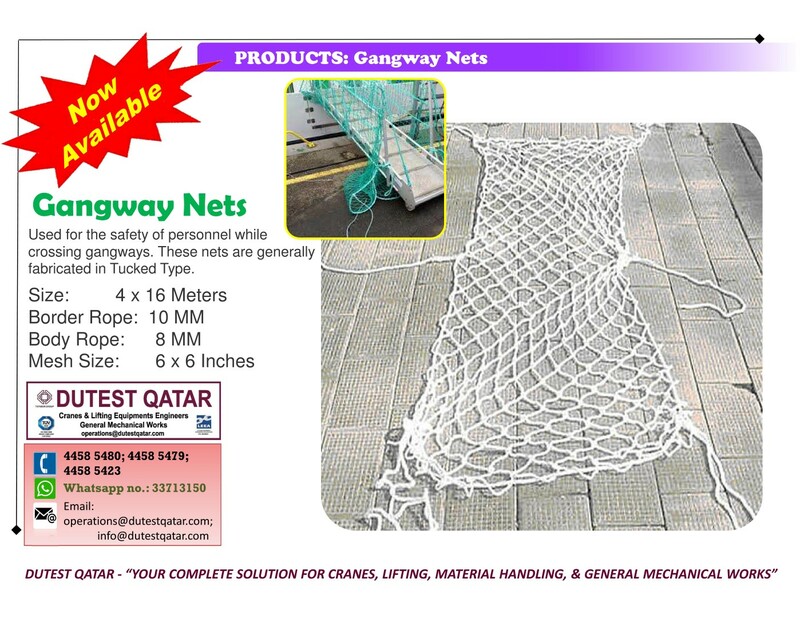 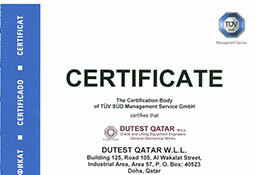 Dutest Qatar was established in 1998 as a member of the Teyseer Group (founded in 1968). 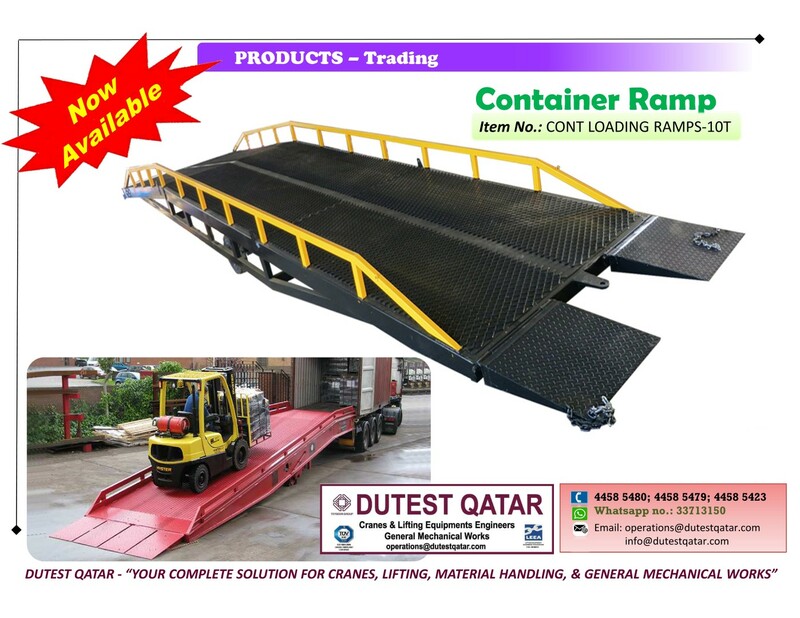 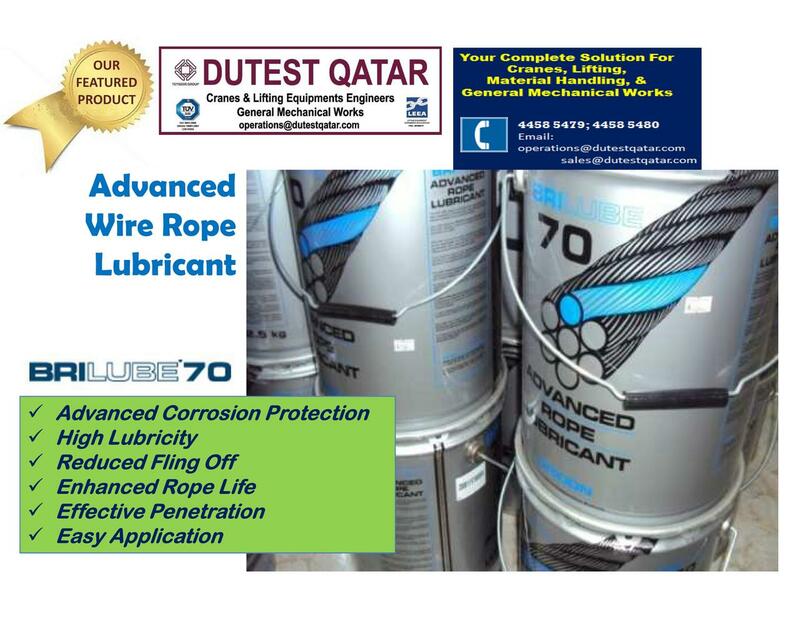 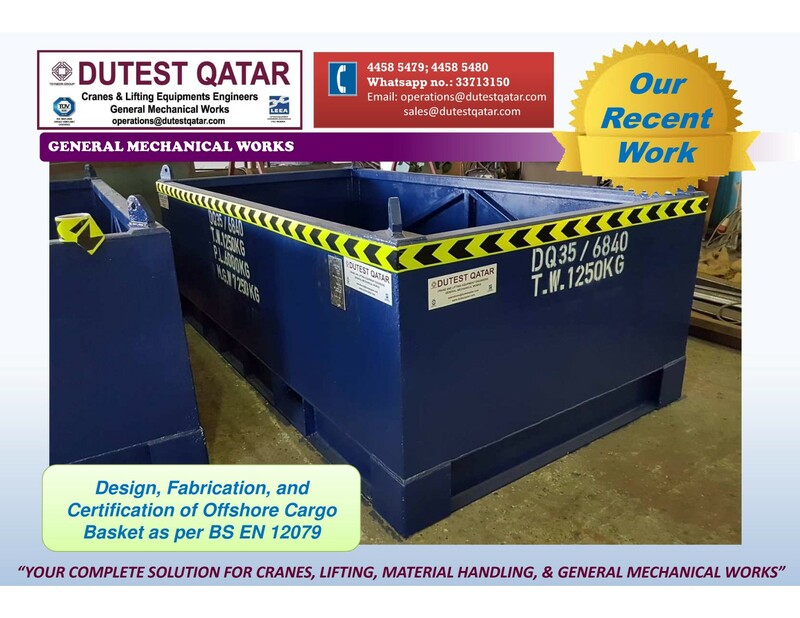 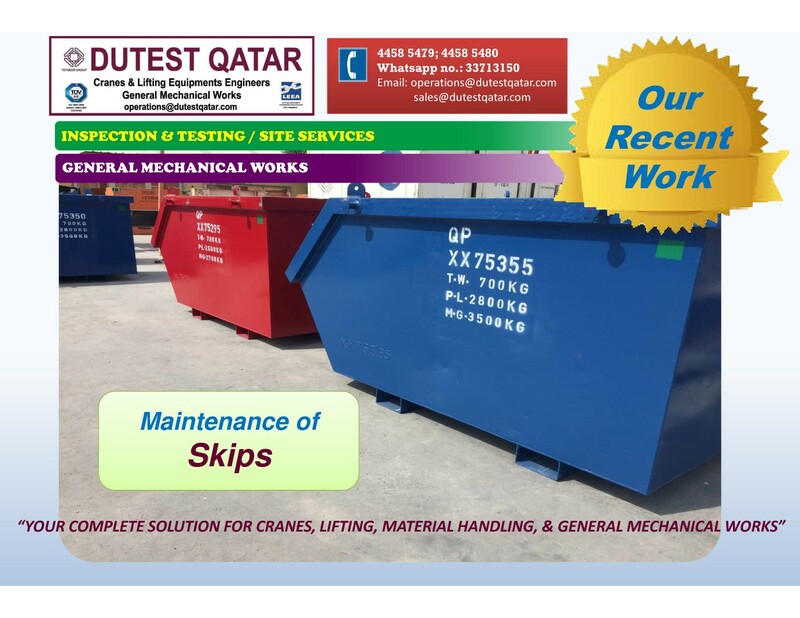 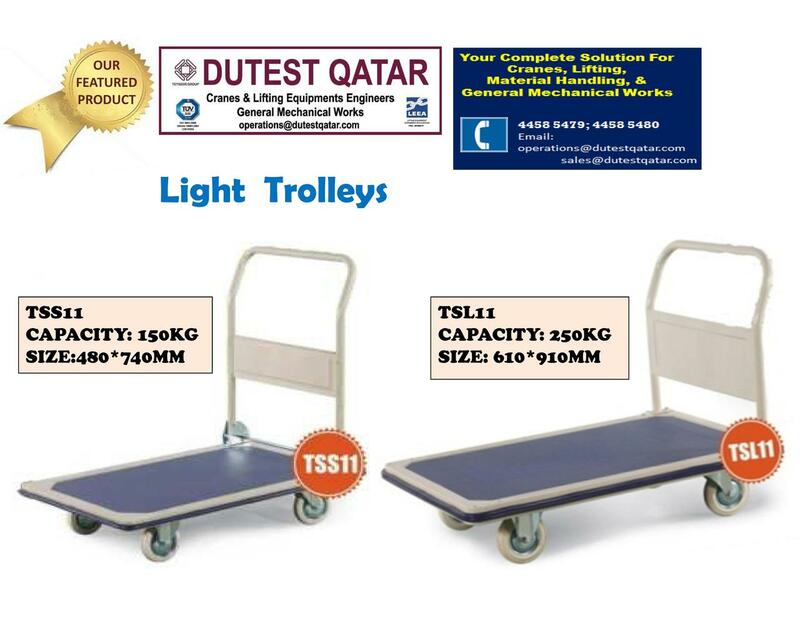 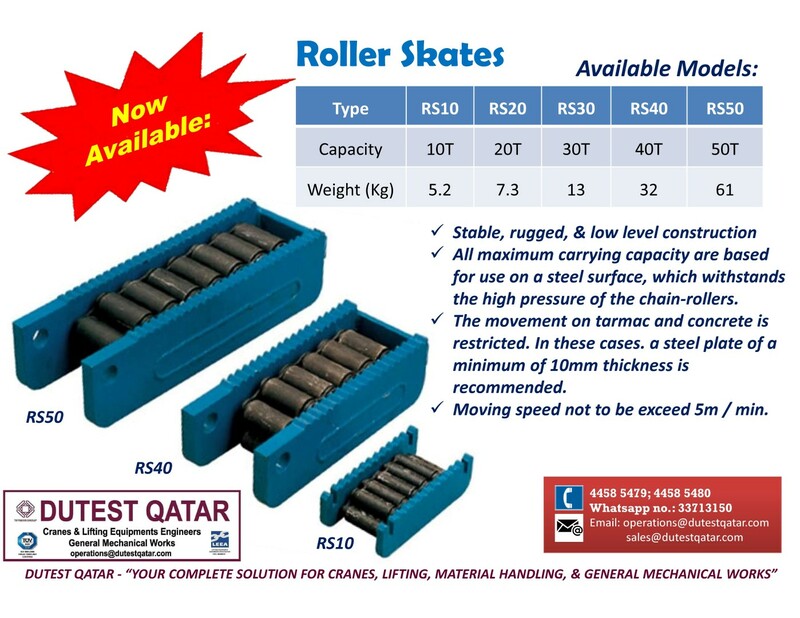 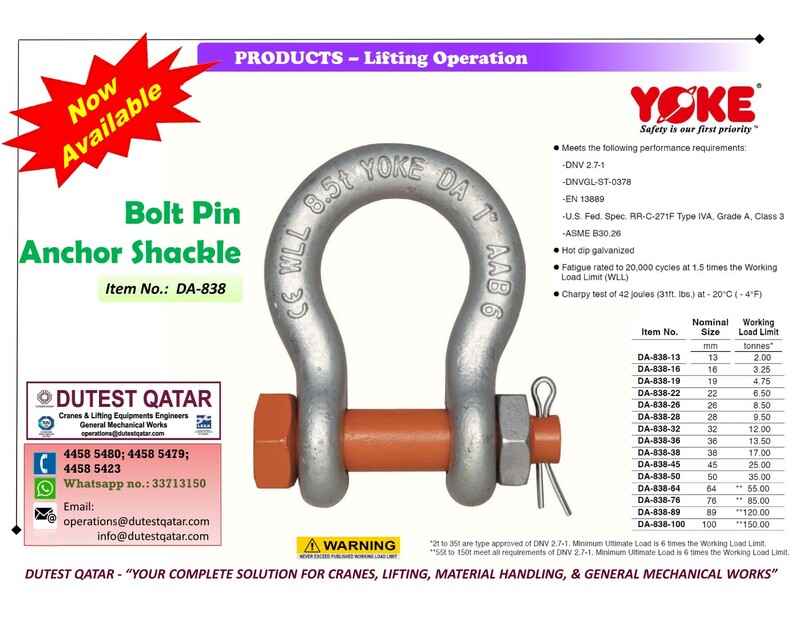 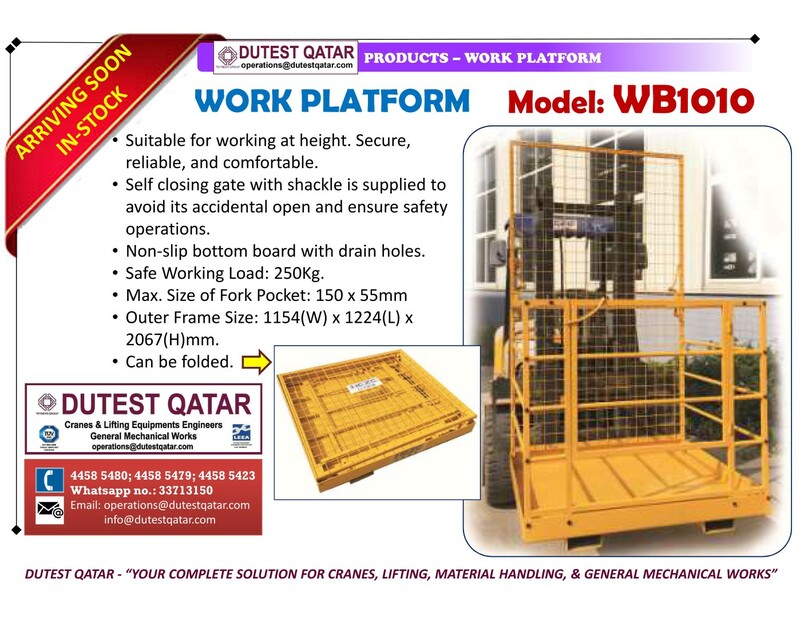 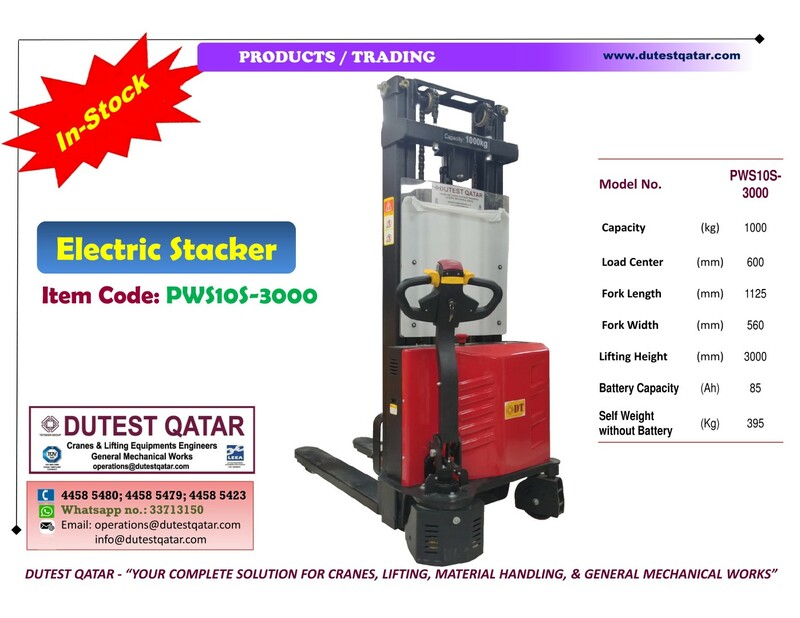 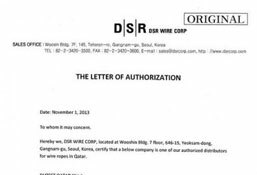 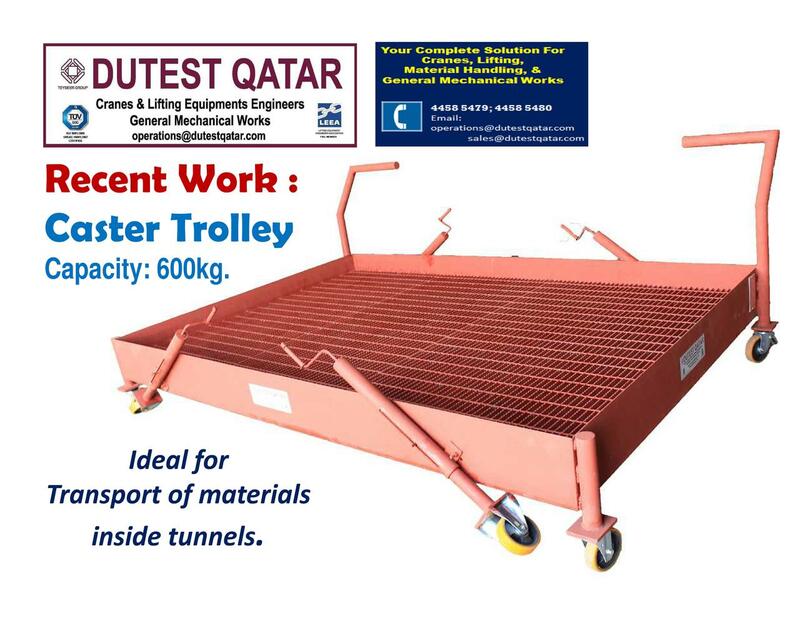 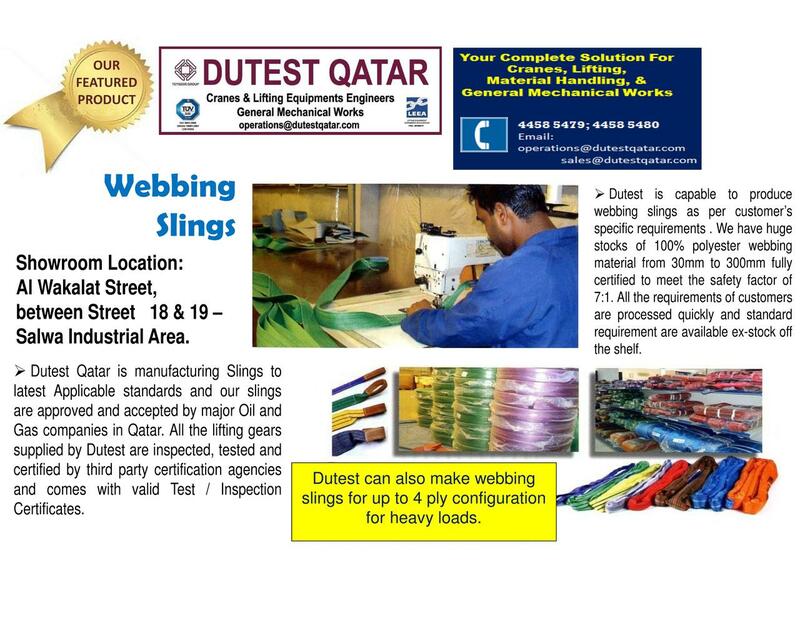 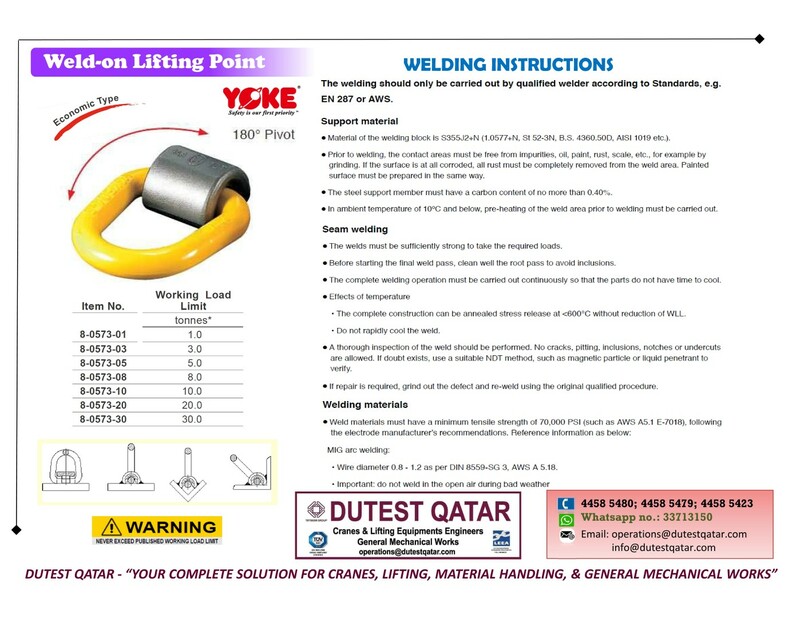 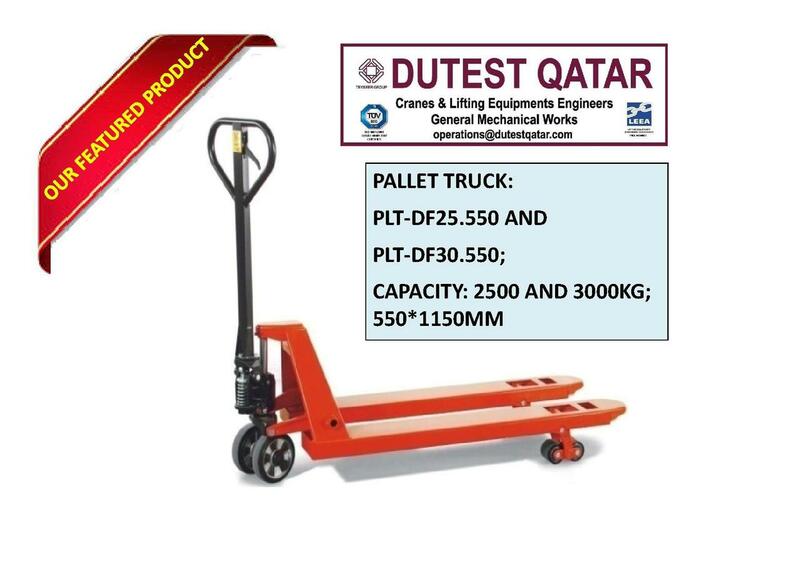 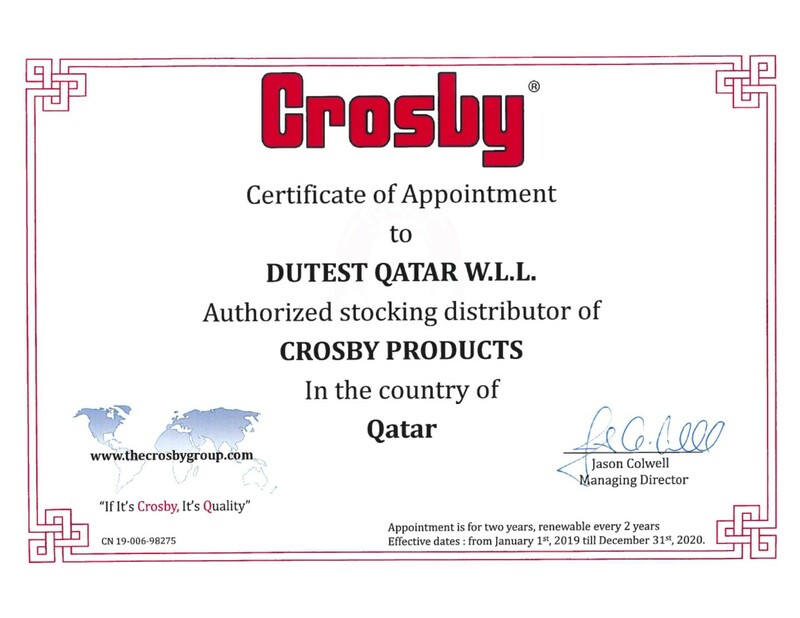 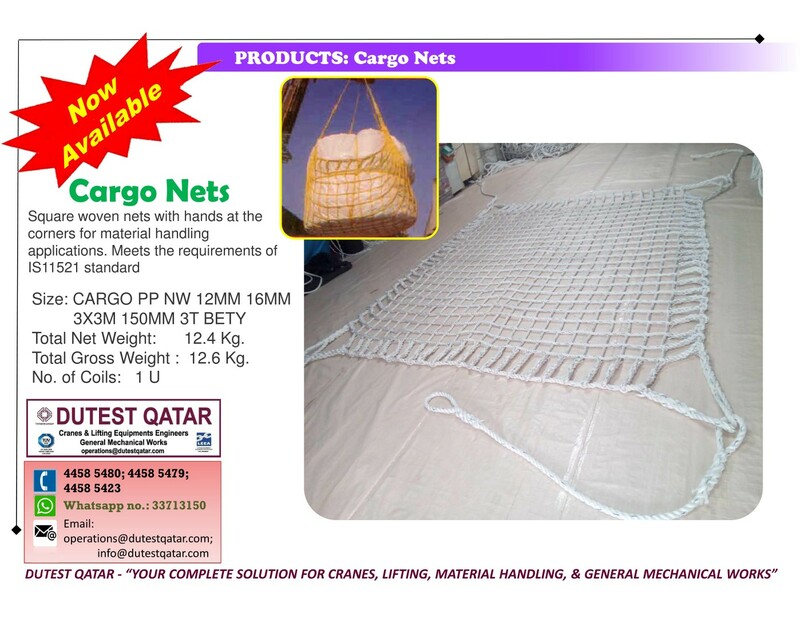 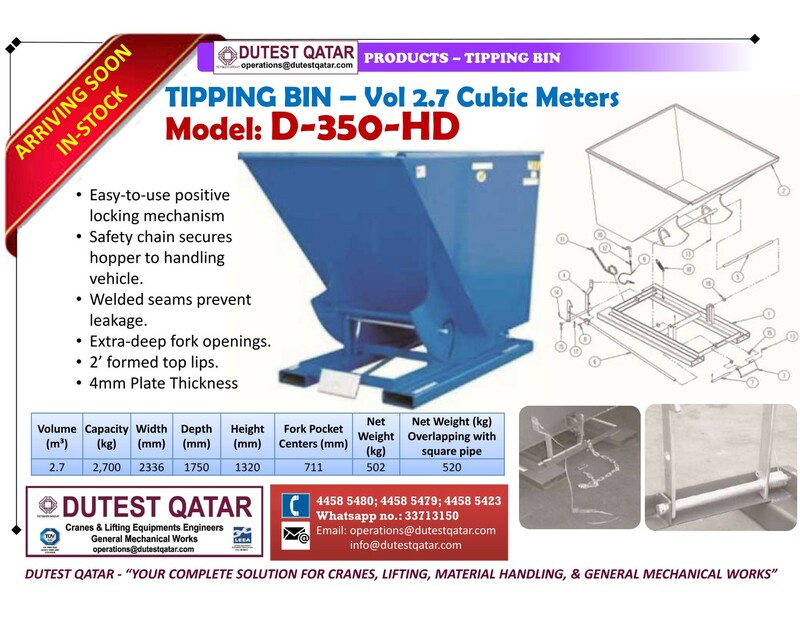 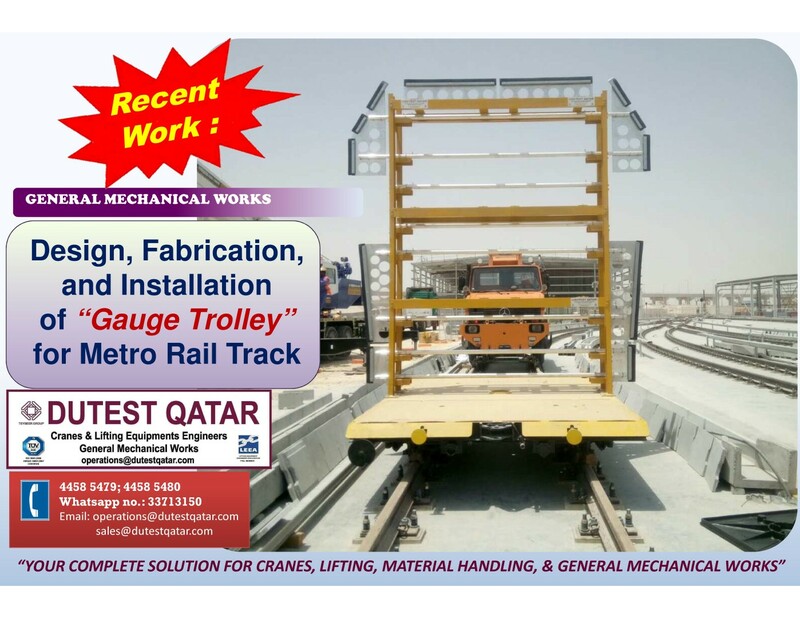 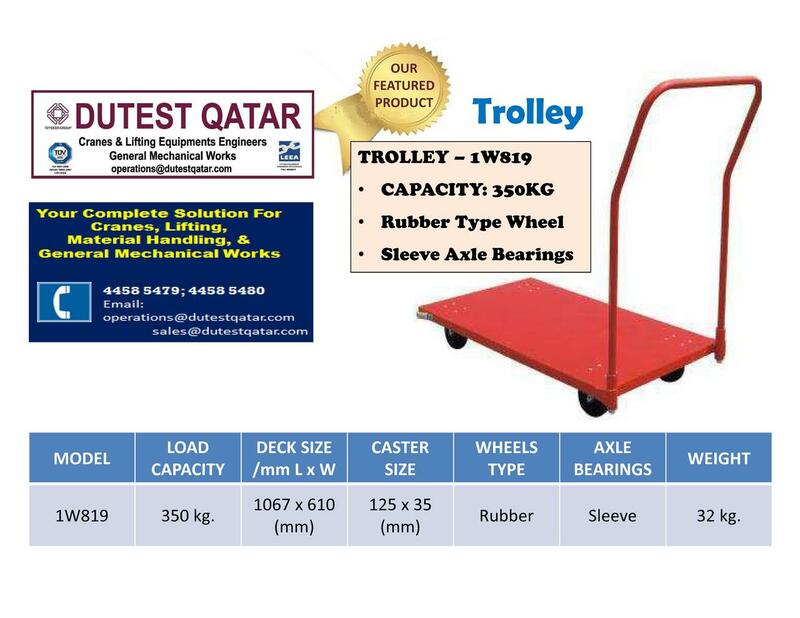 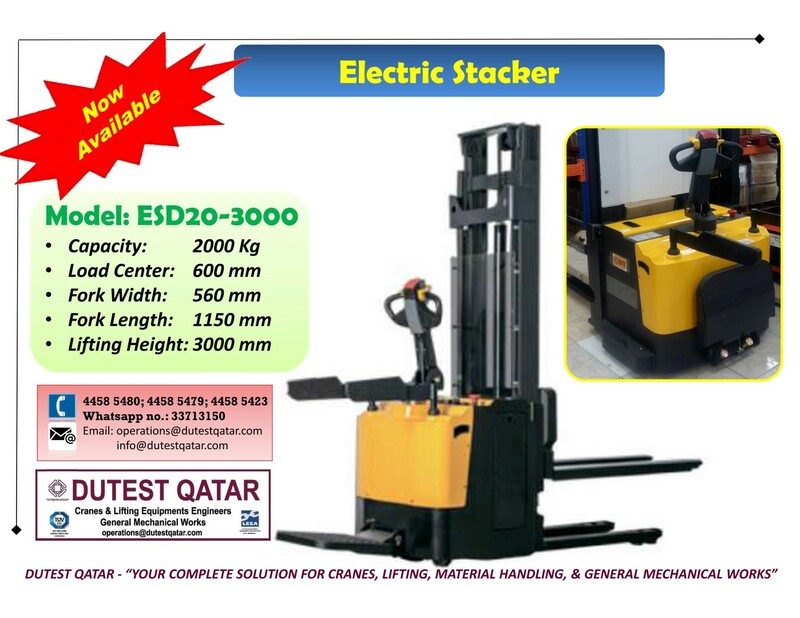 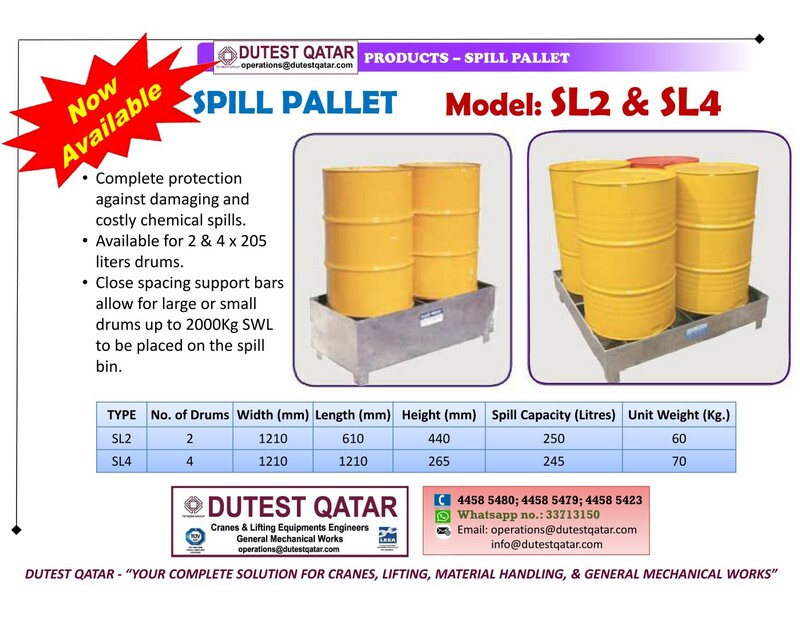 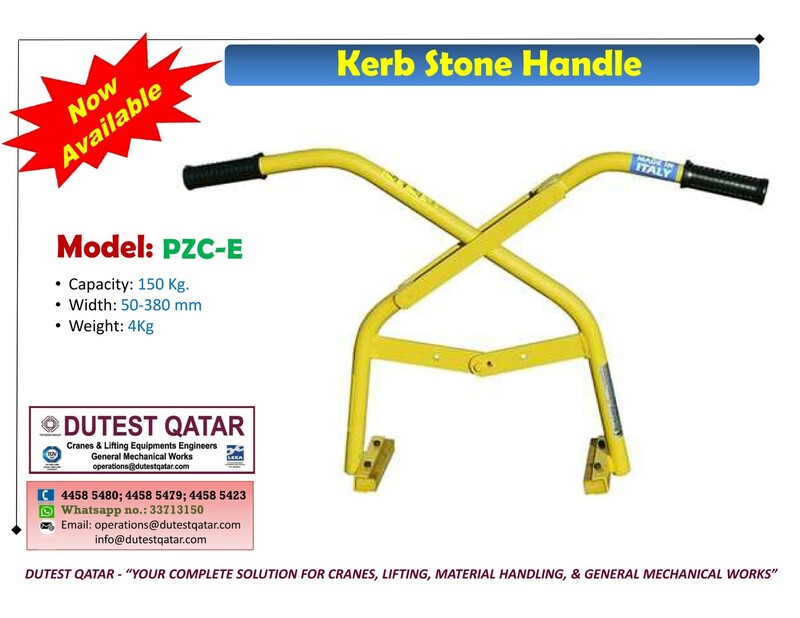 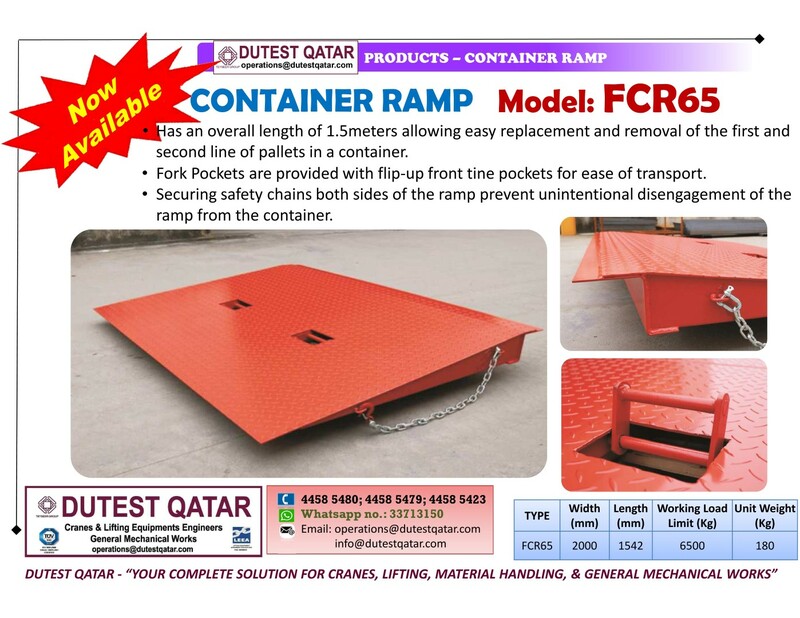 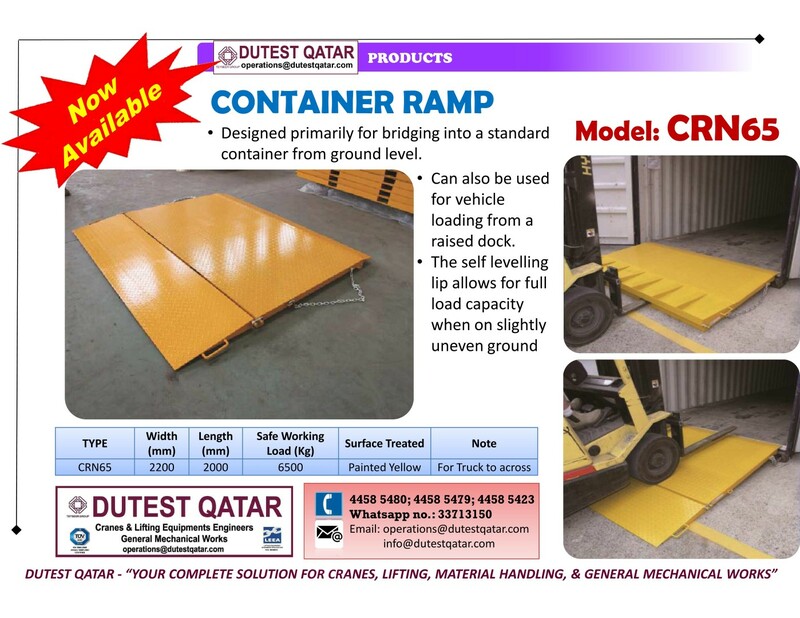 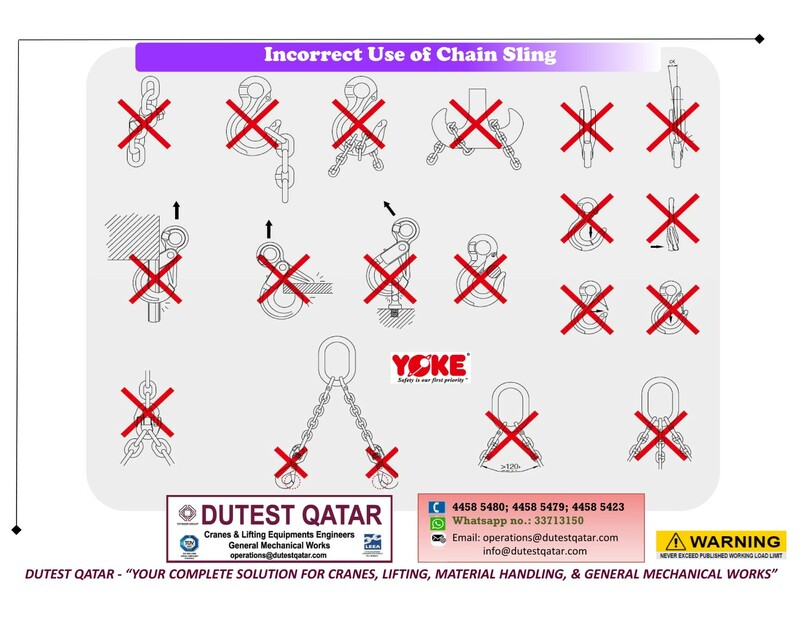 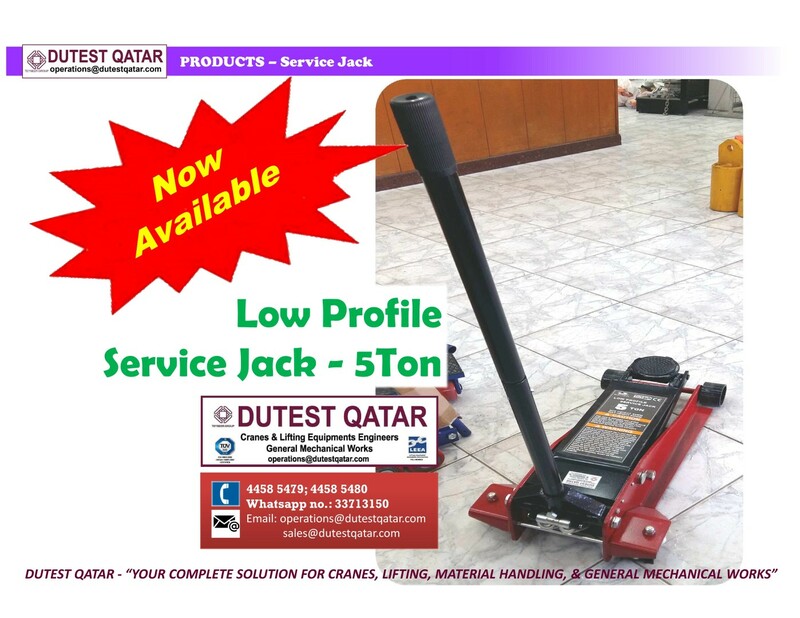 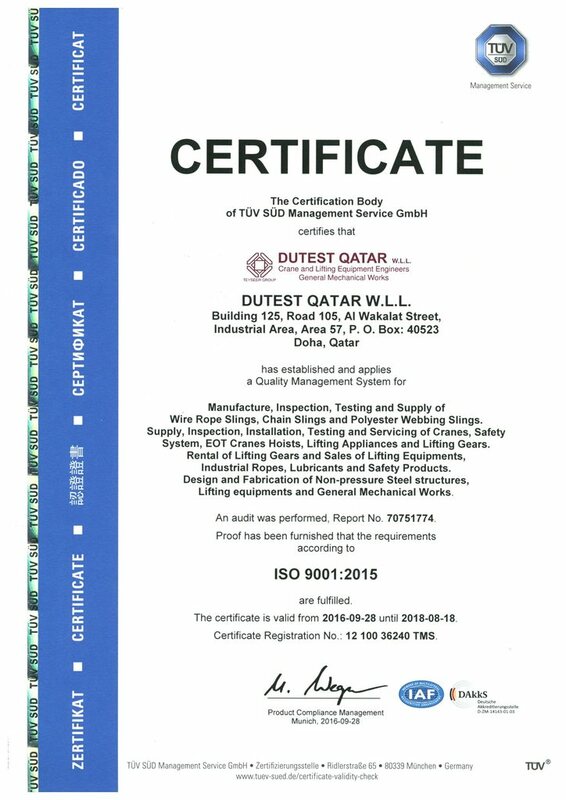 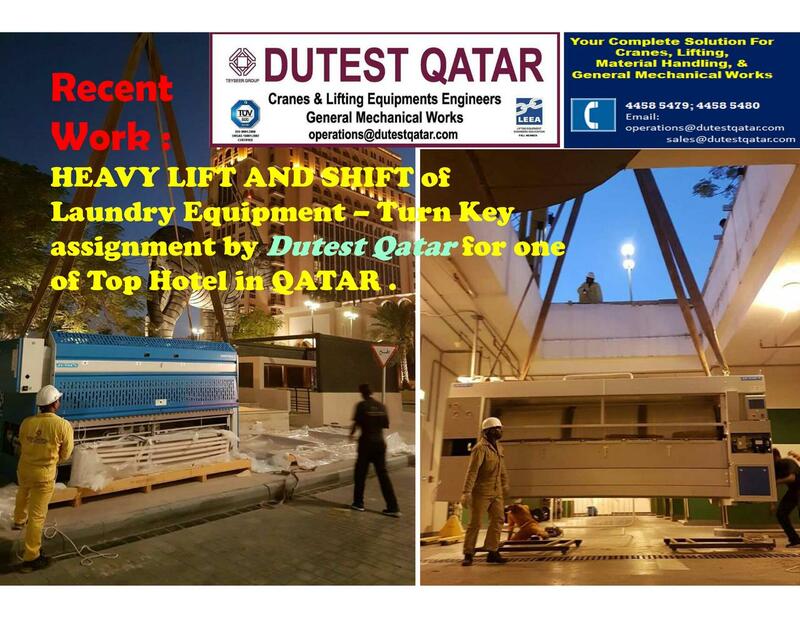 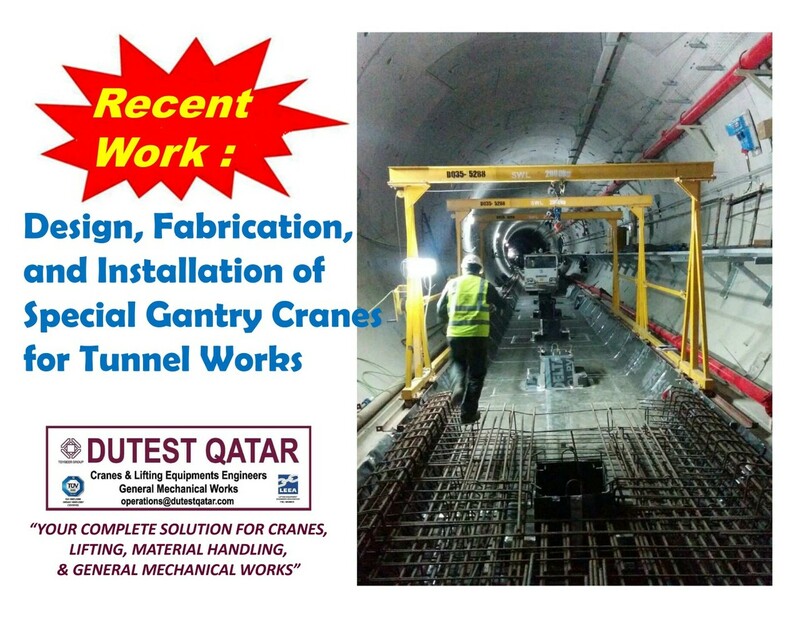 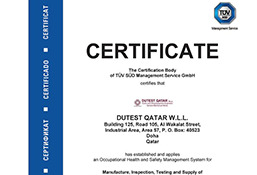 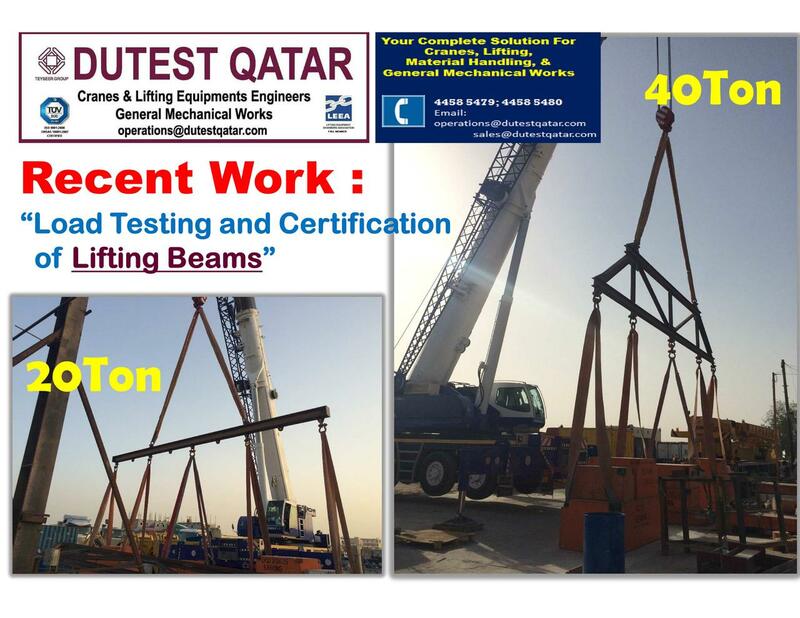 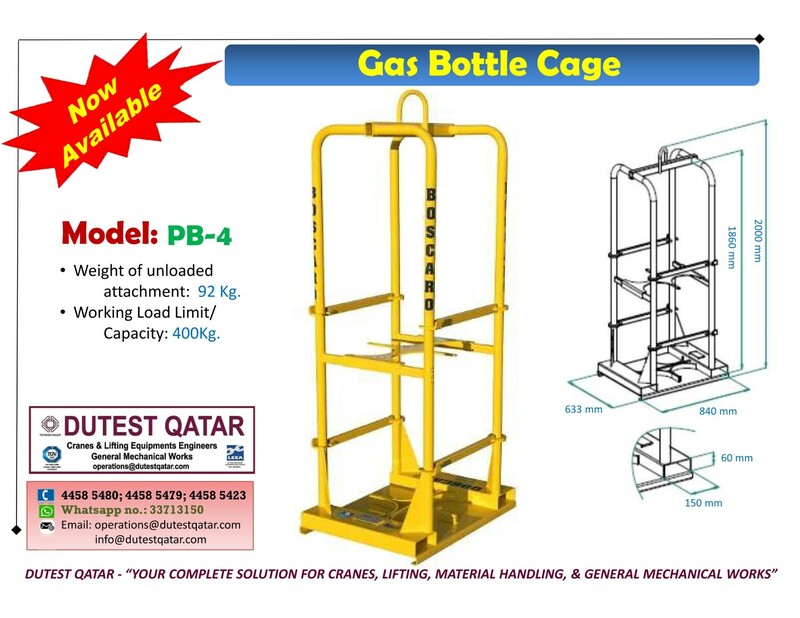 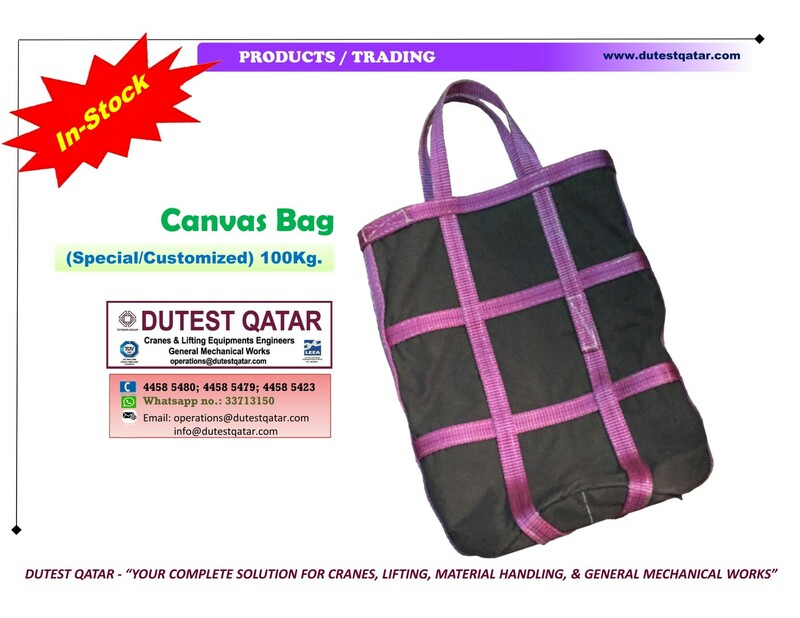 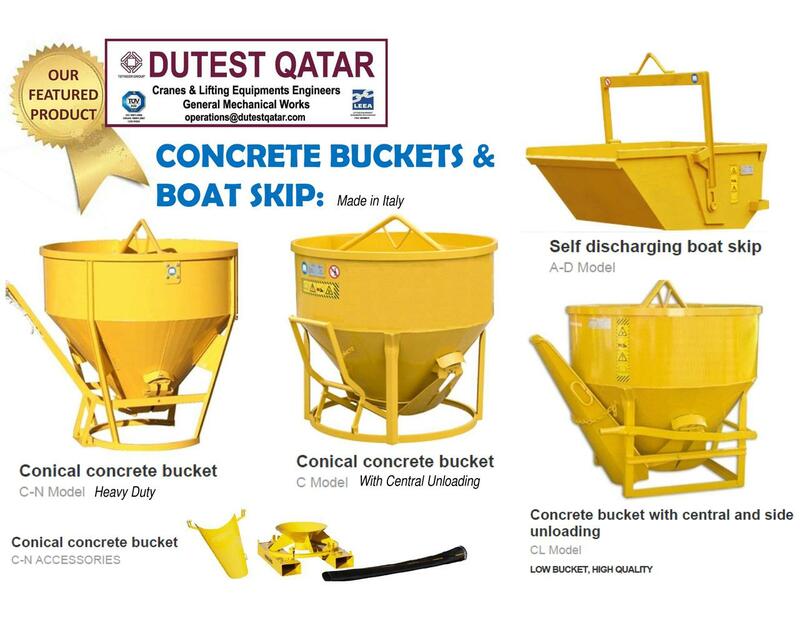 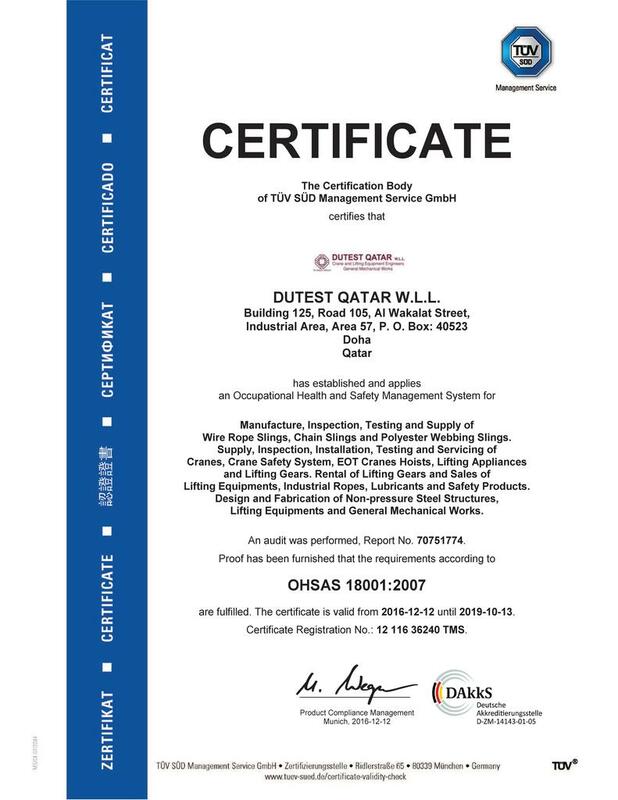 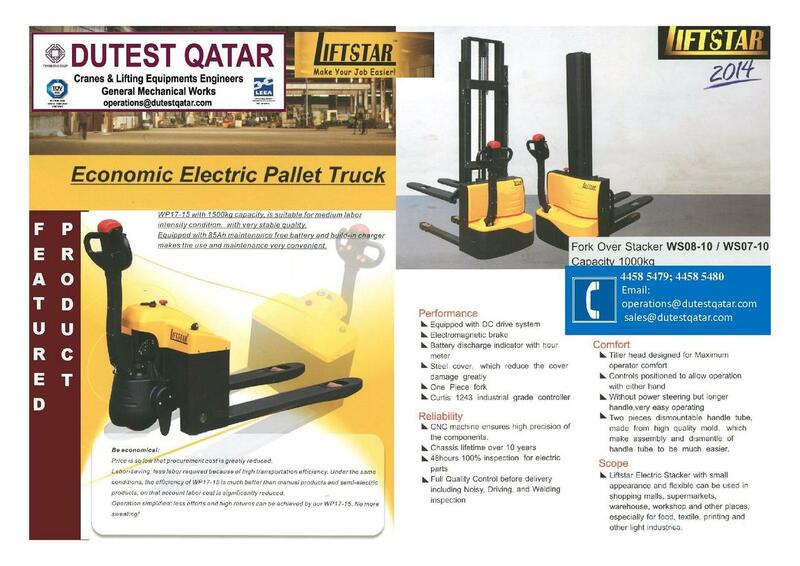 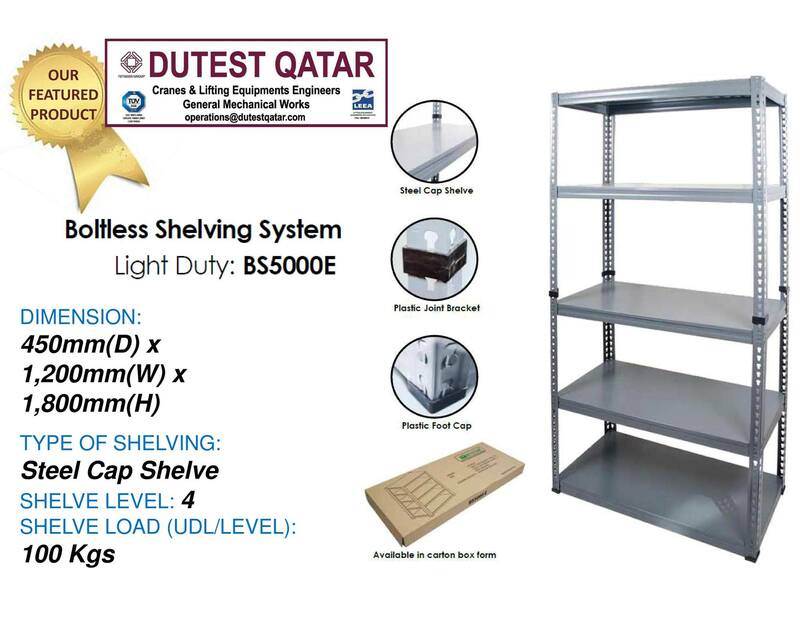 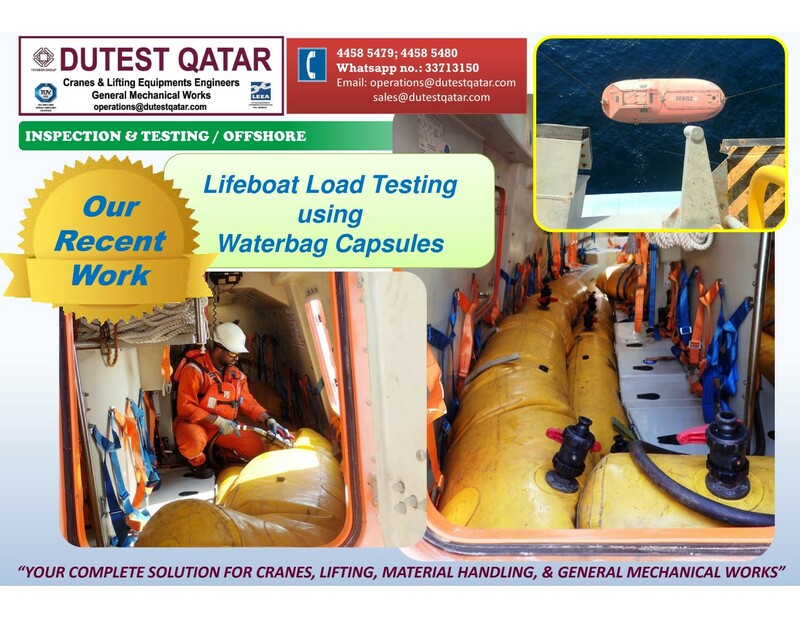 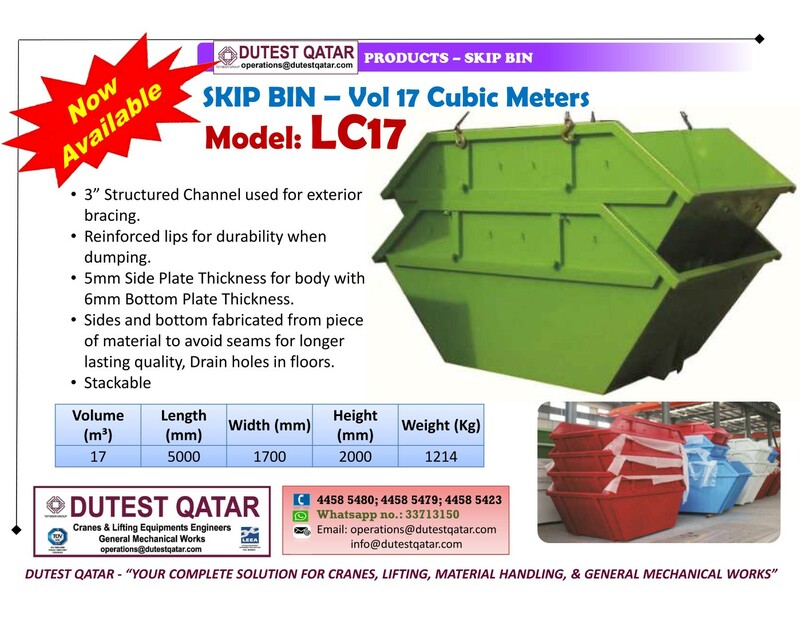 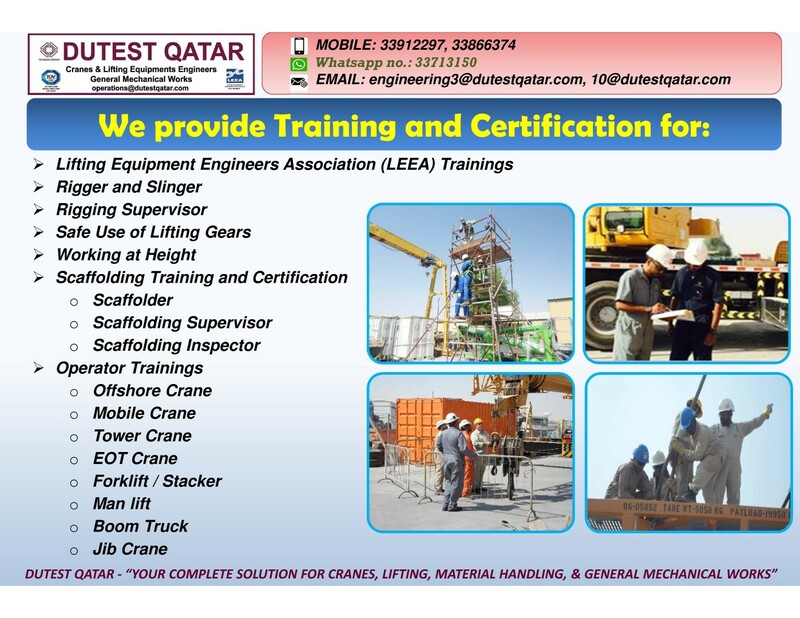 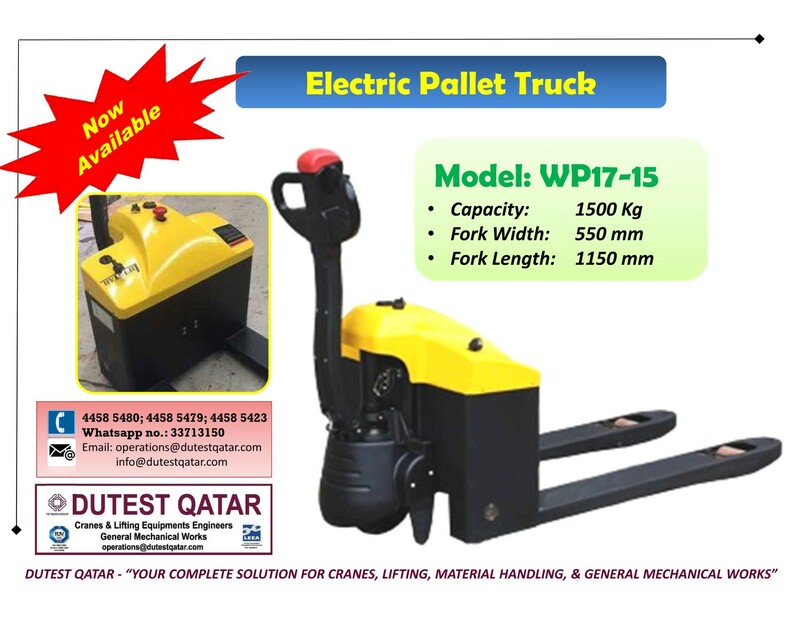 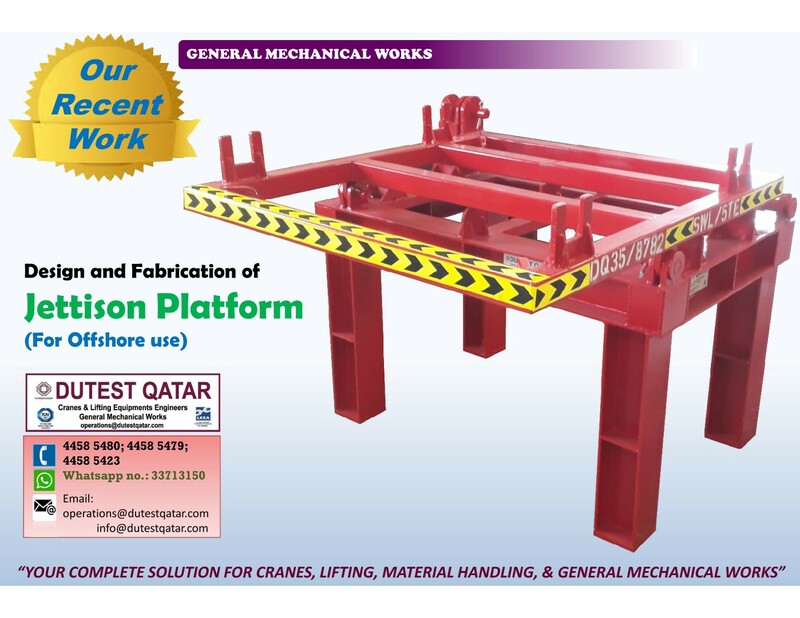 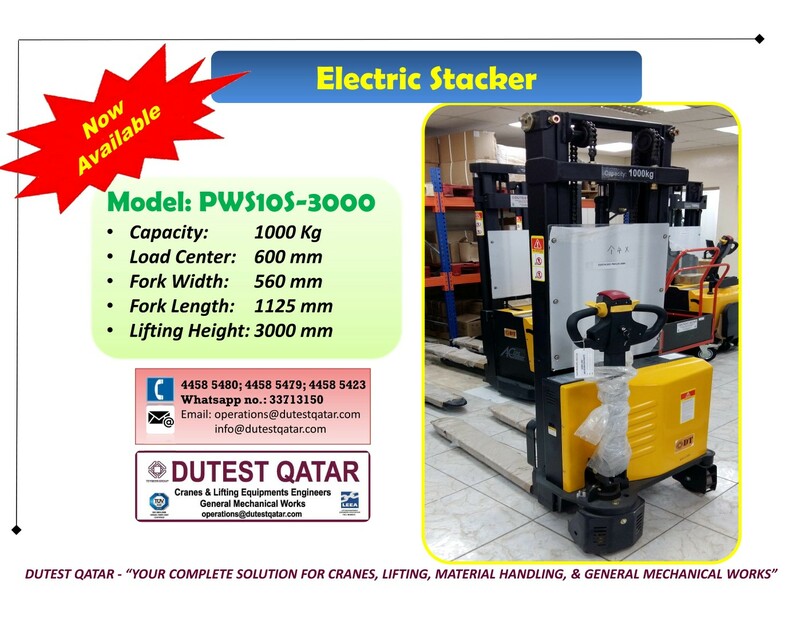 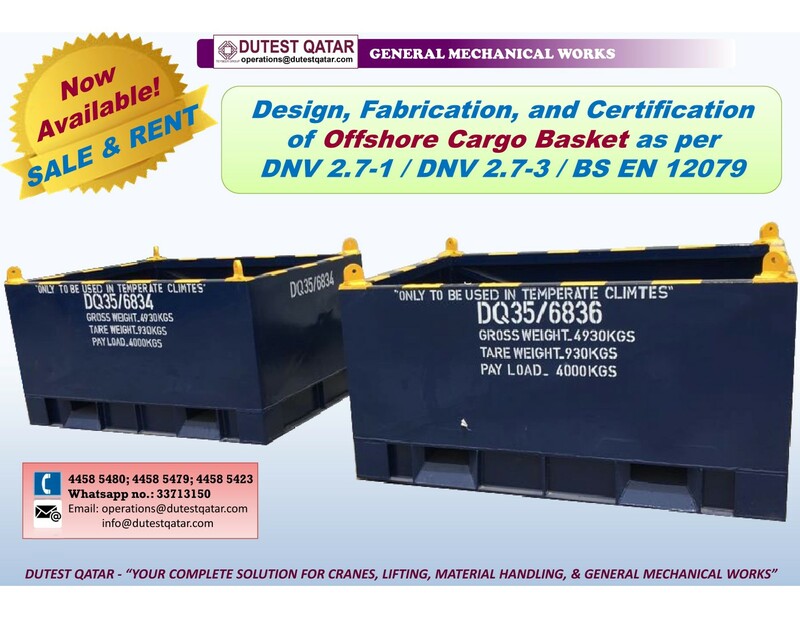 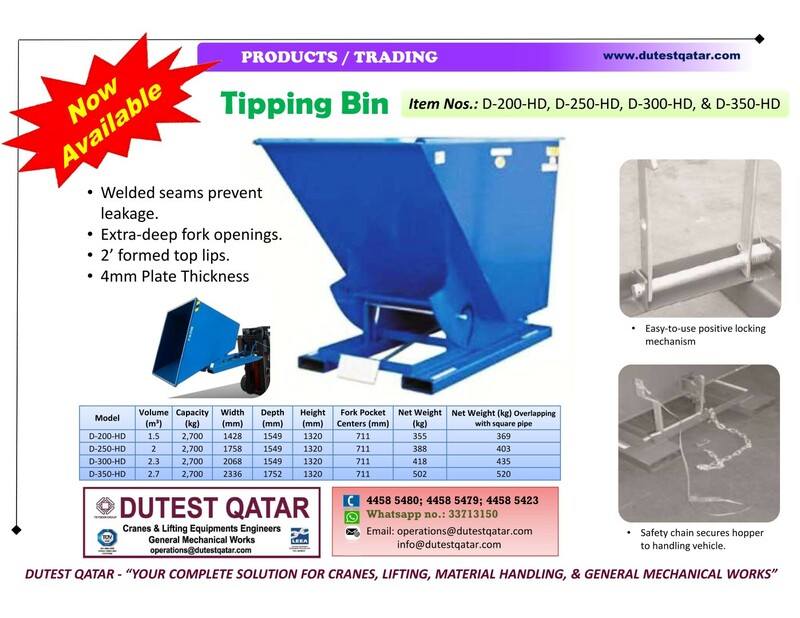 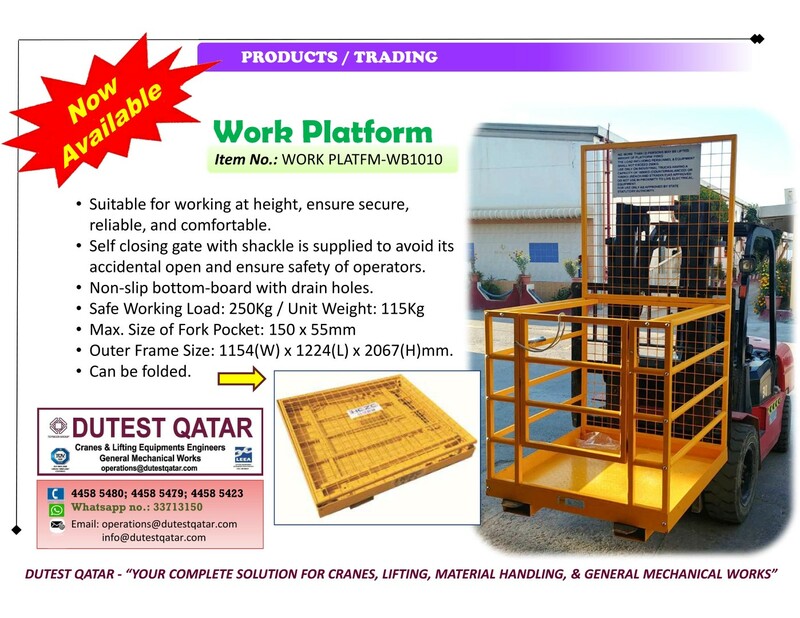 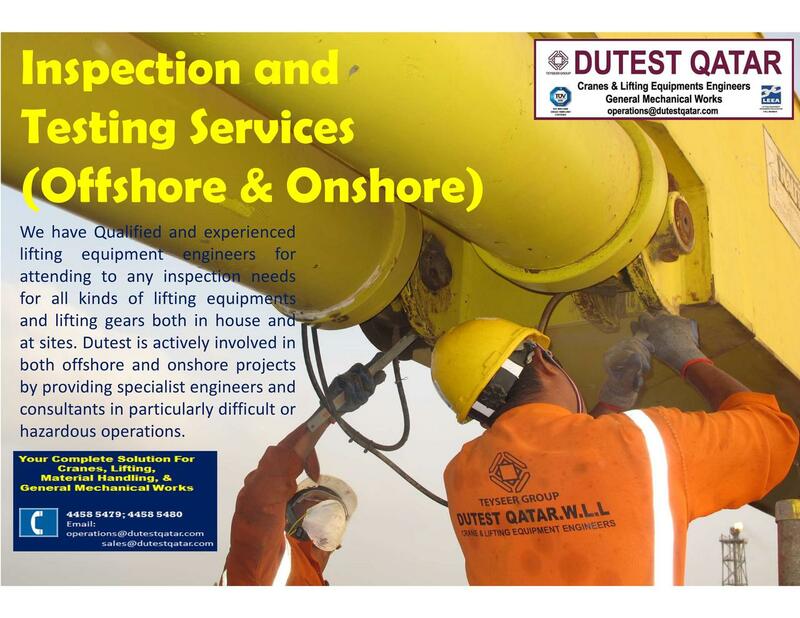 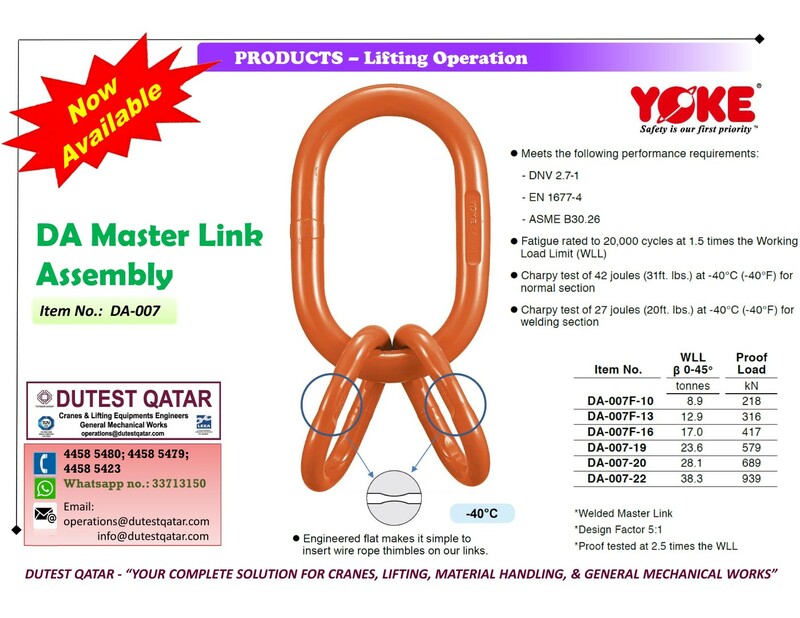 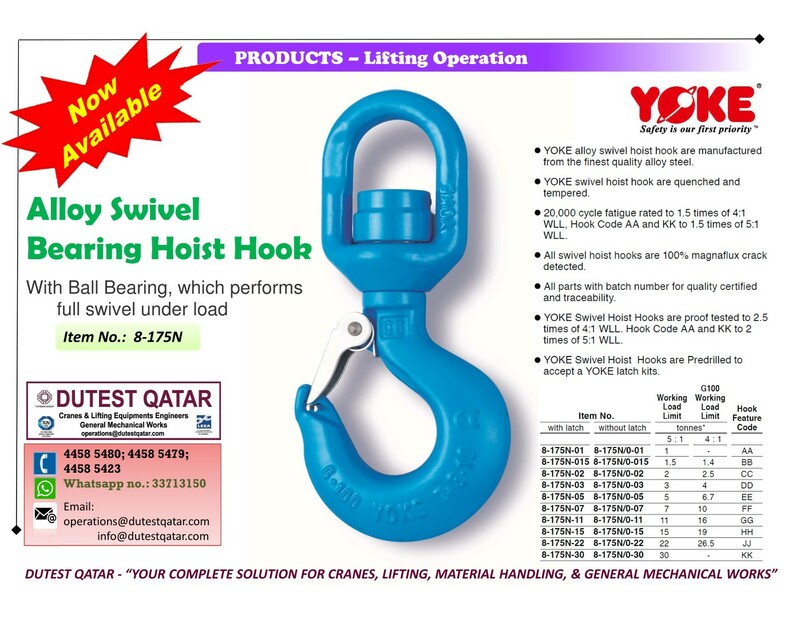 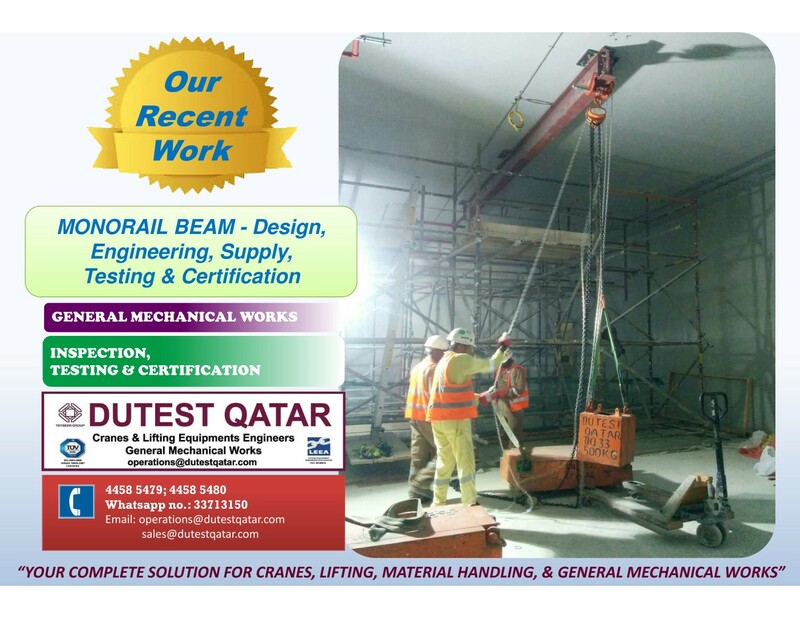 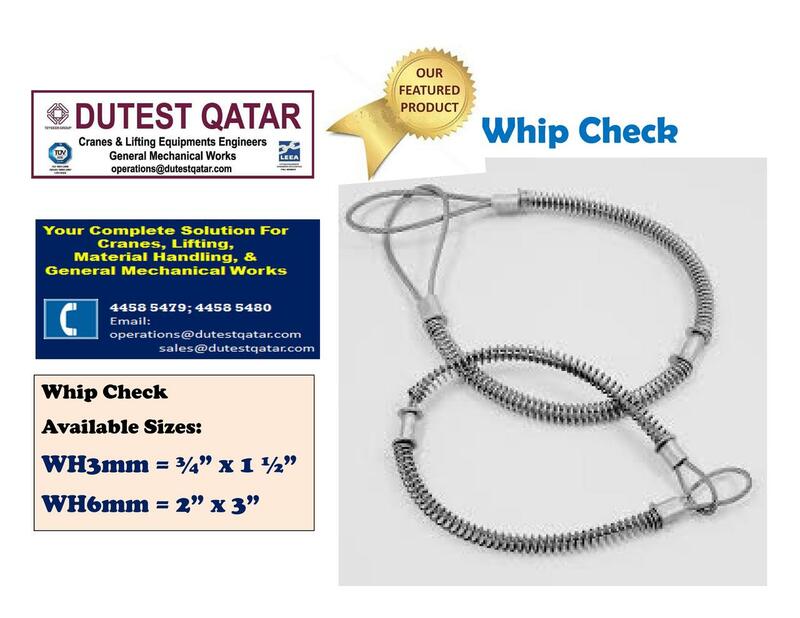 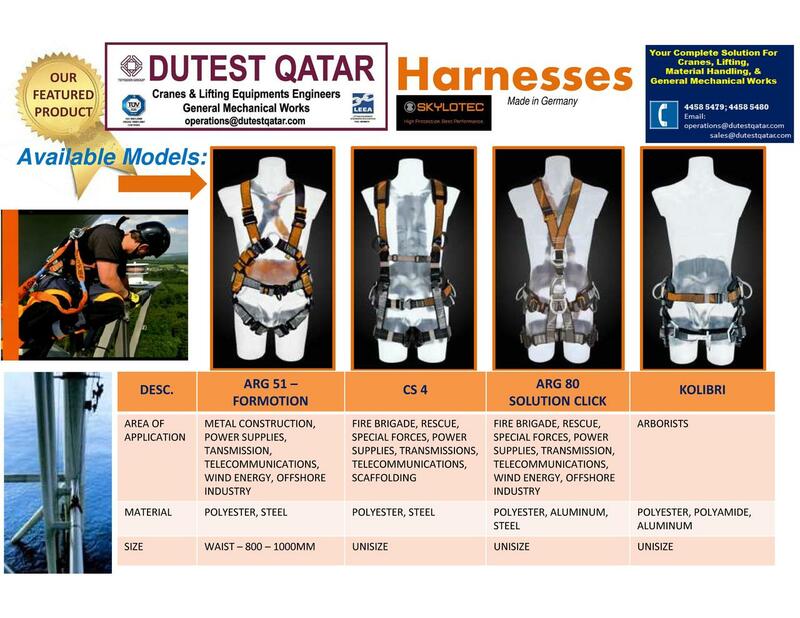 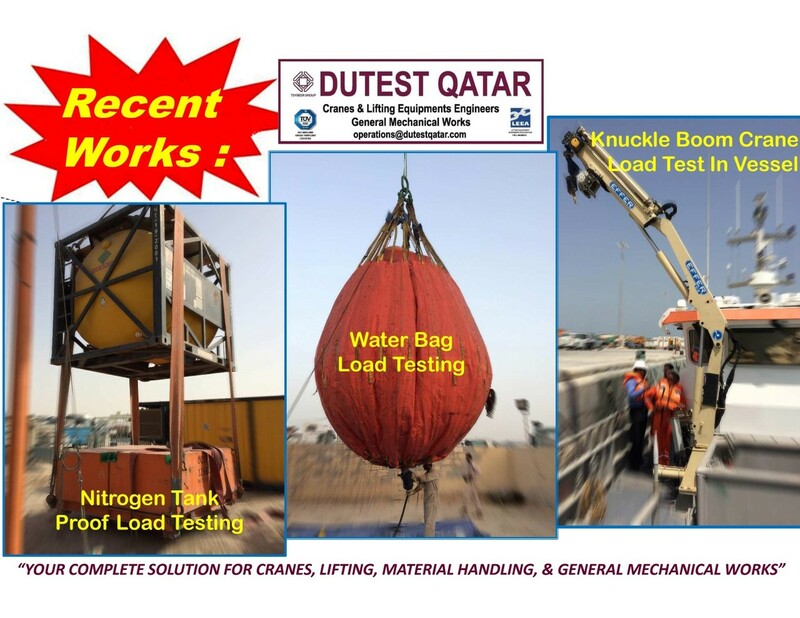 DUTEST QATAR is an ISO 9001: 2008 and OHSAS 18001:2007 accredited company. 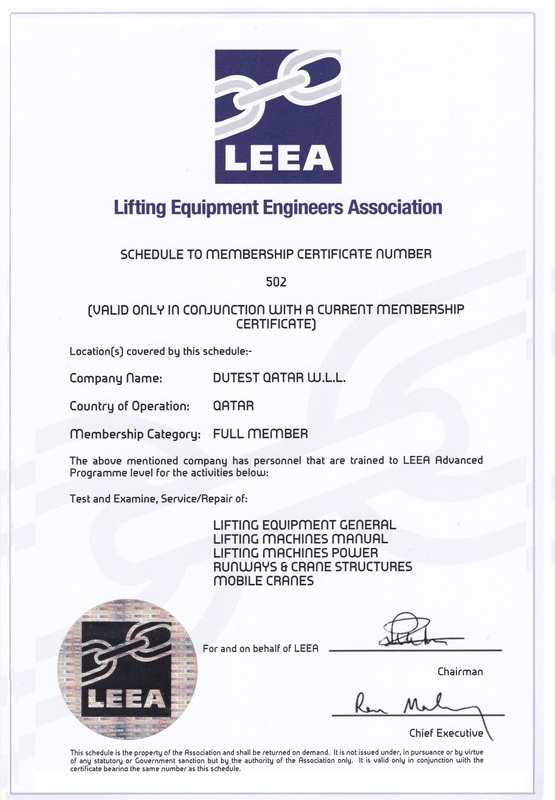 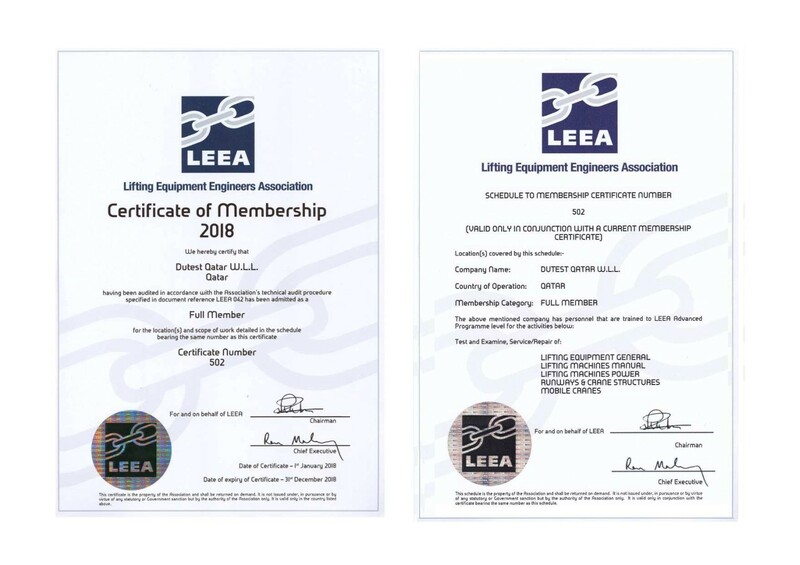 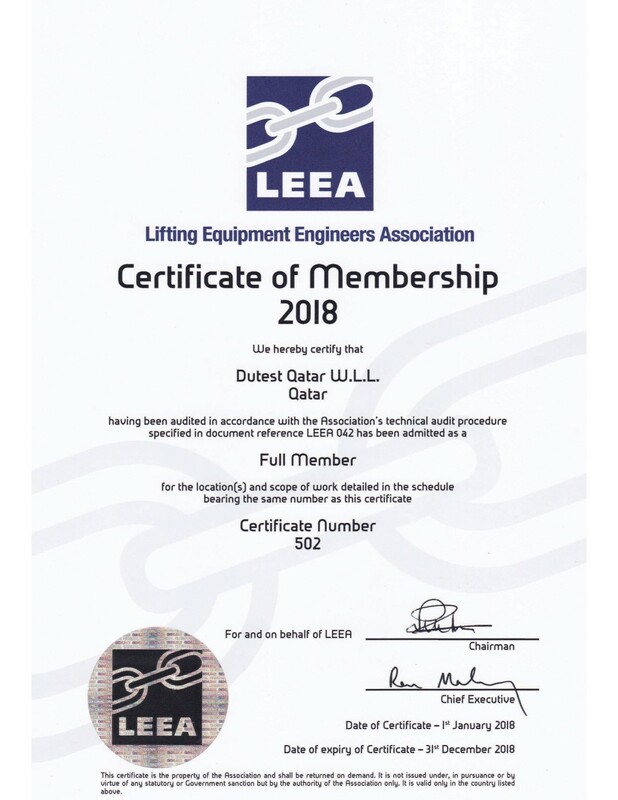 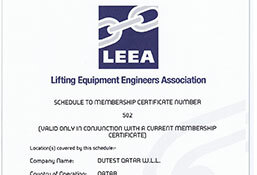 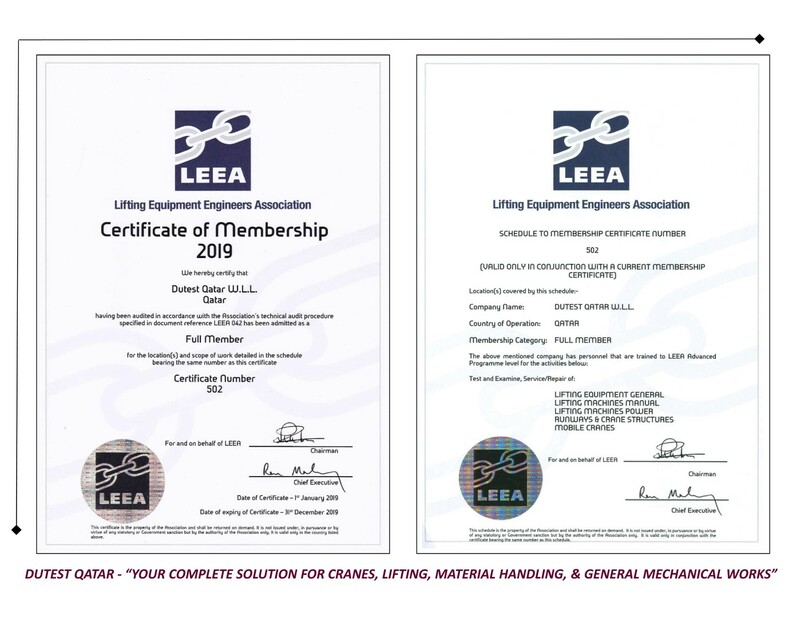 DUTEST is also a member of Lifting Equipment Engineers Association (LEEA) UK. 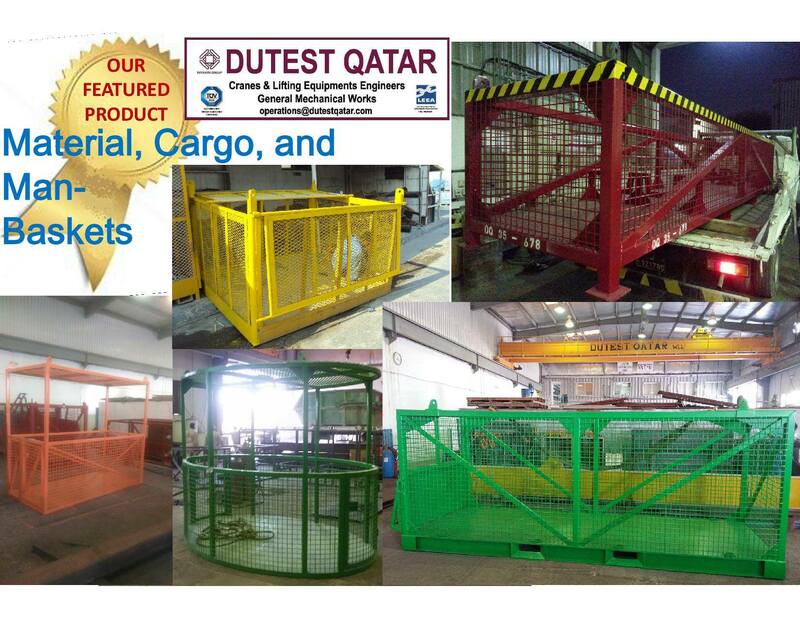 A pioneer company in its field of expertise, Dutest currently has nearly 200 employees, with 45 engineers in various disciplines. 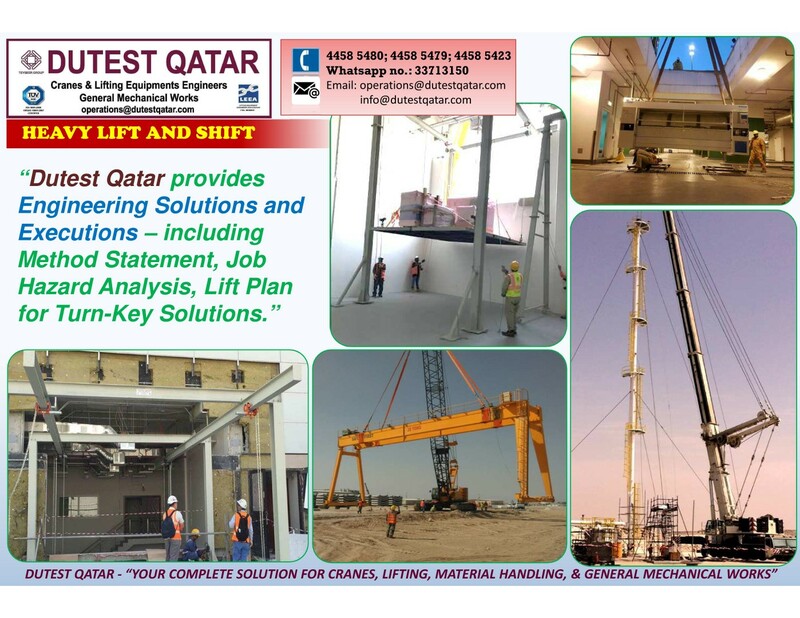 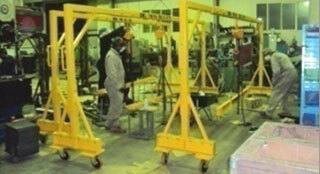 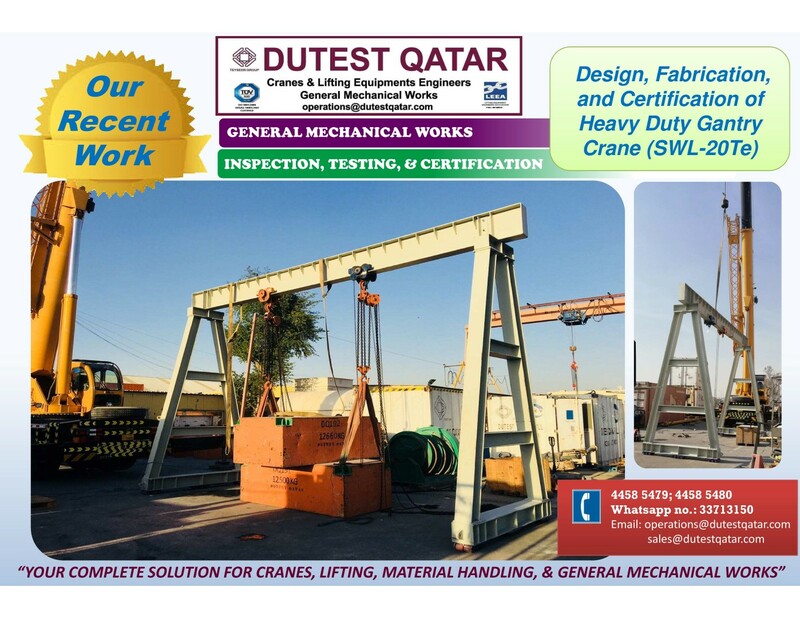 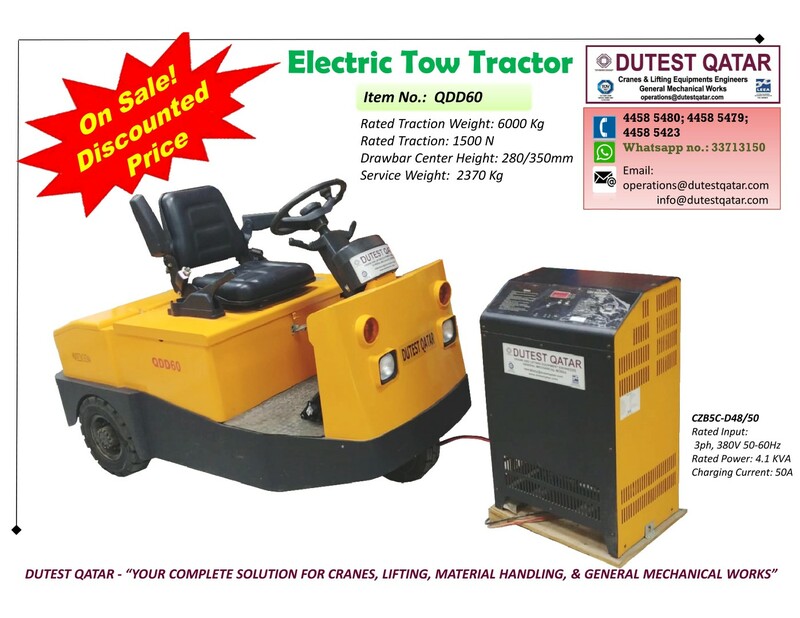 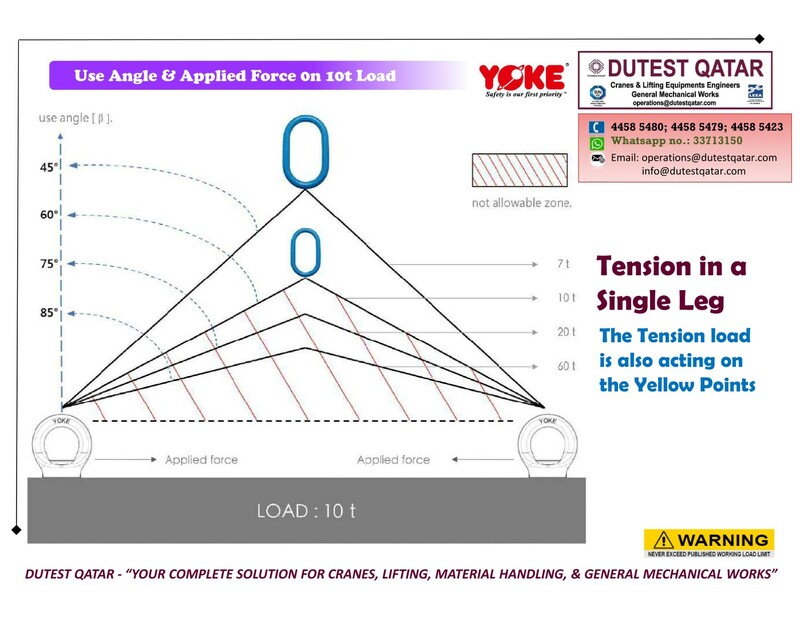 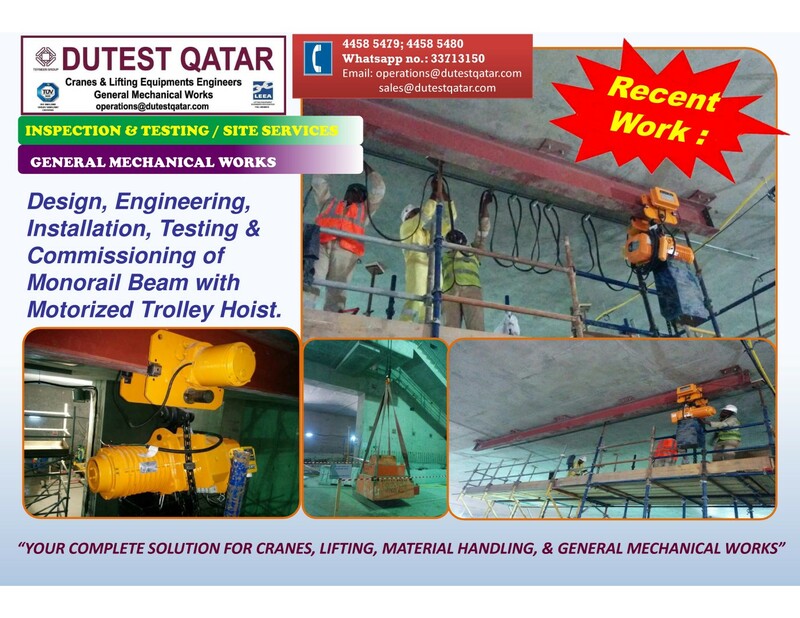 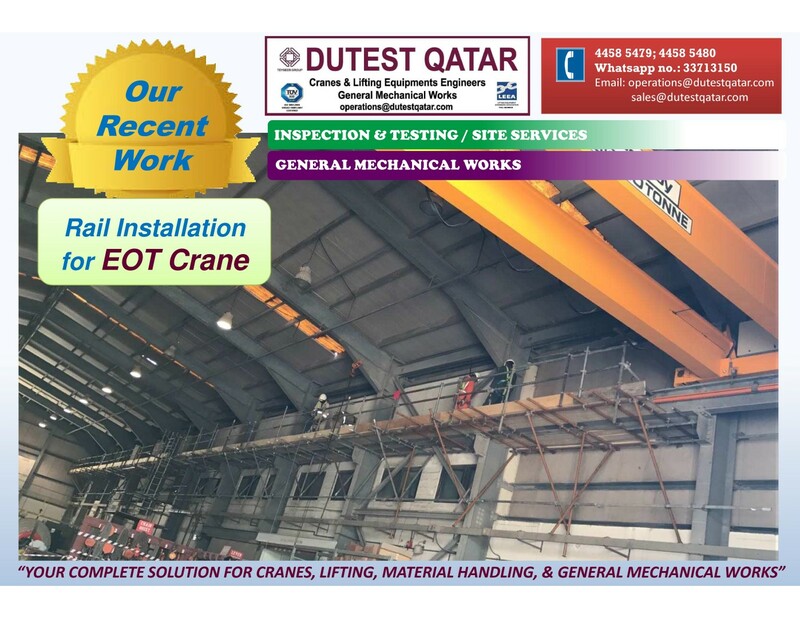 Dutest assures the complete solutions for Cranes, lifting, material handling, and General Mechanical Works. 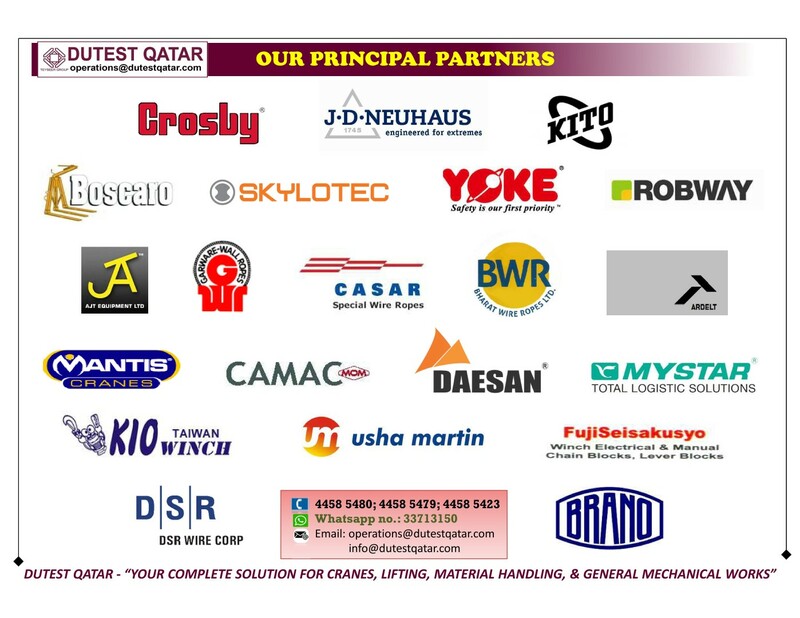 expertise from around the world. 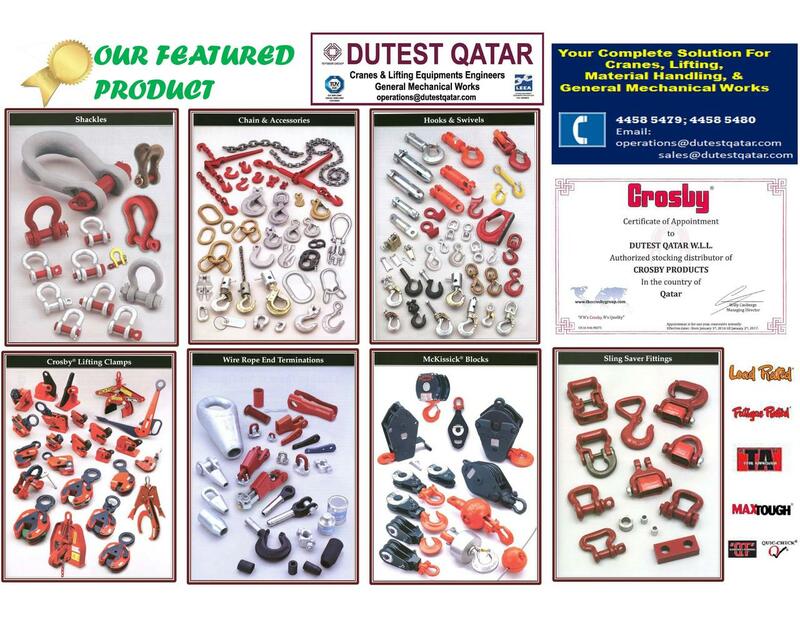 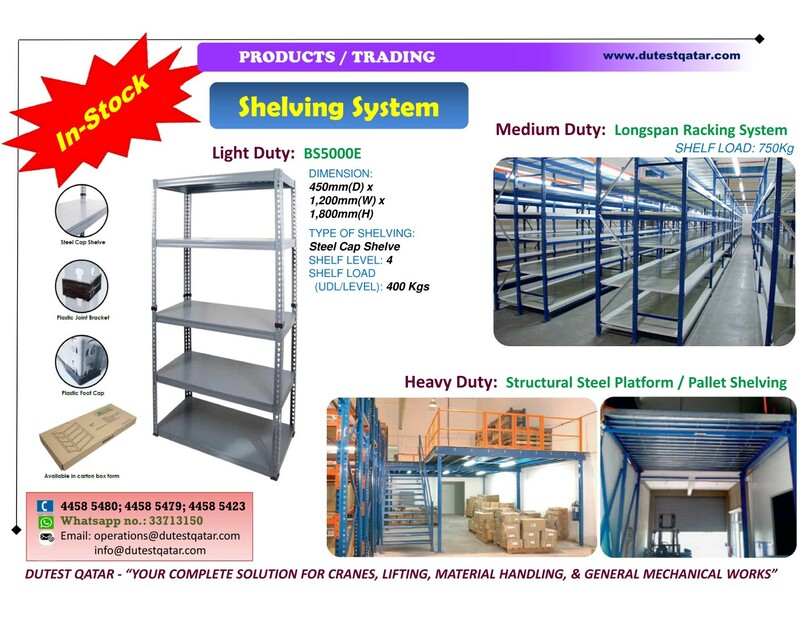 The product range and technical knowhow of the company is constantly updated and upgraded ensuring the availability of the right product and technical expertise from around the world.